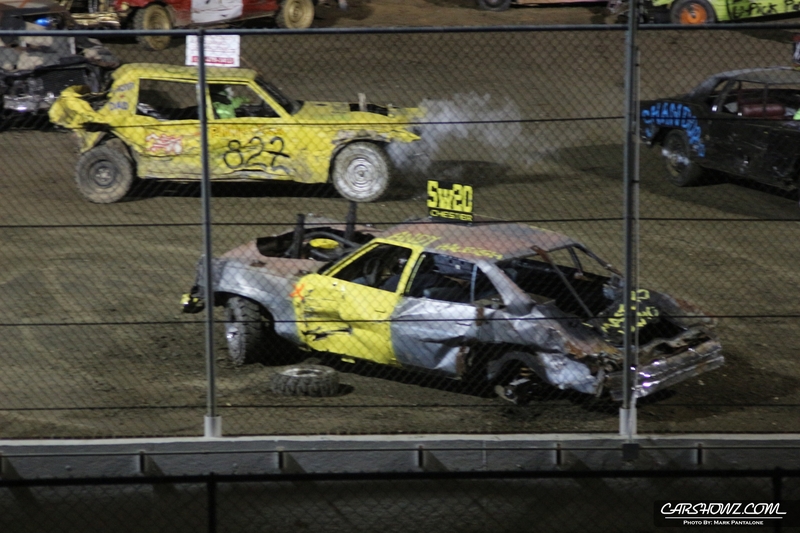 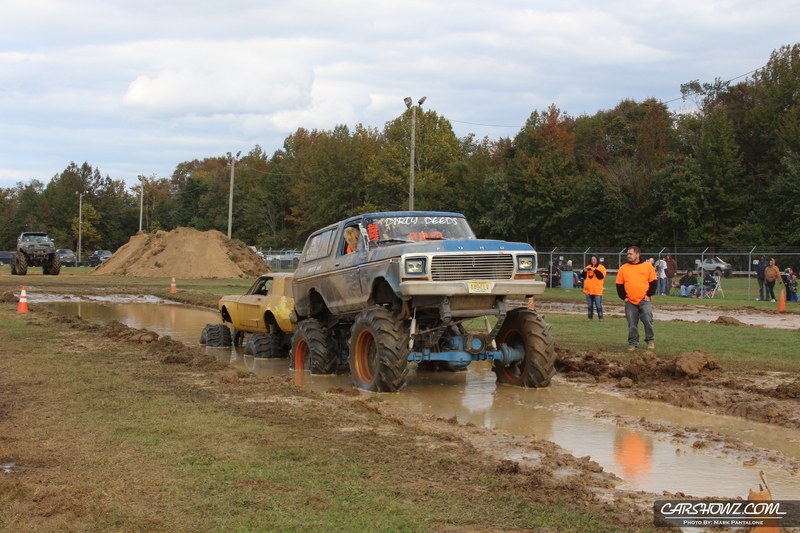 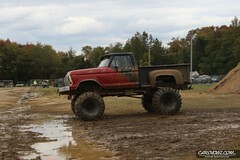 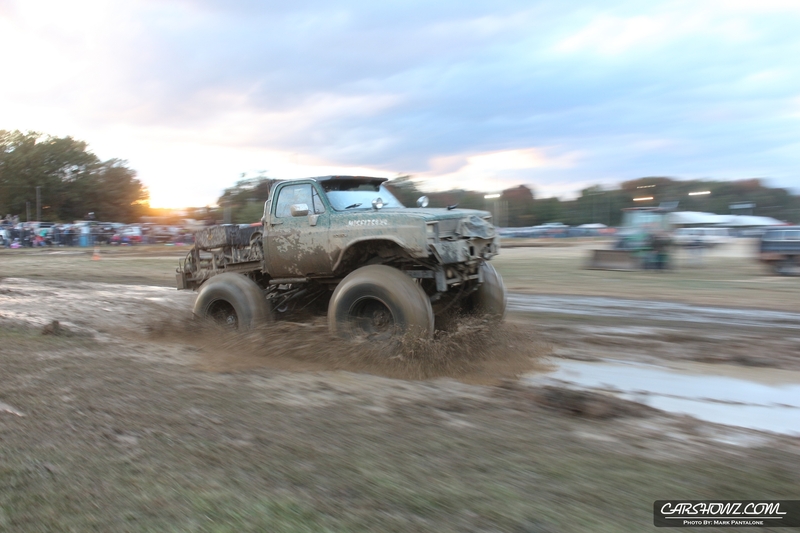 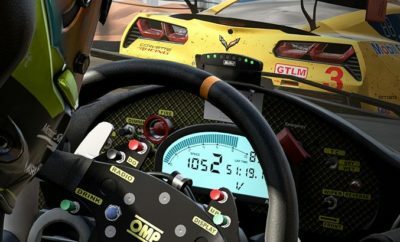 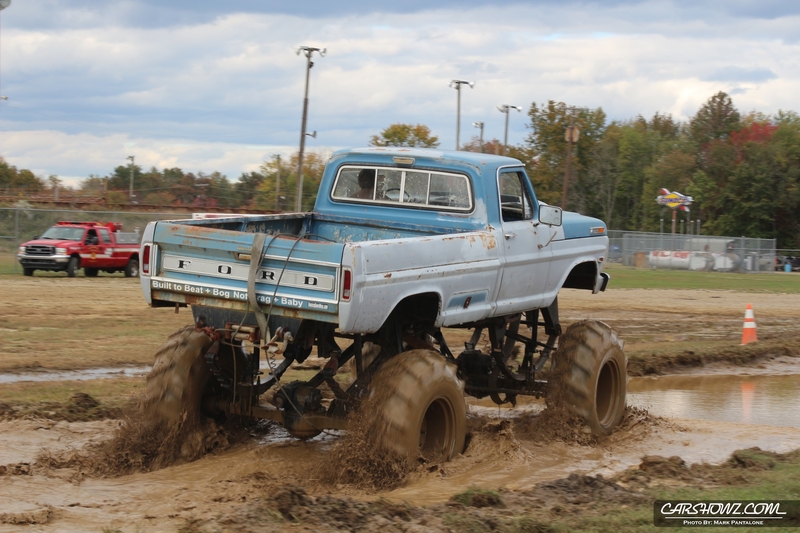 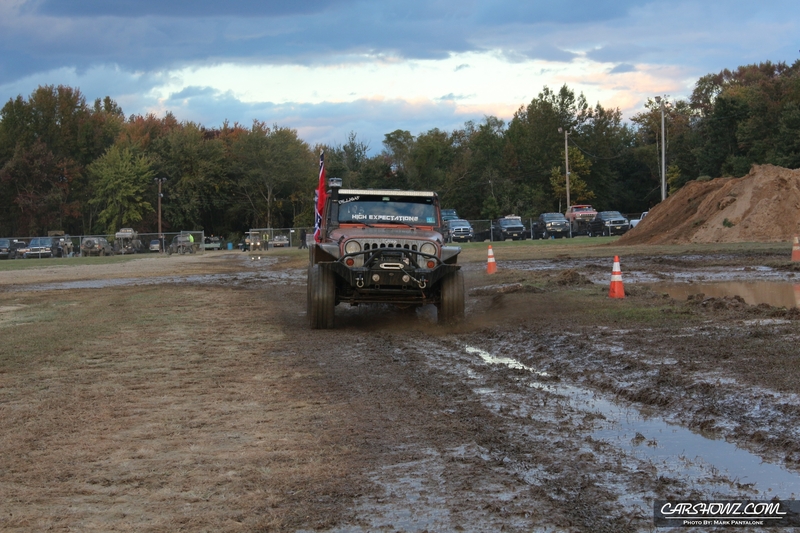 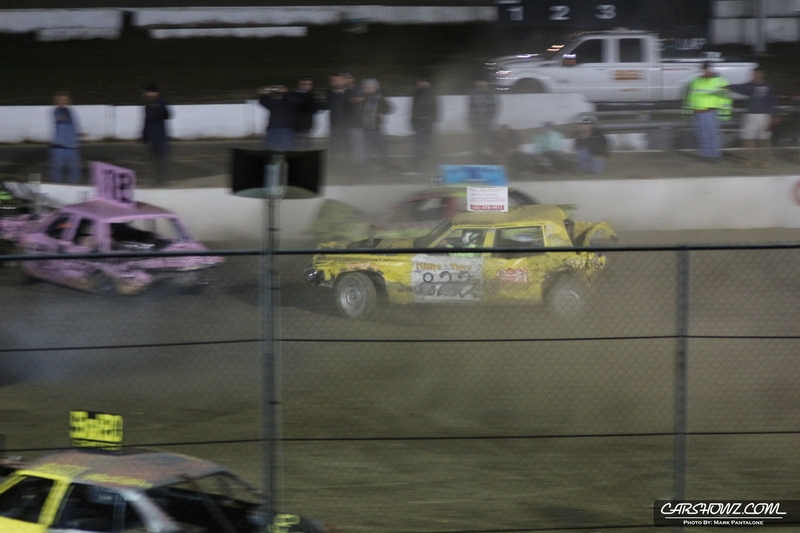 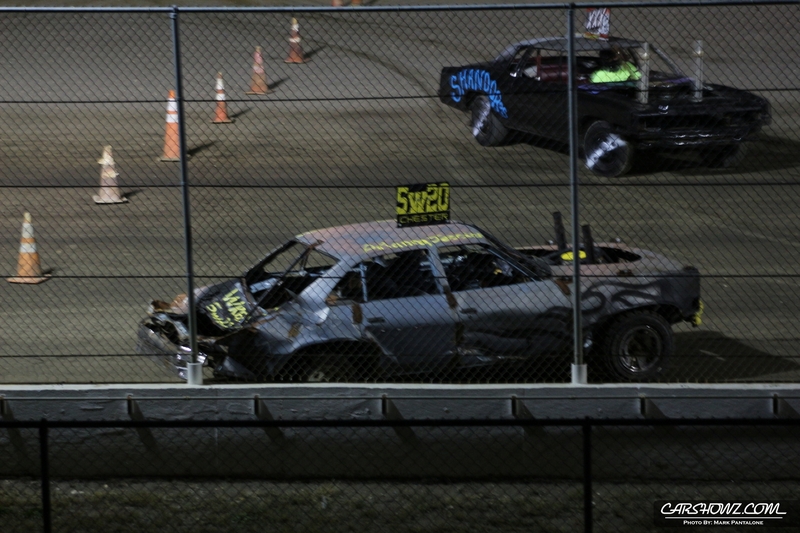 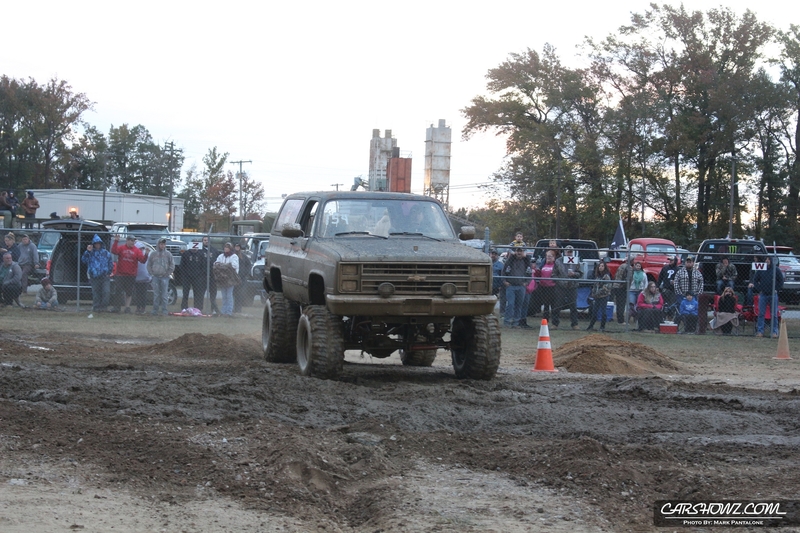 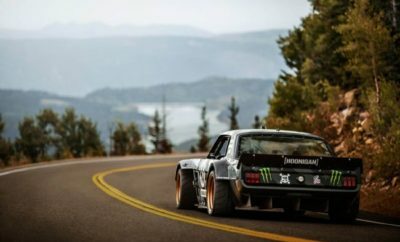 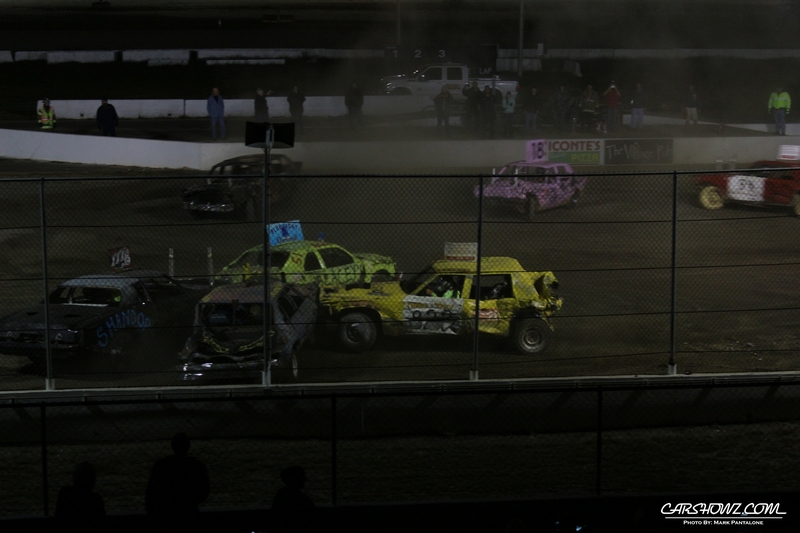 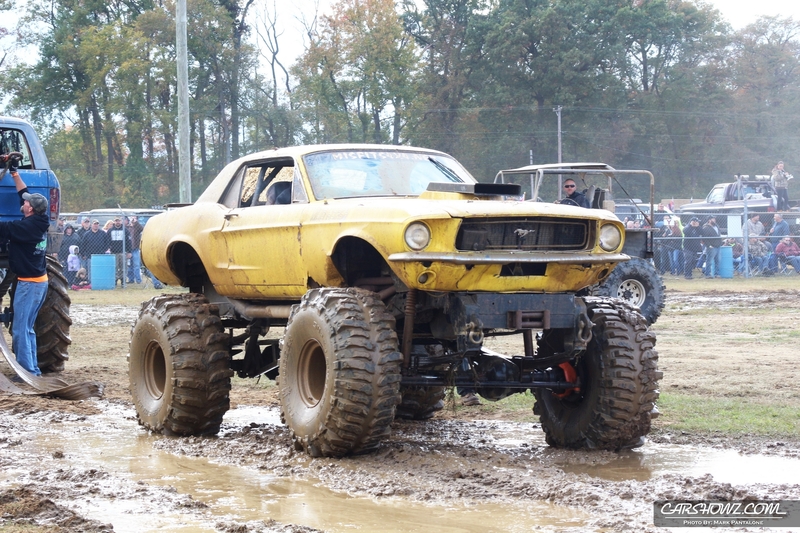 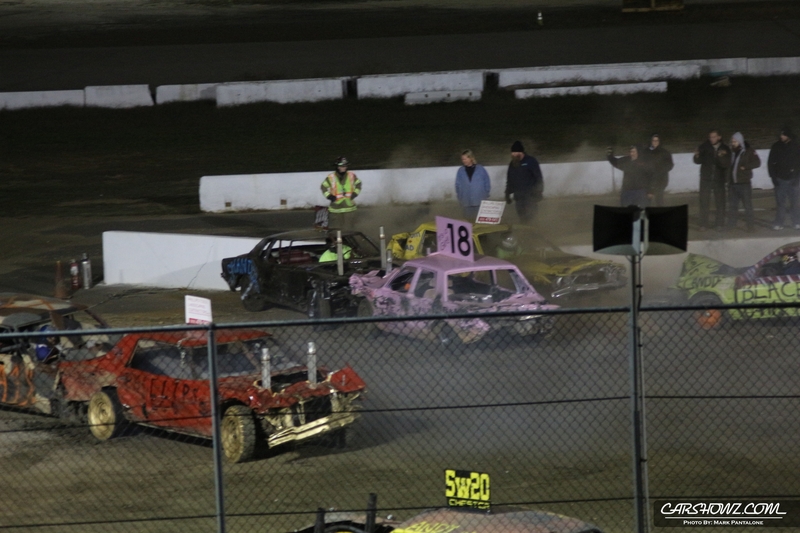 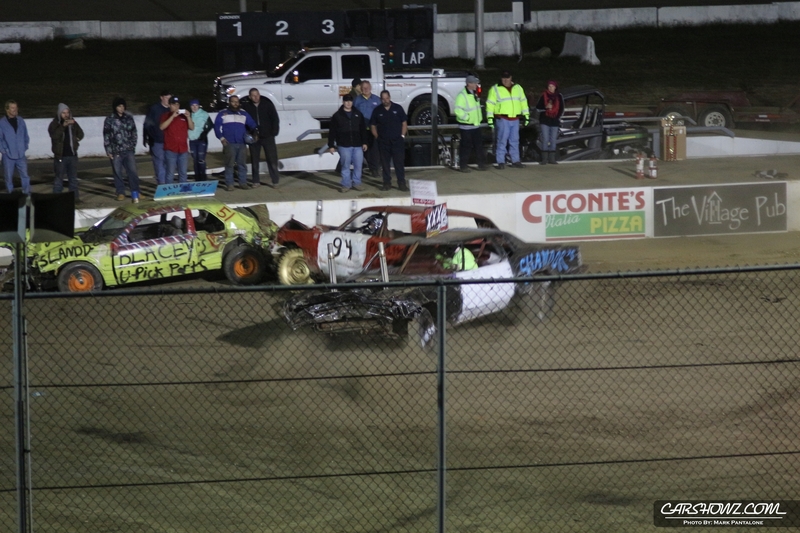 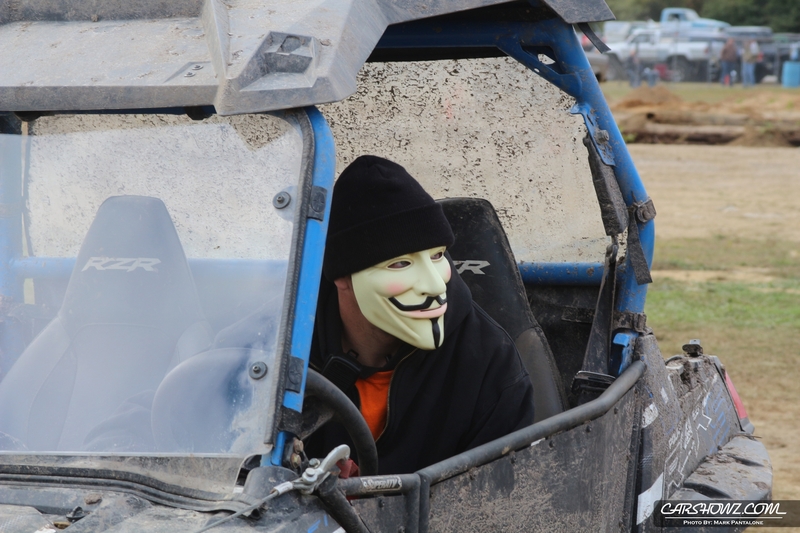 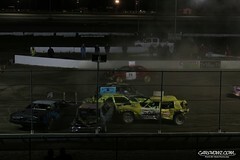 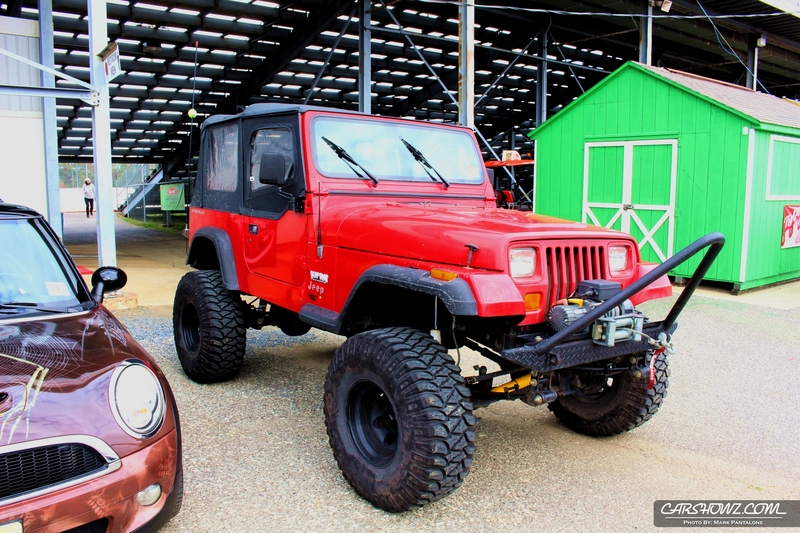 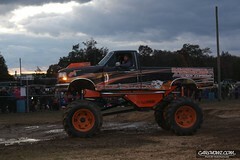 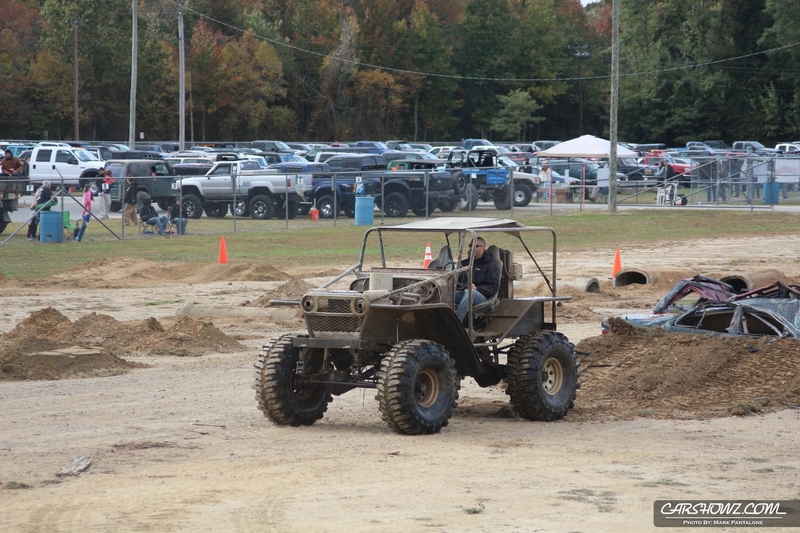 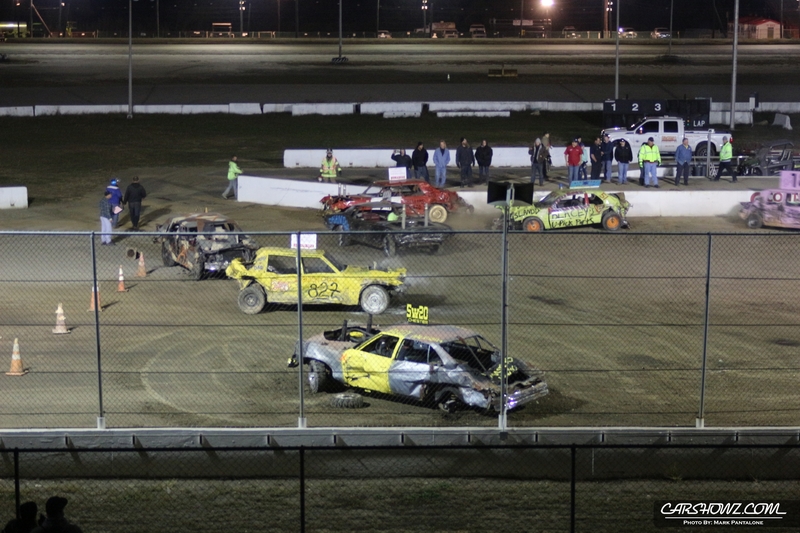 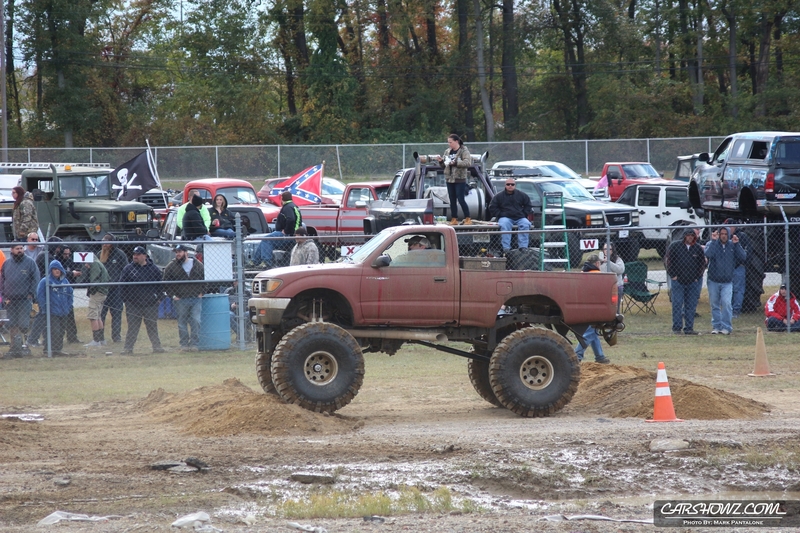 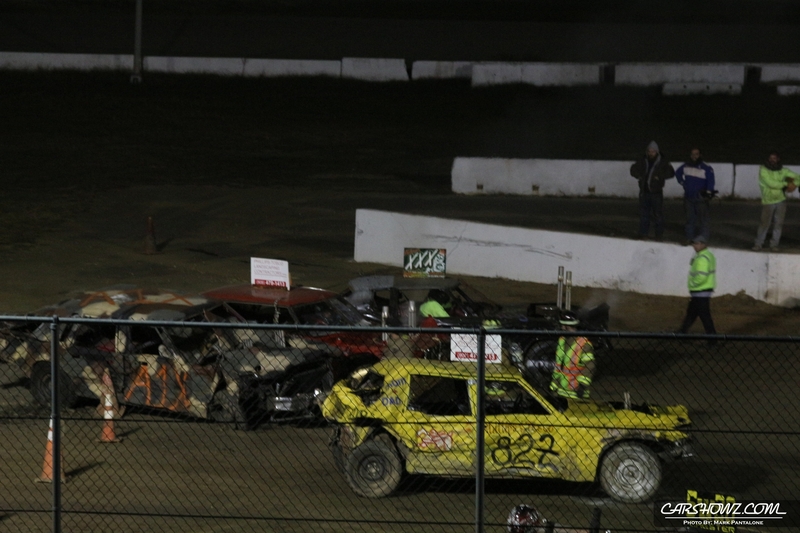 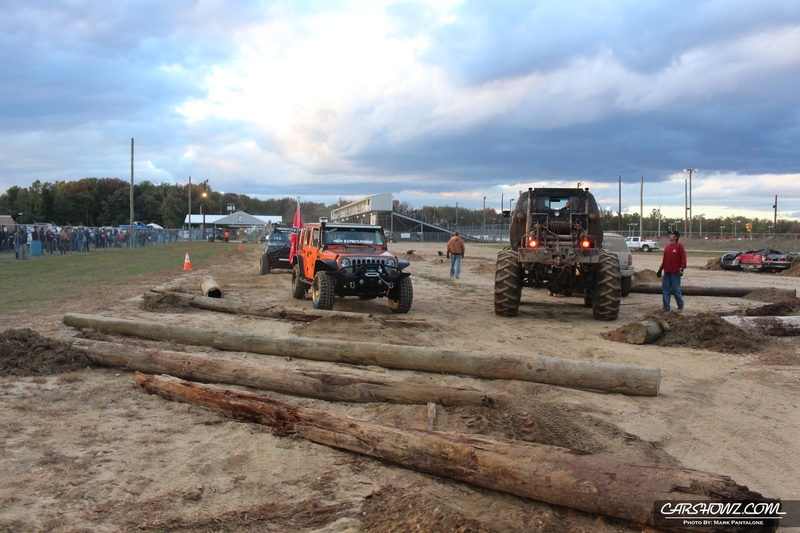 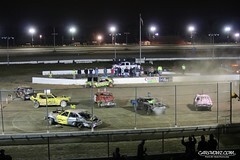 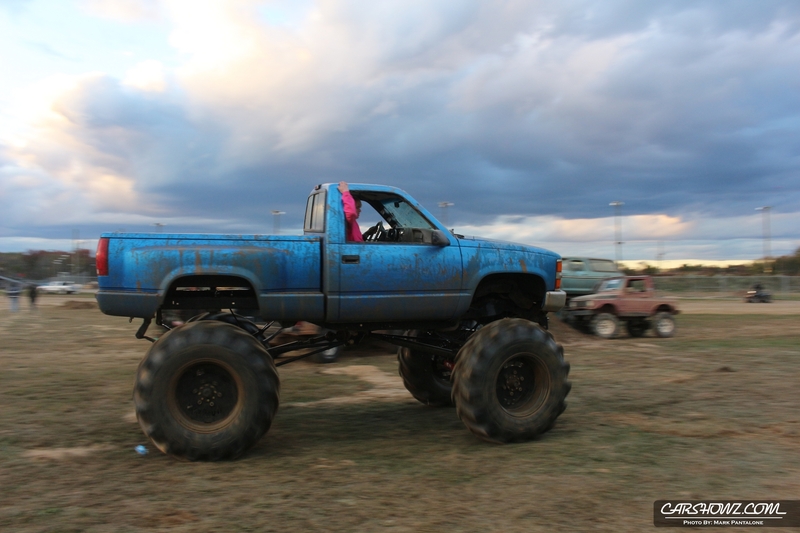 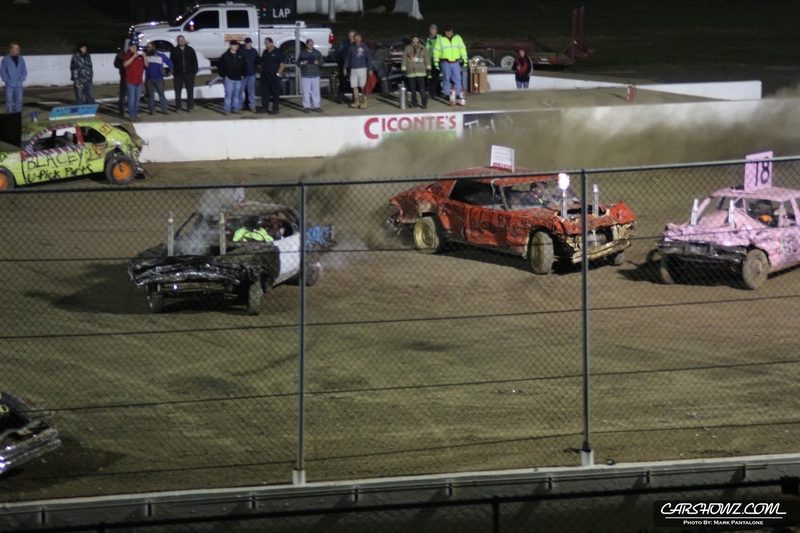 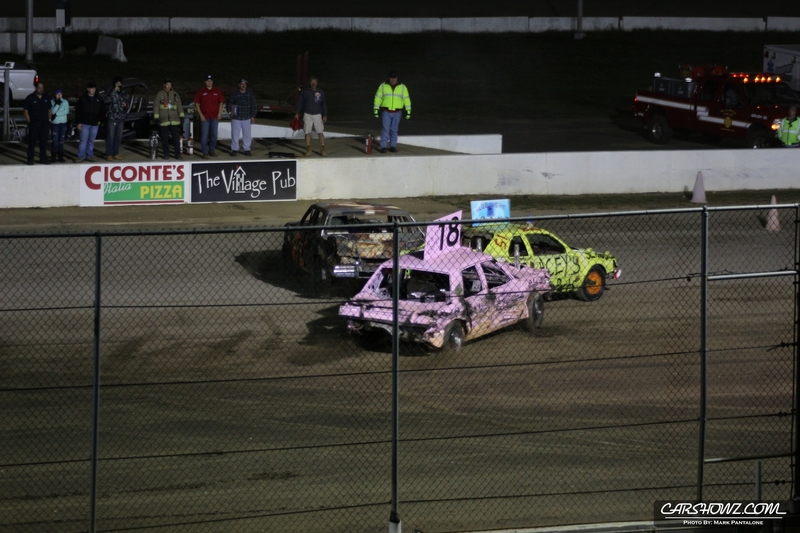 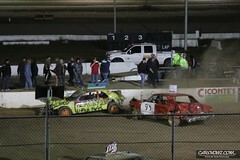 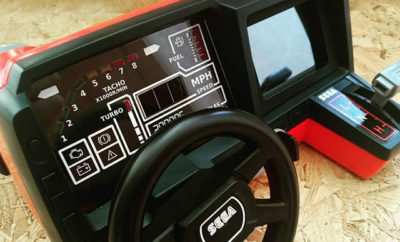 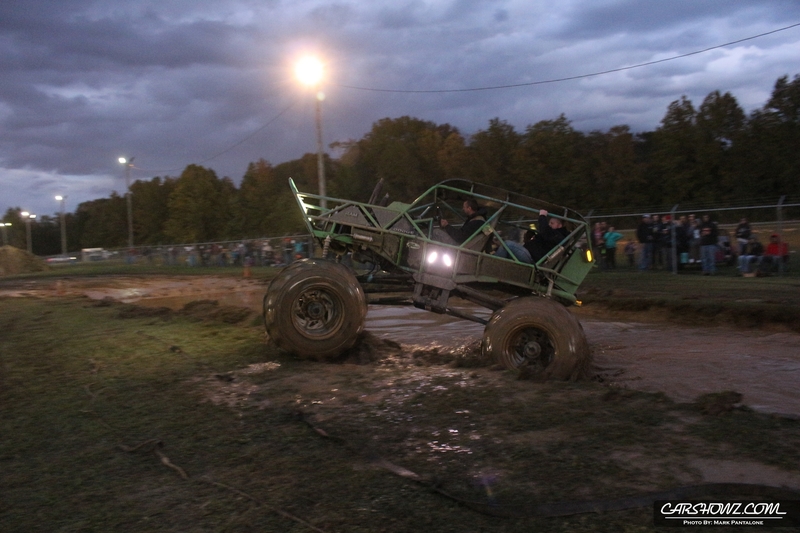 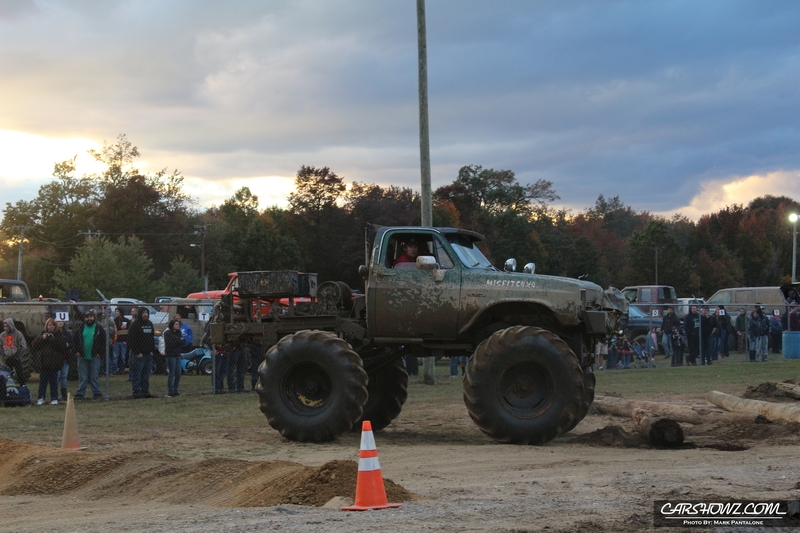 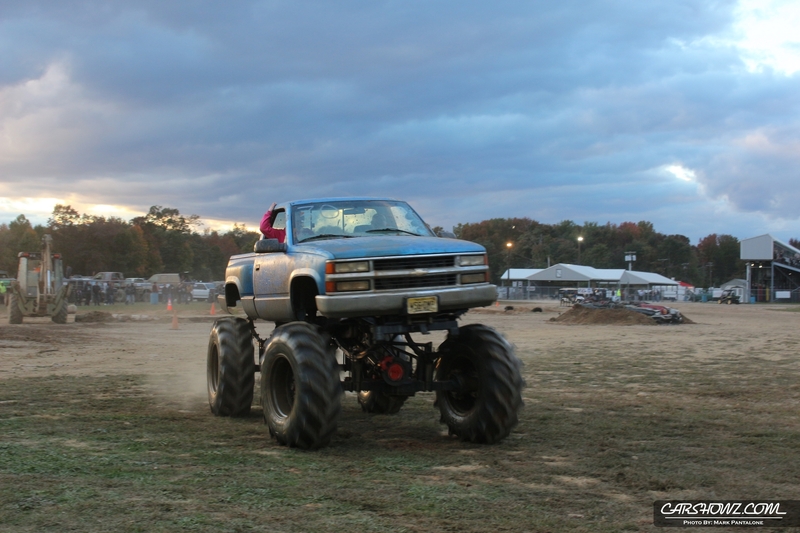 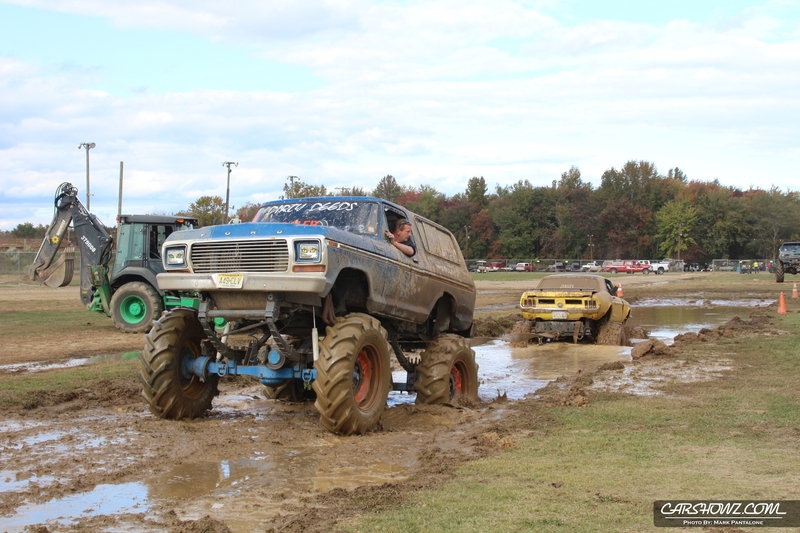 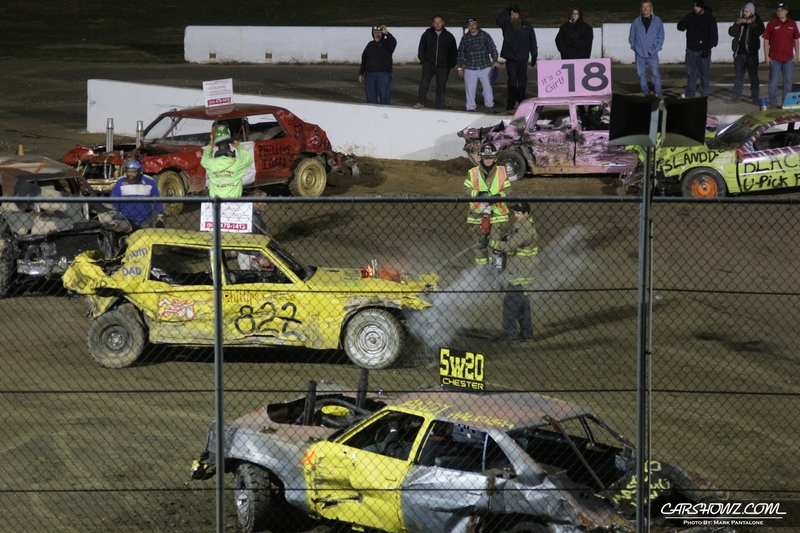 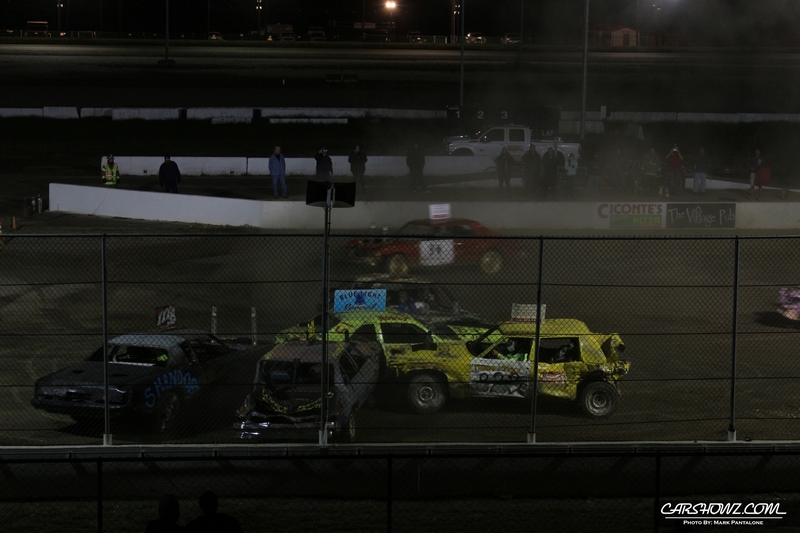 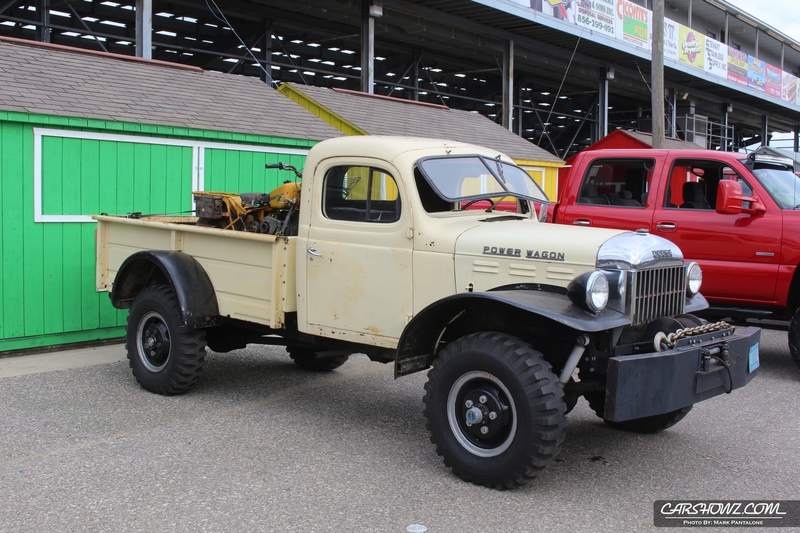 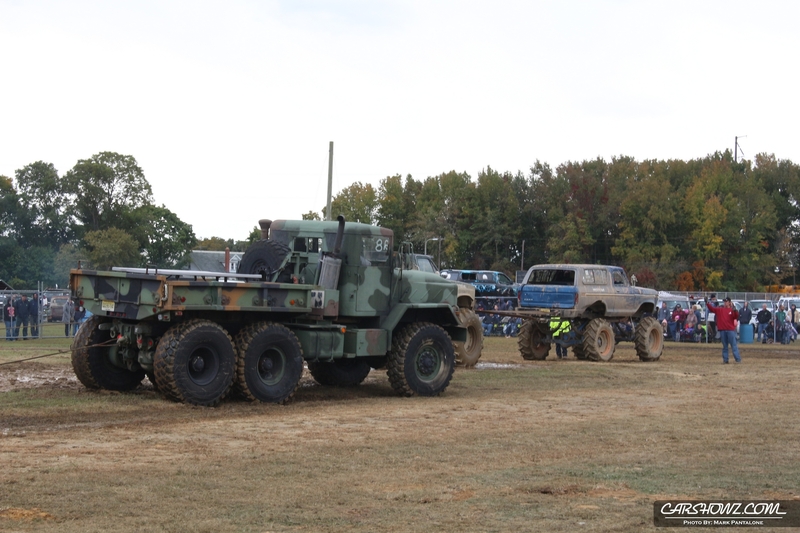 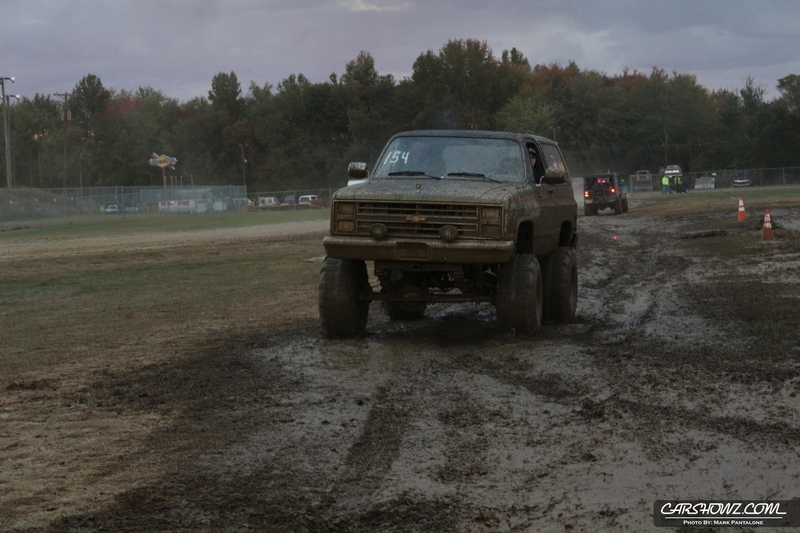 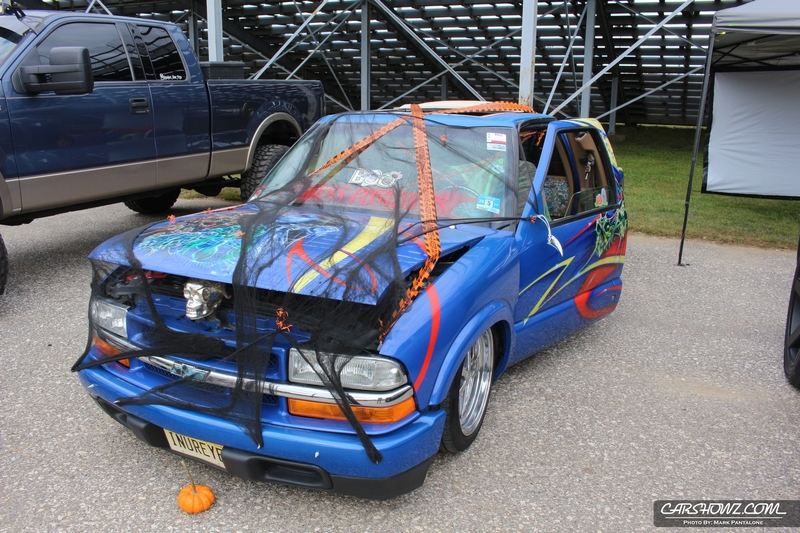 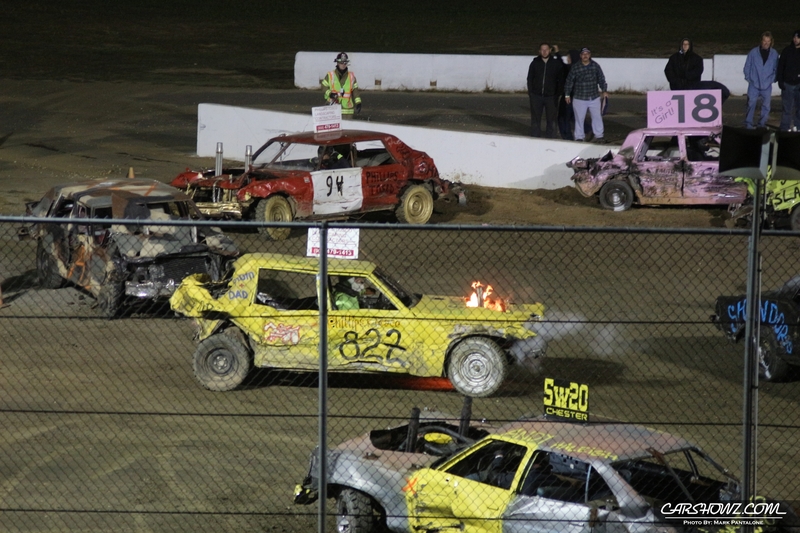 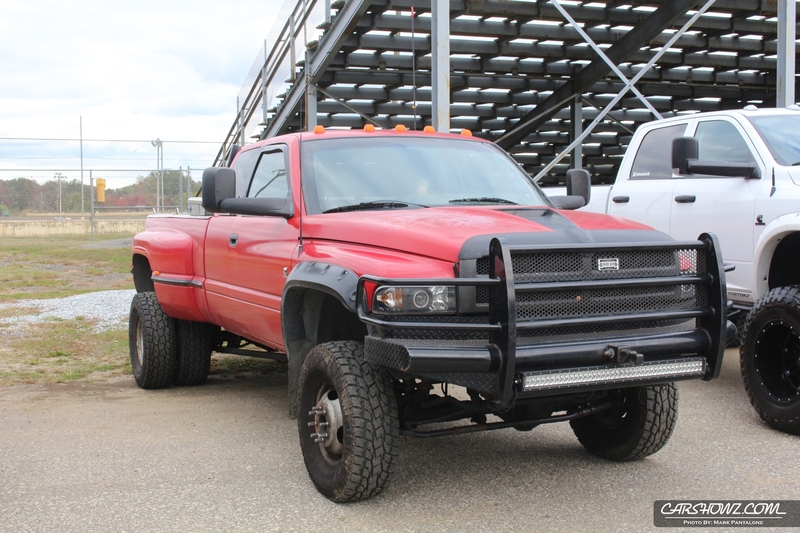 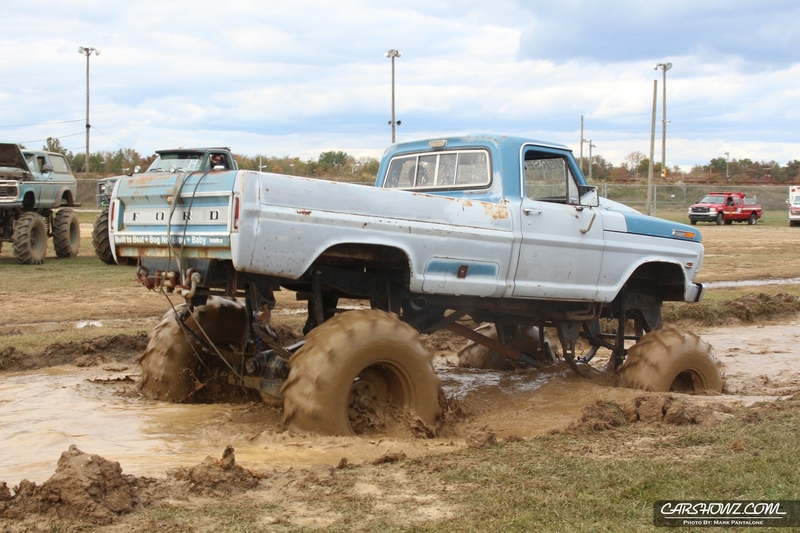 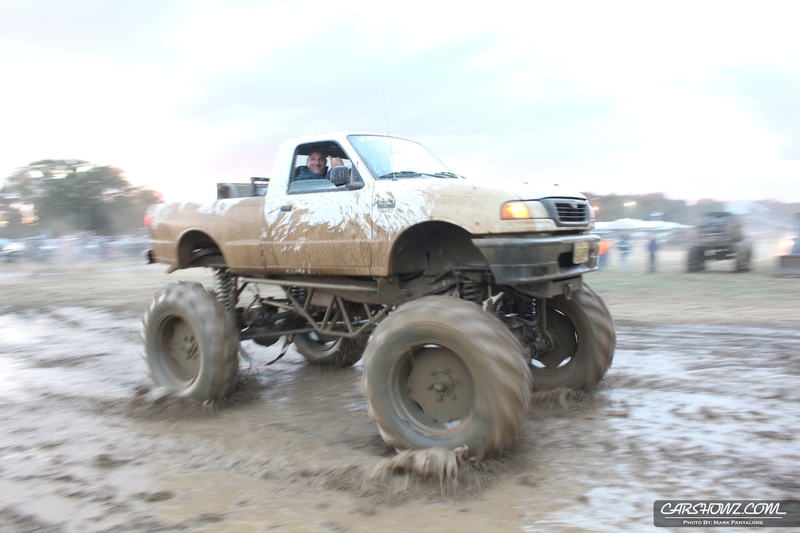 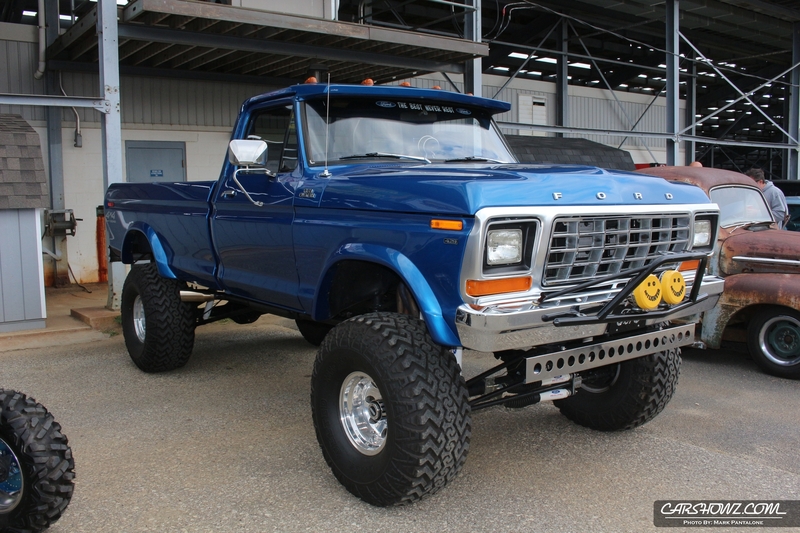 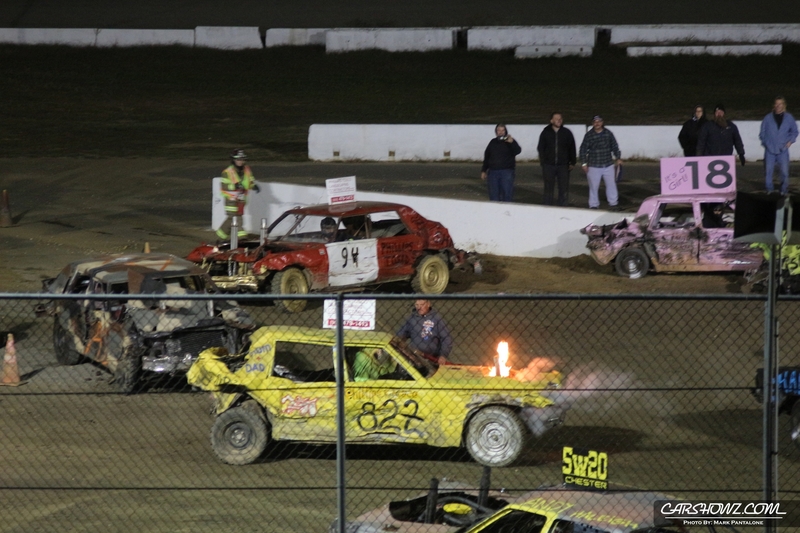 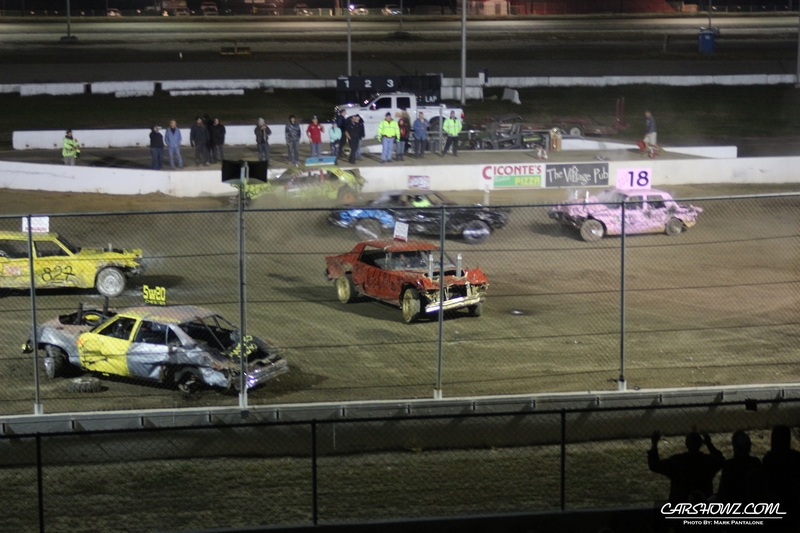 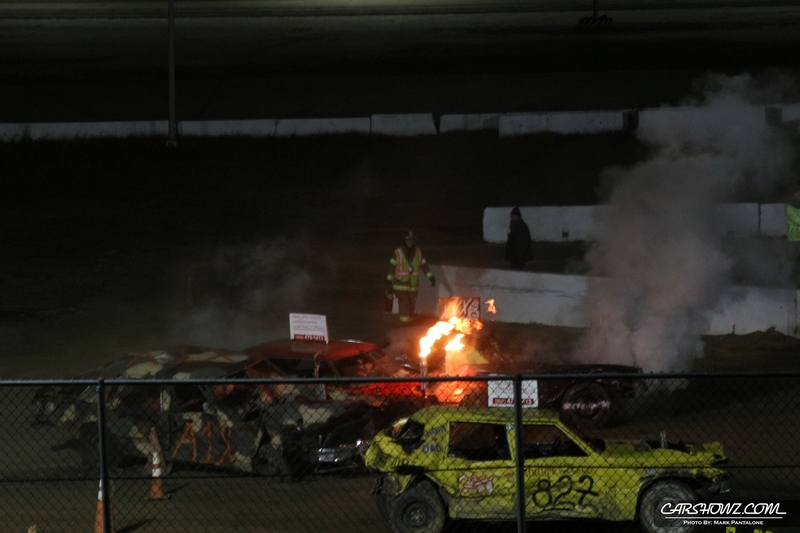 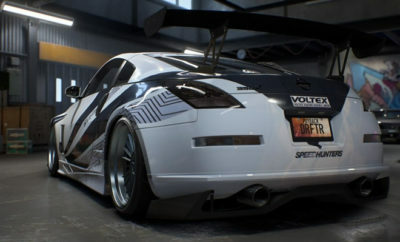 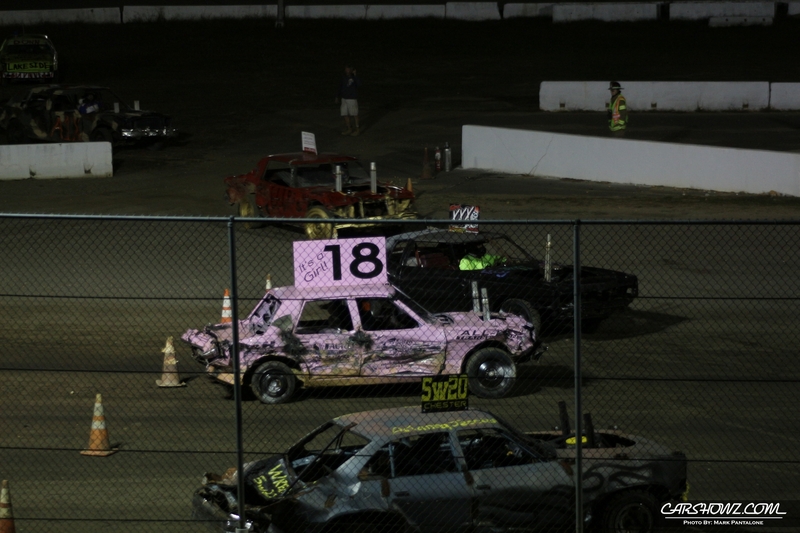 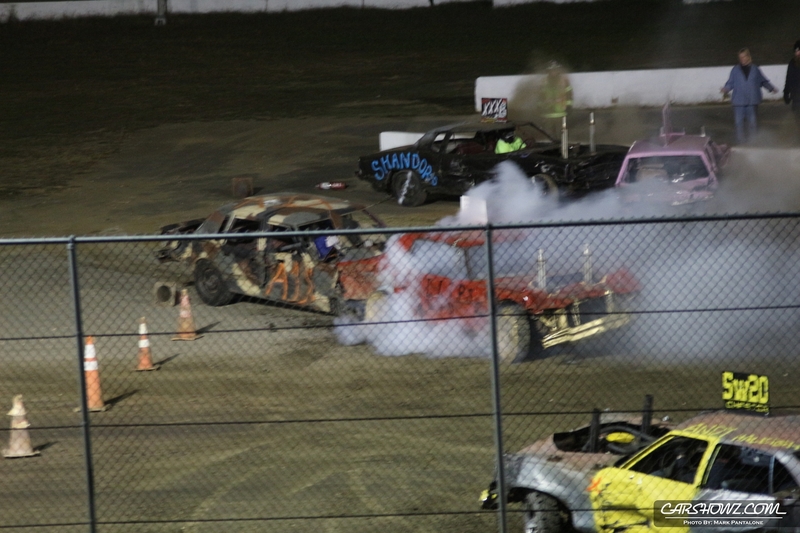 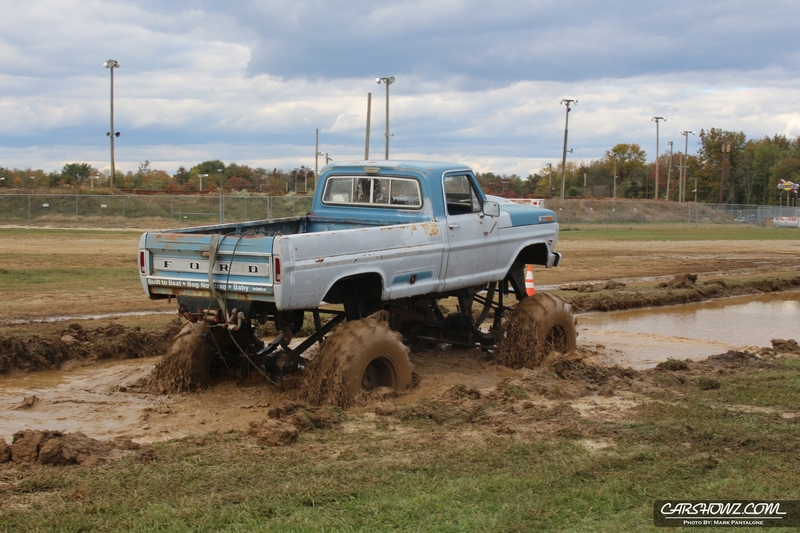 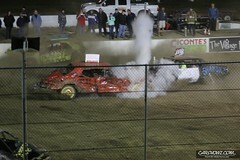 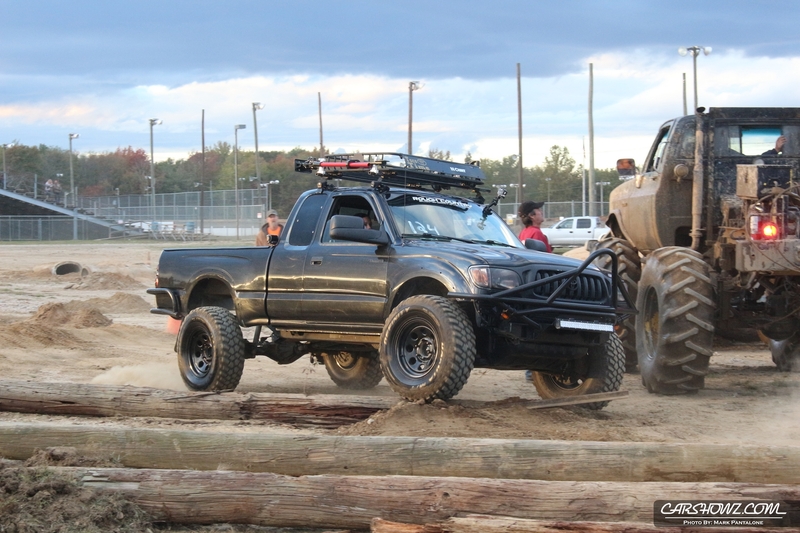 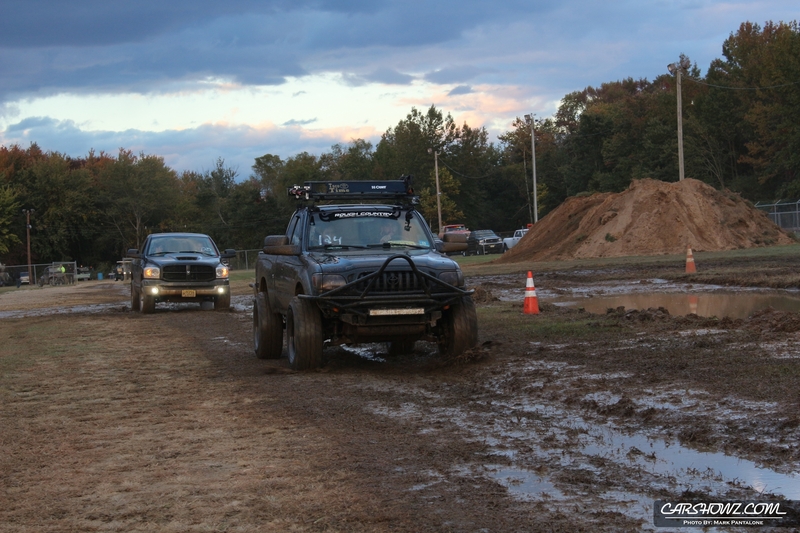 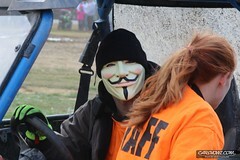 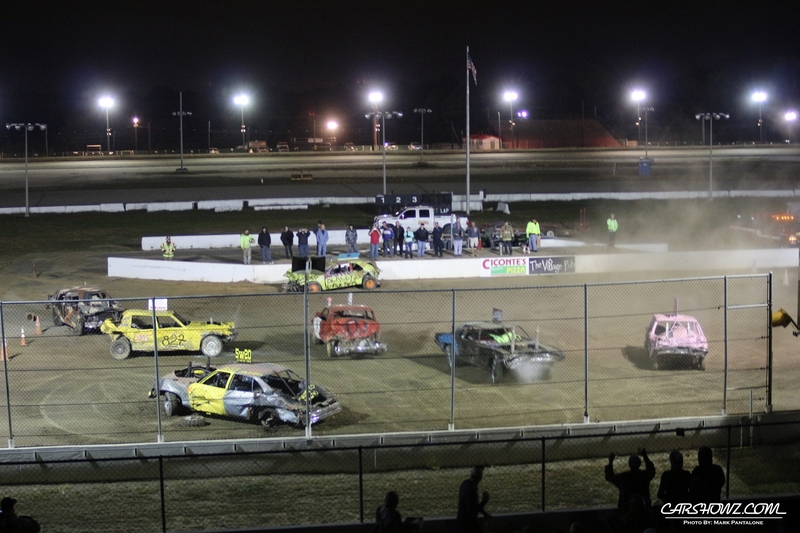 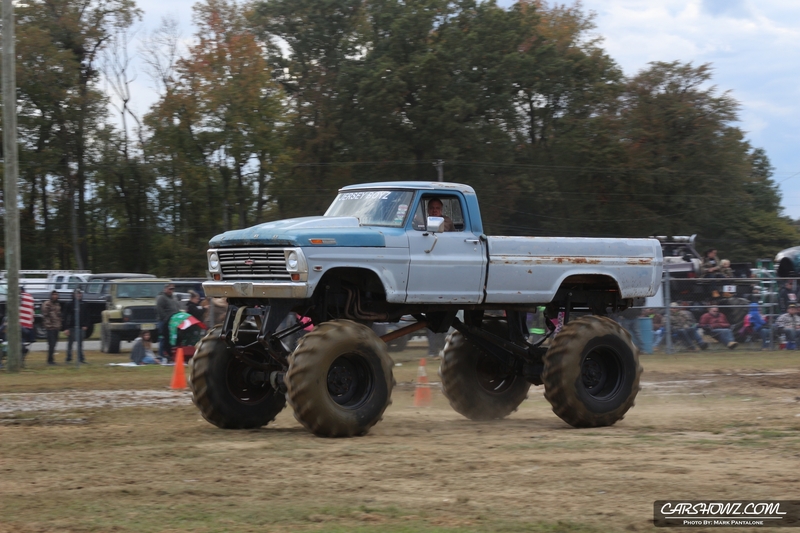 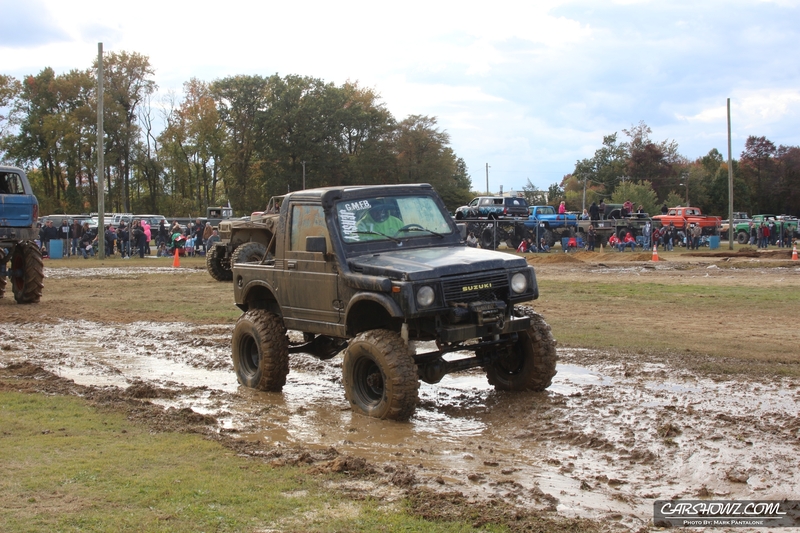 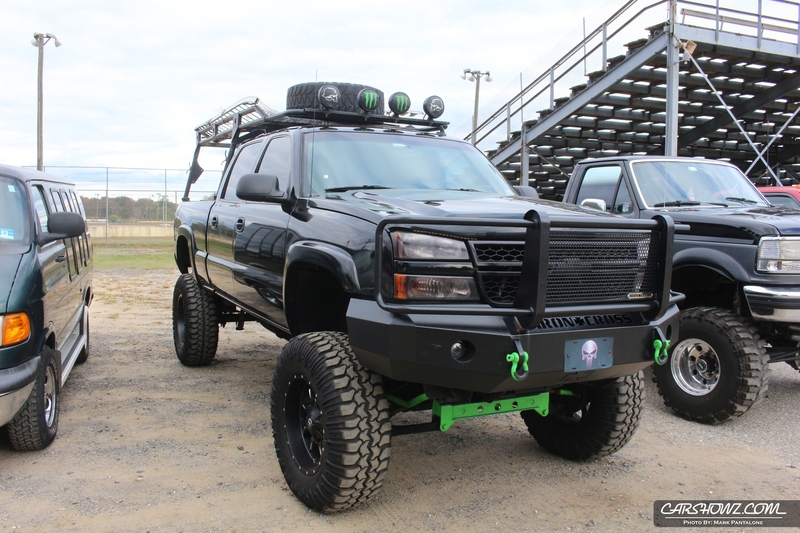 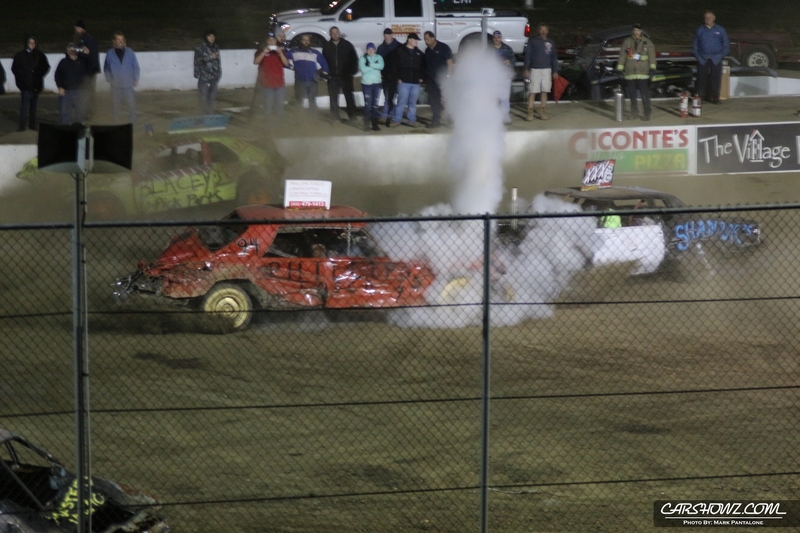 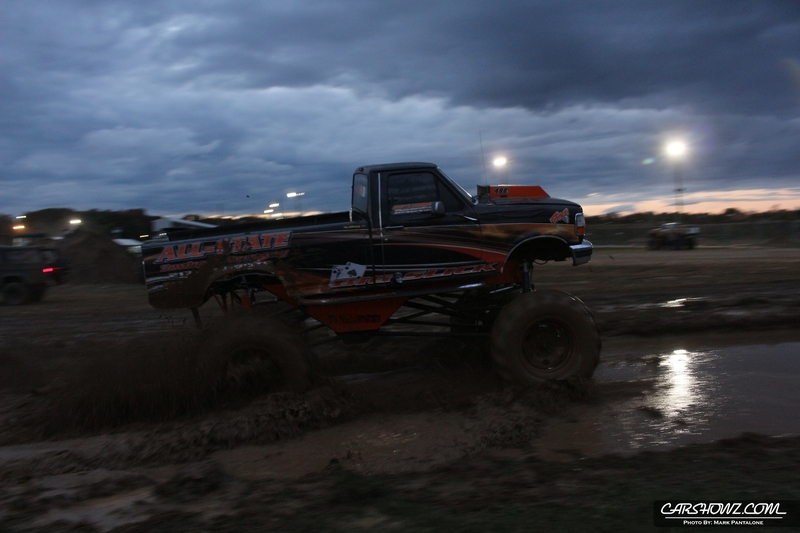 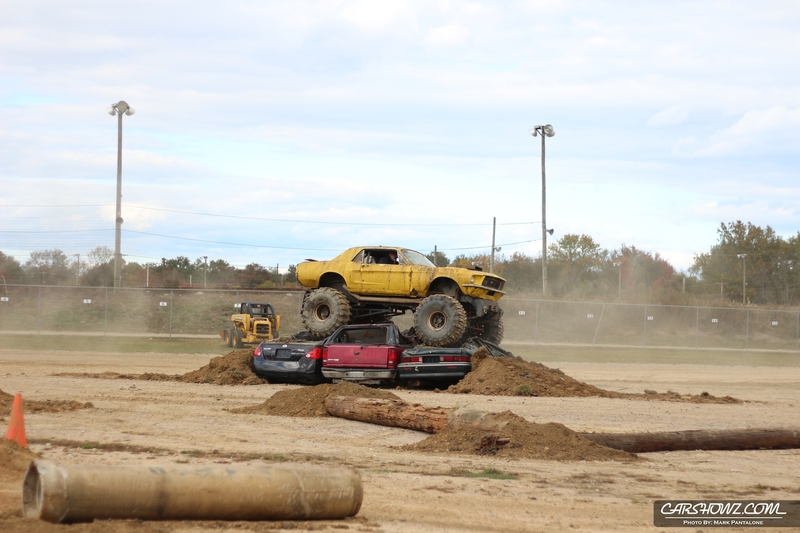 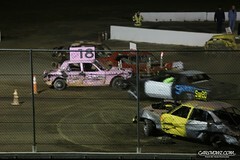 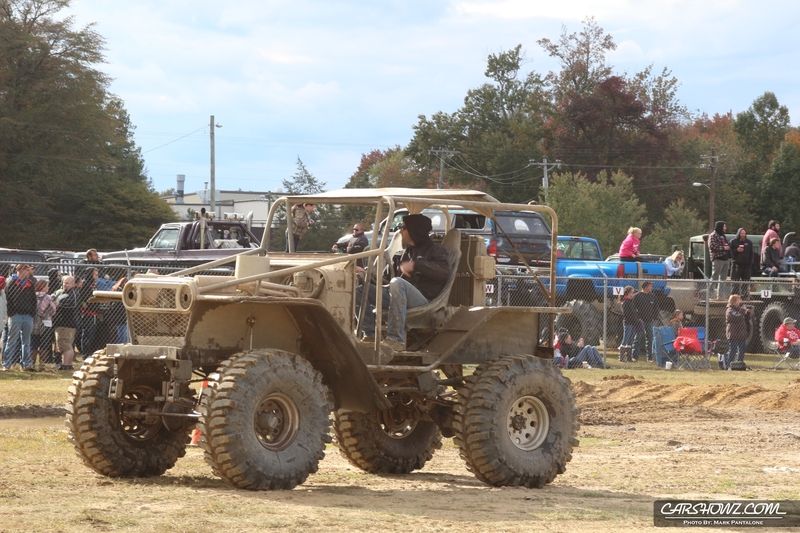 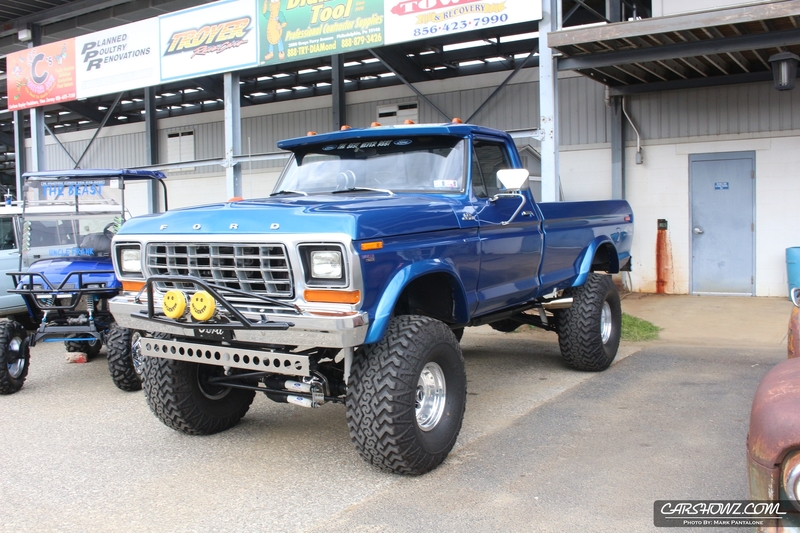 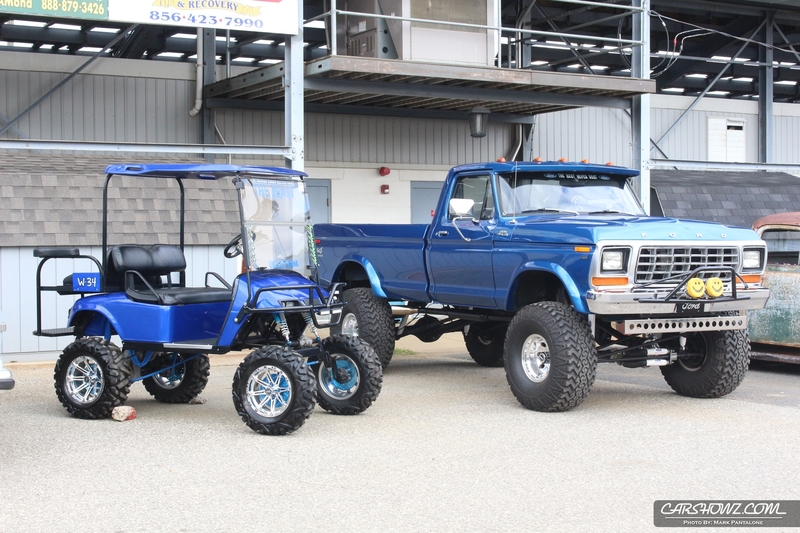 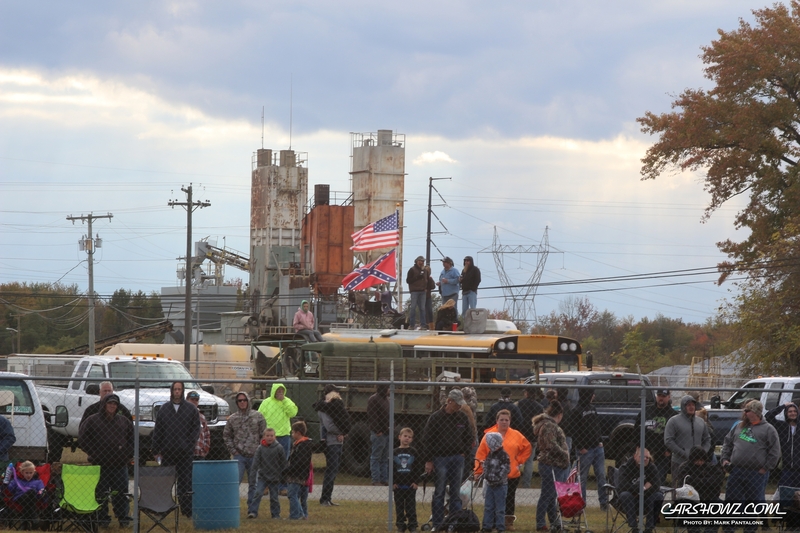 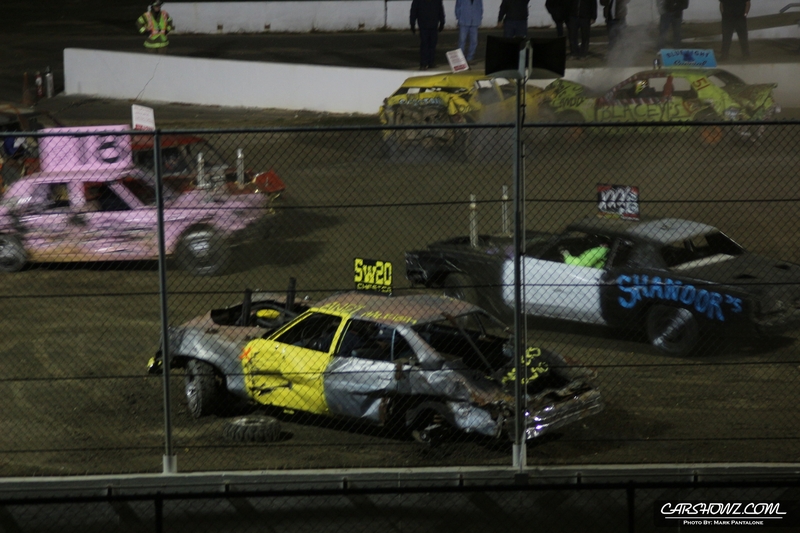 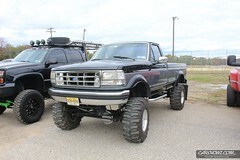 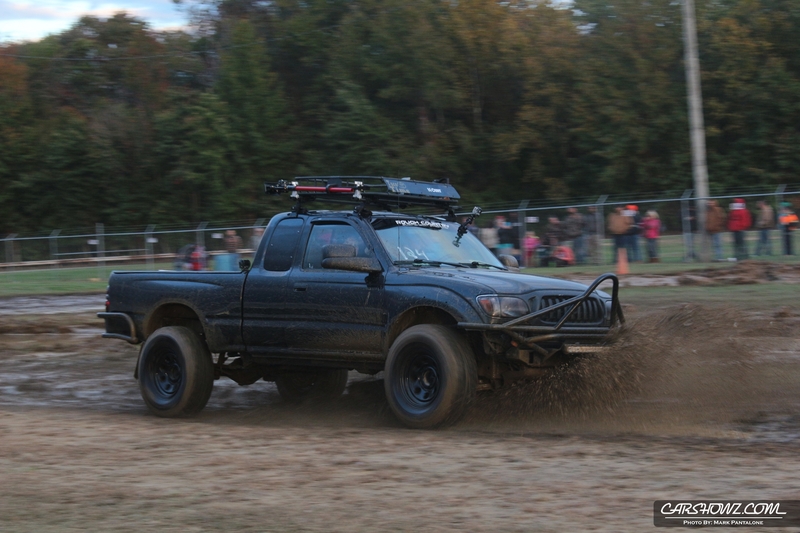 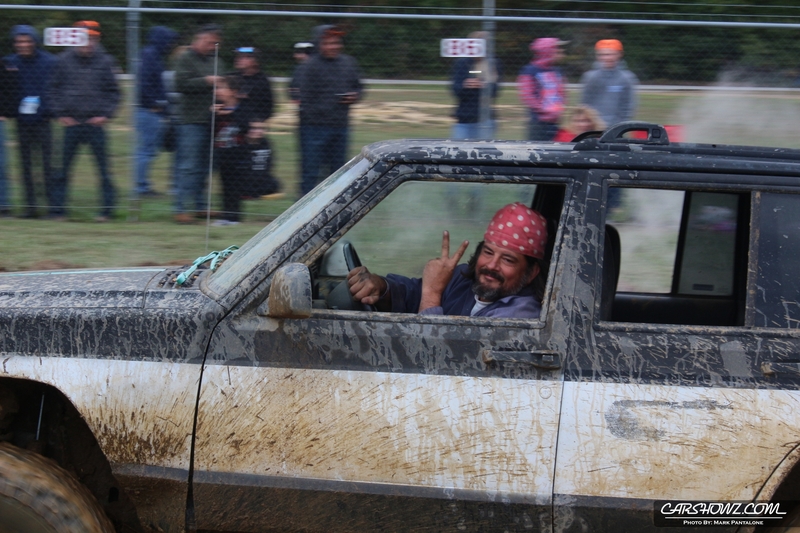 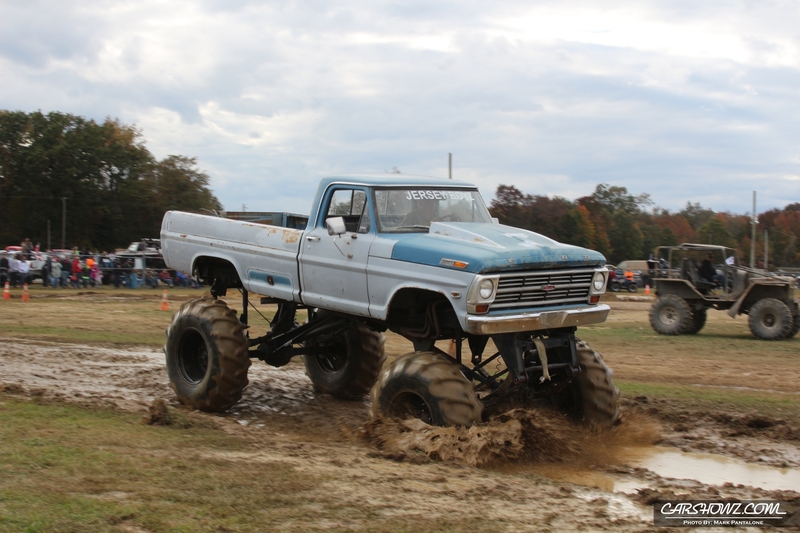 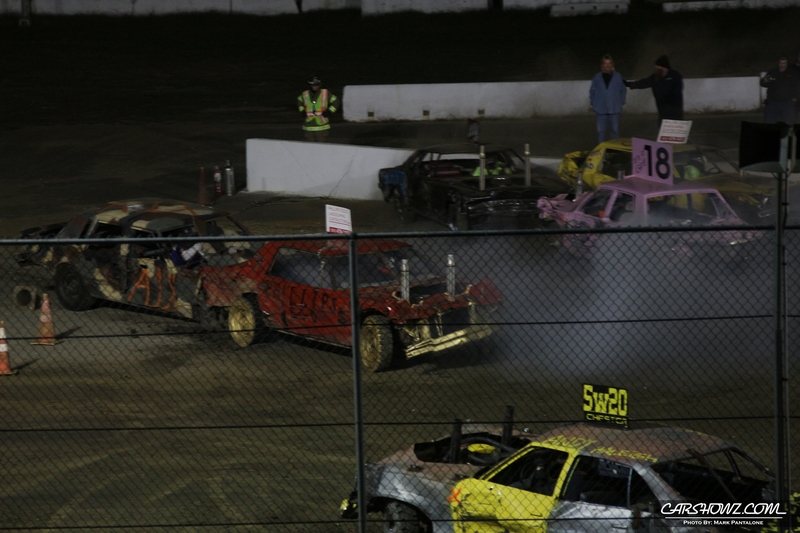 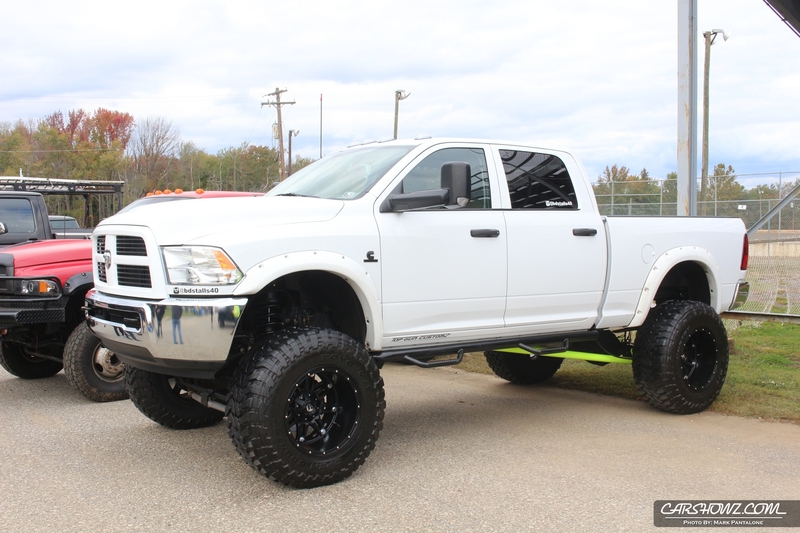 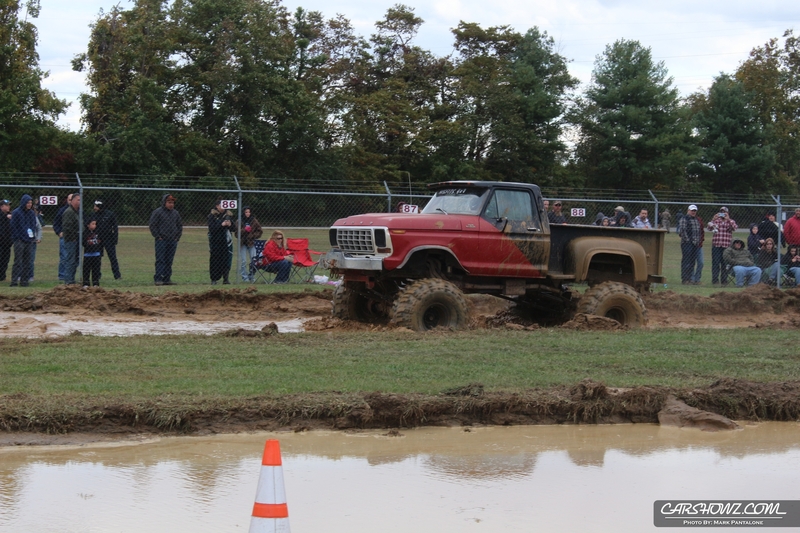 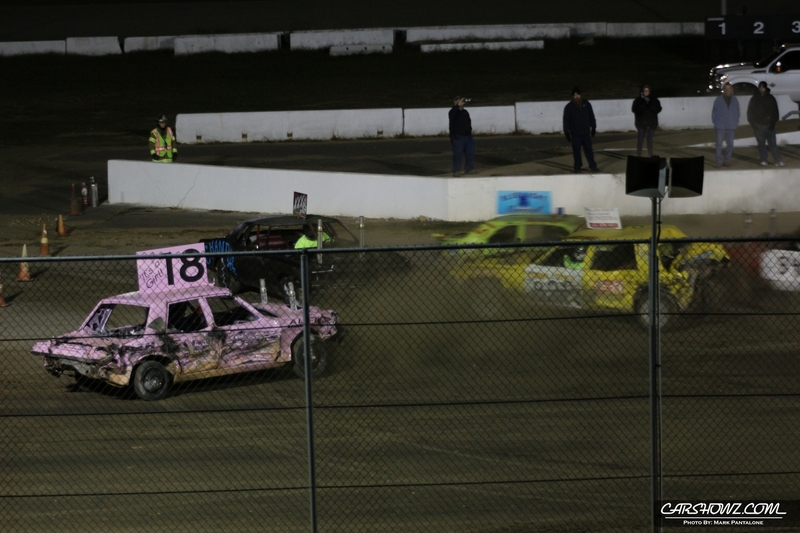 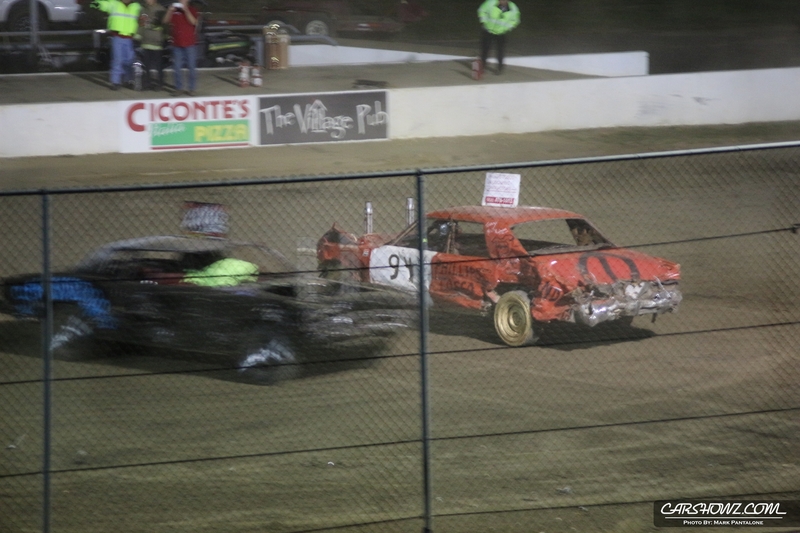 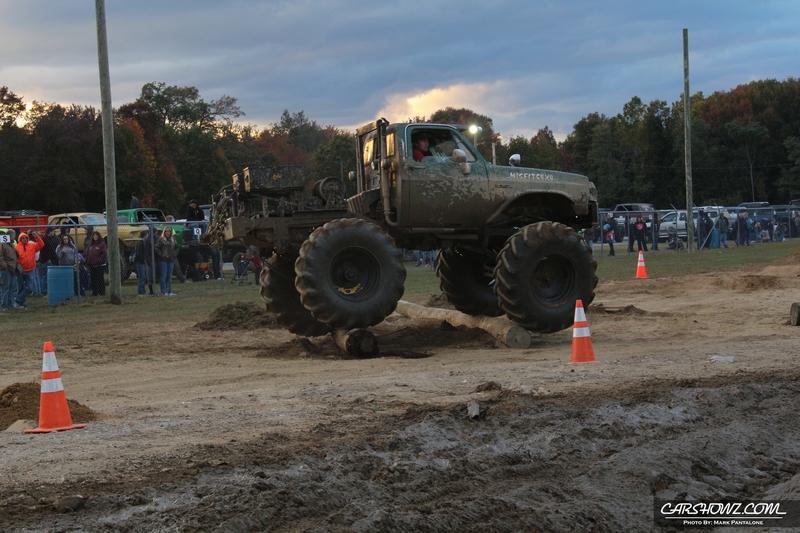 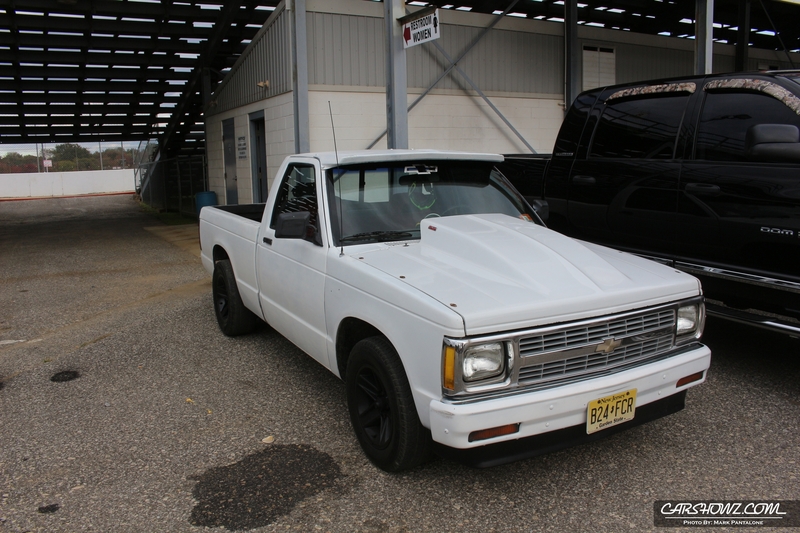 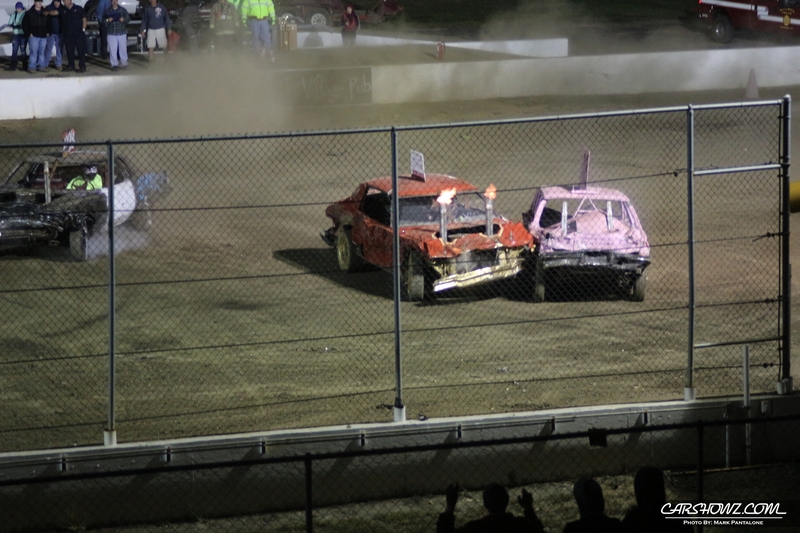 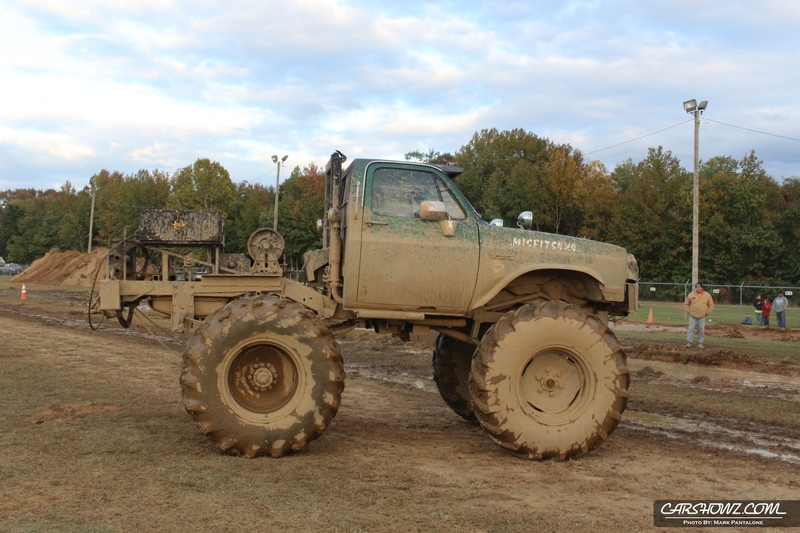 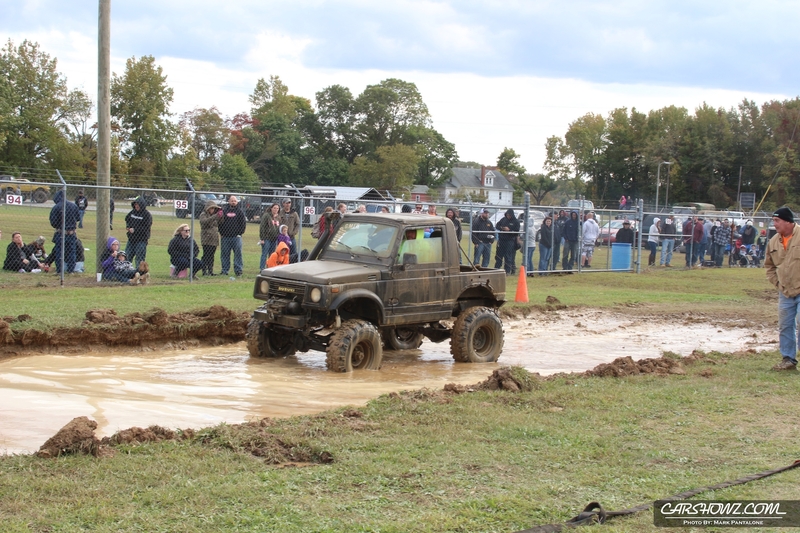 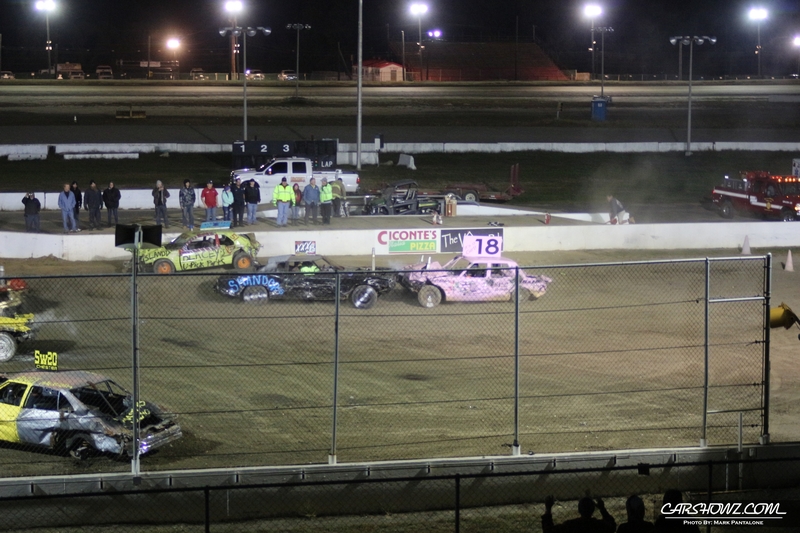 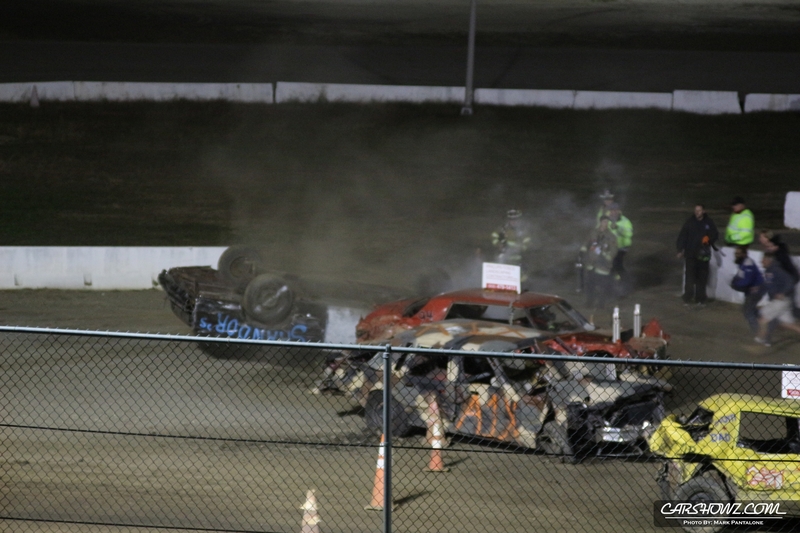 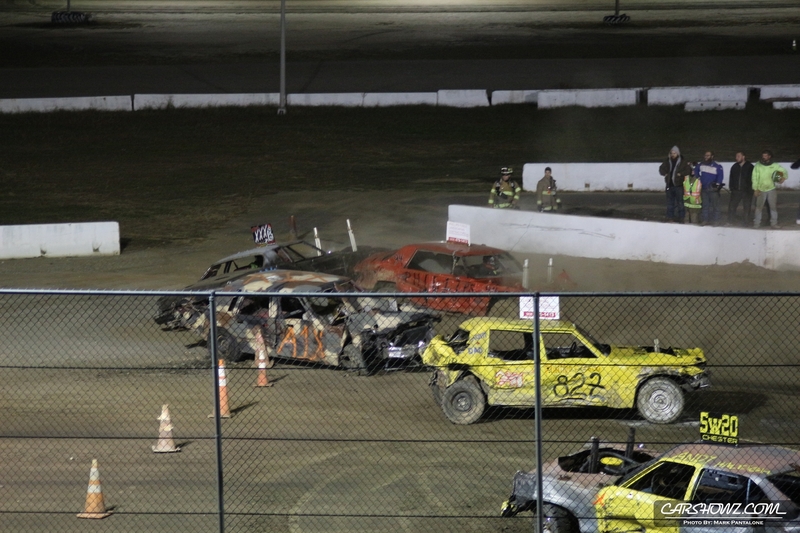 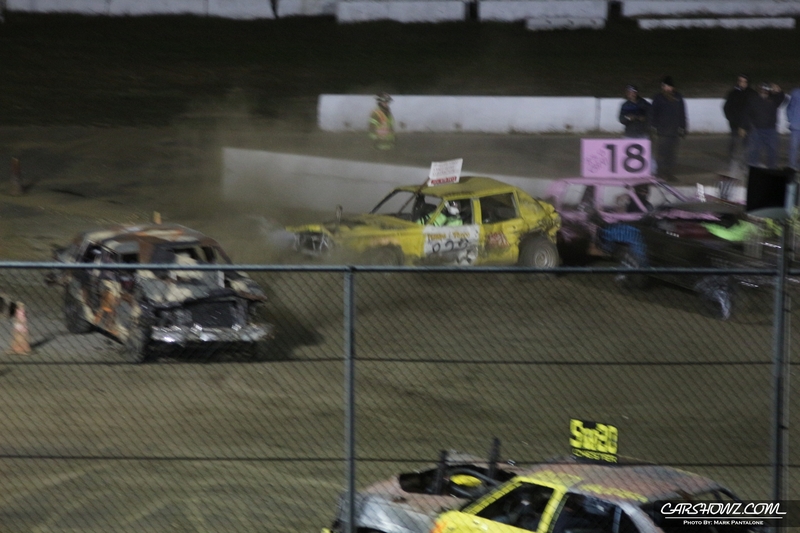 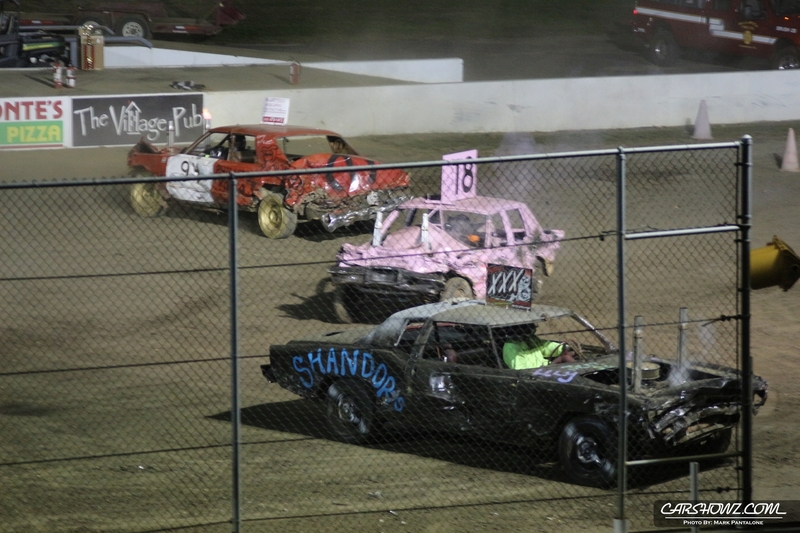 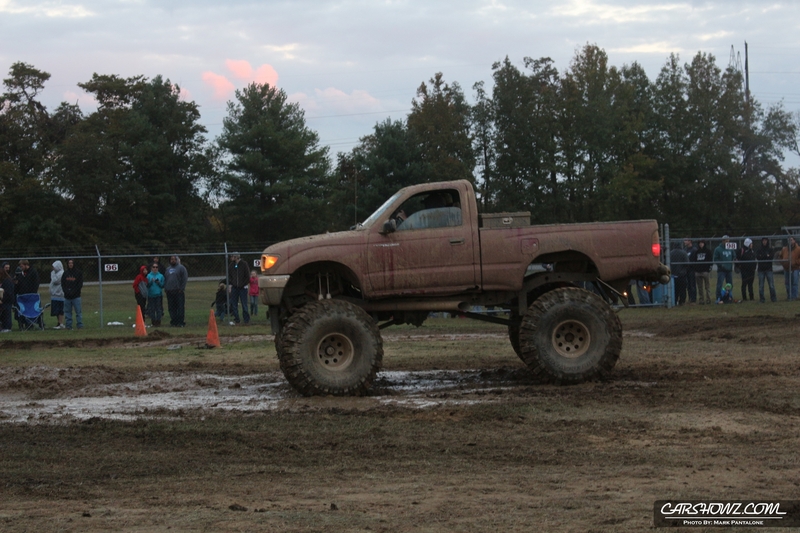 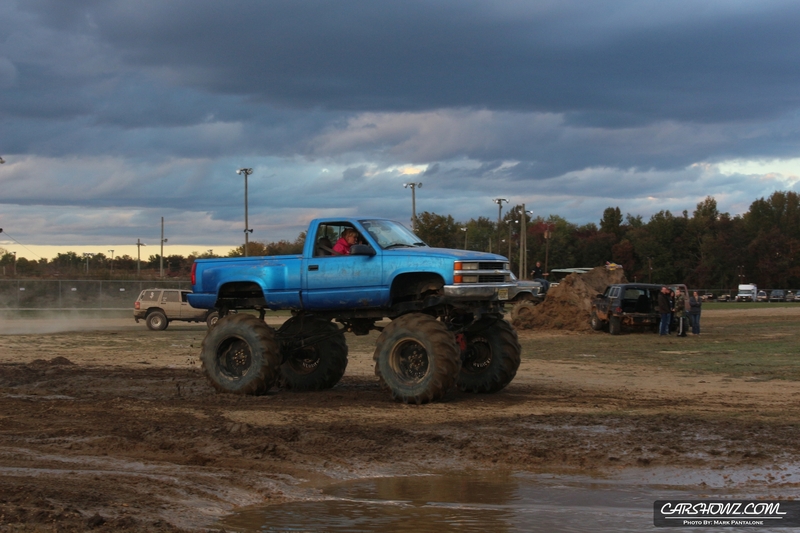 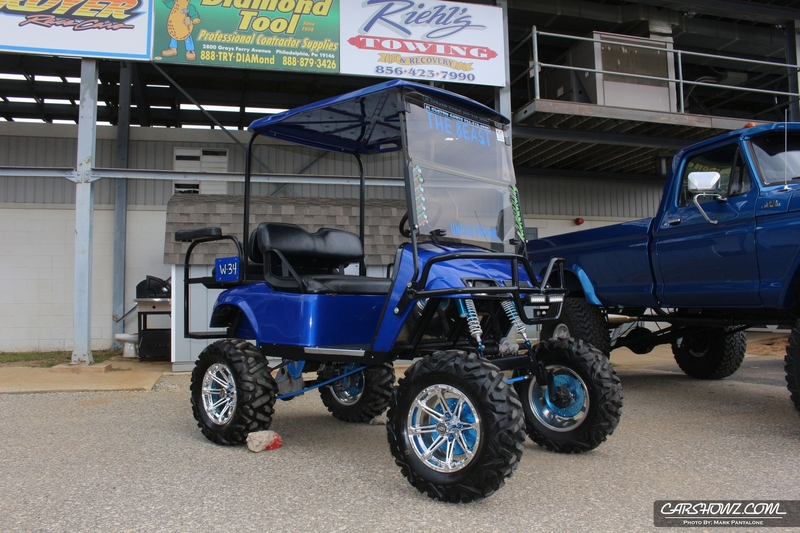 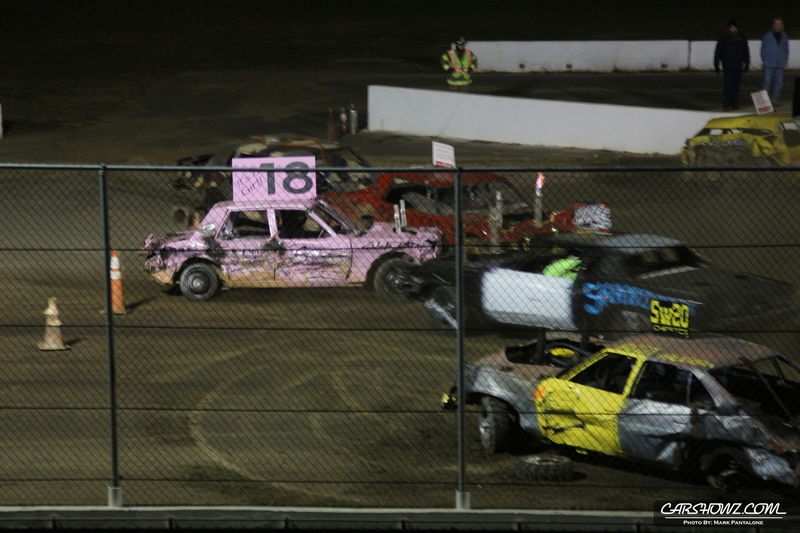 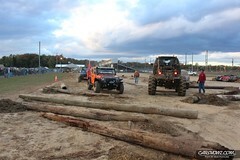 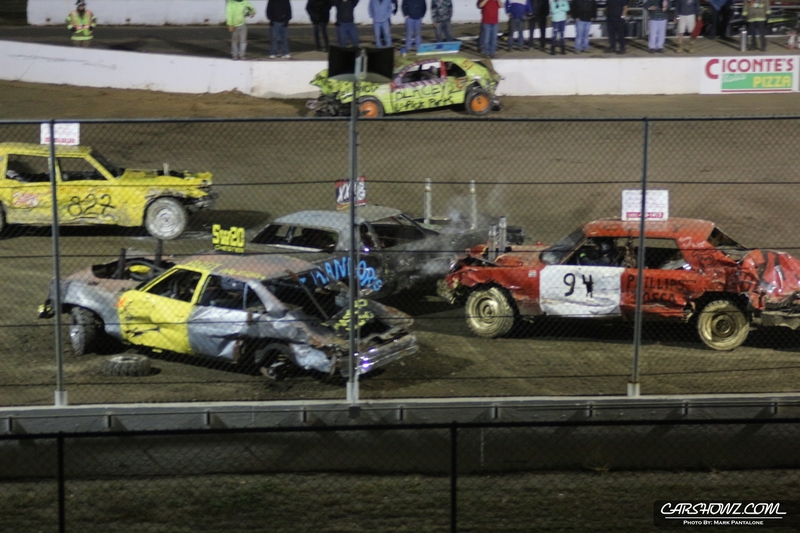 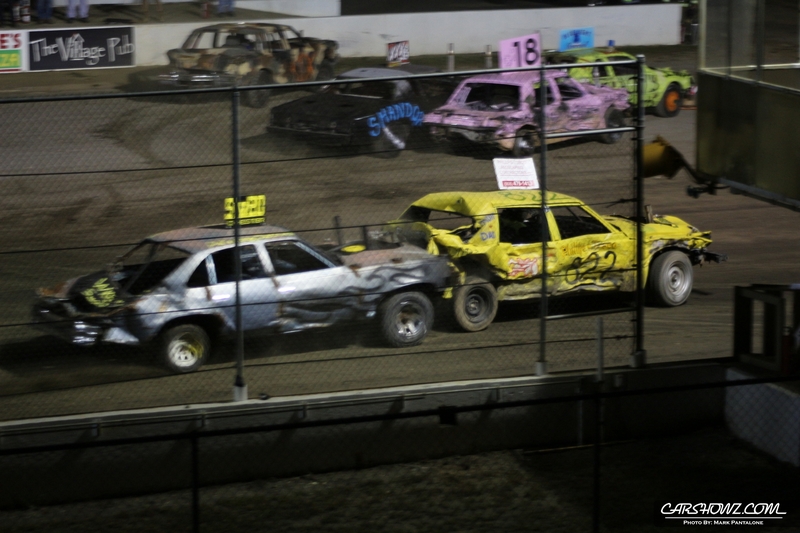 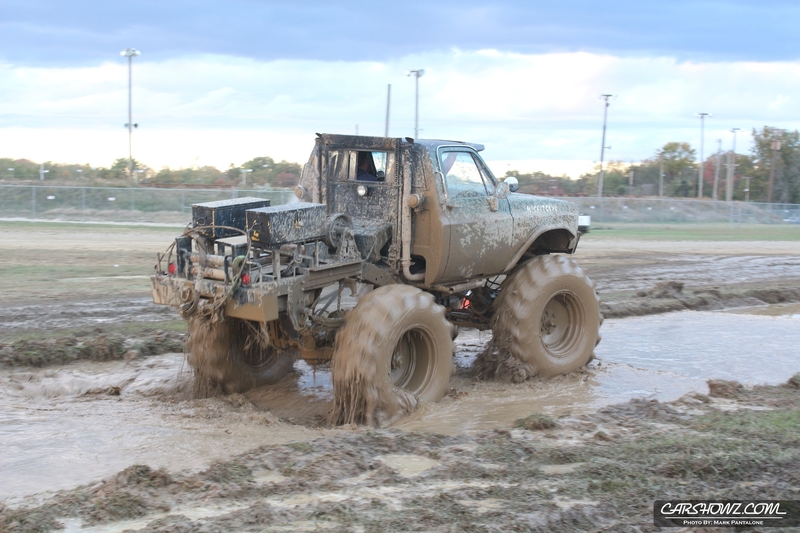 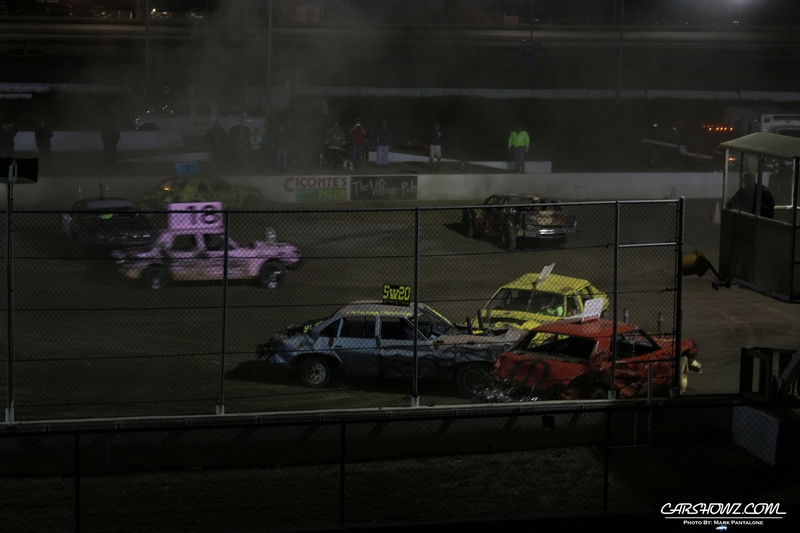 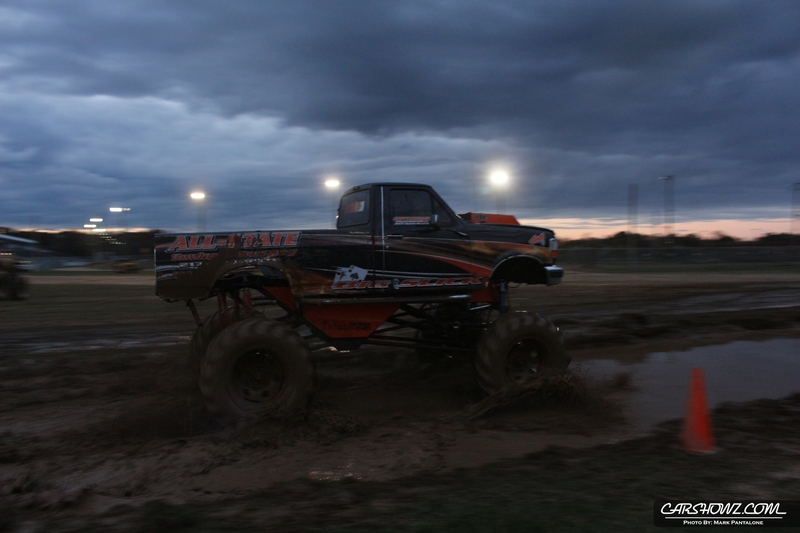 Misfits 4×4 Club teamed up with Bridgeport Speedway to bring to you a unique event filled with a ton of activities on October 17, 2015. 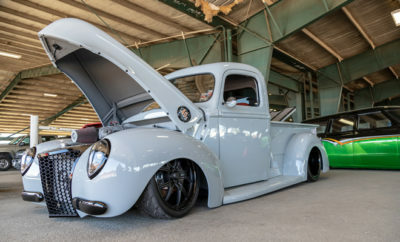 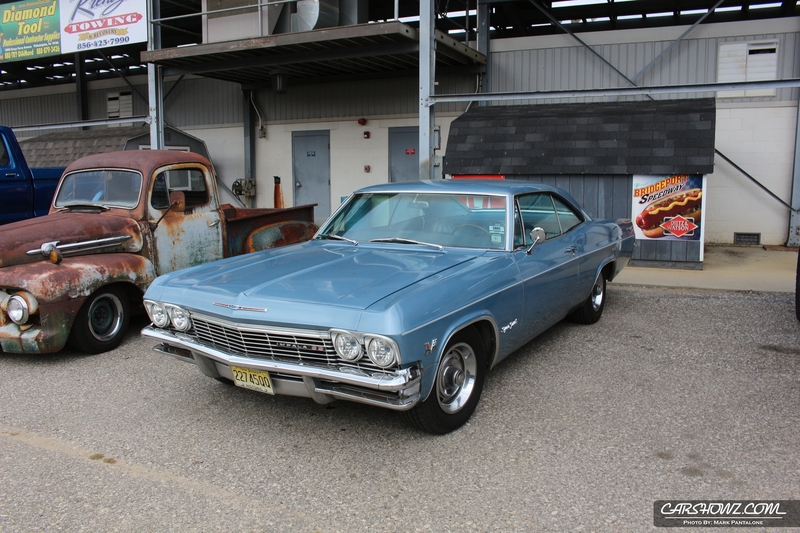 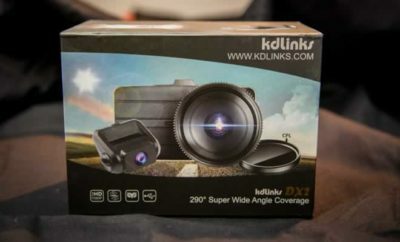 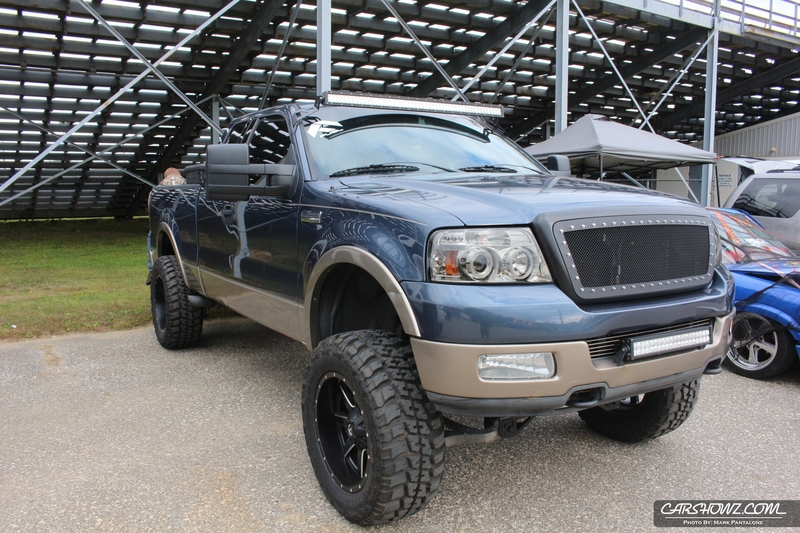 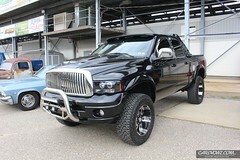 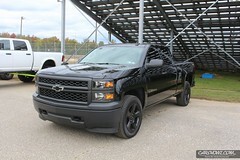 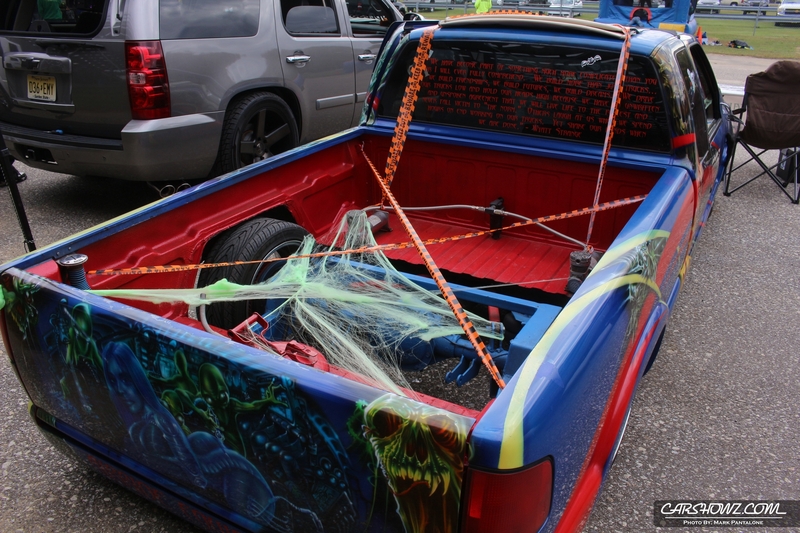 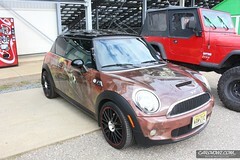 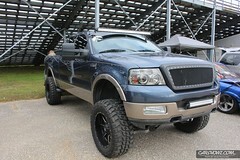 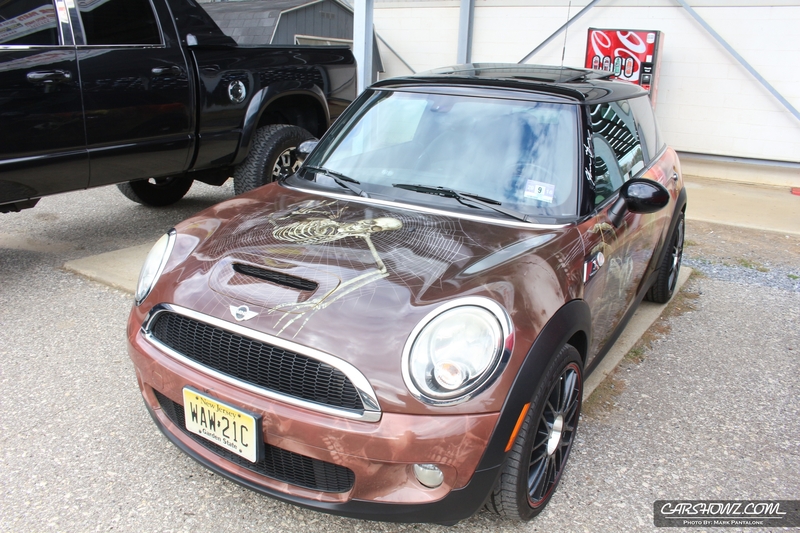 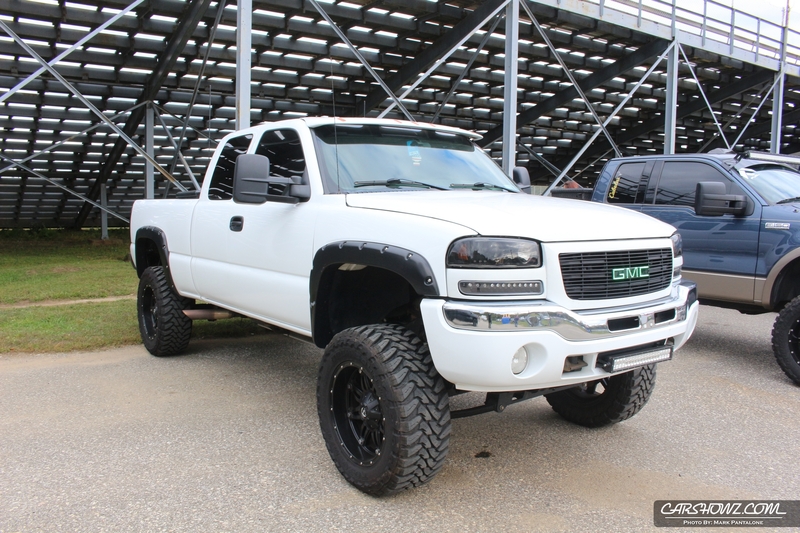 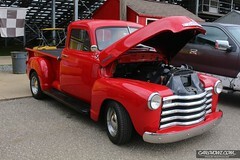 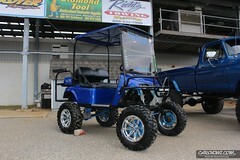 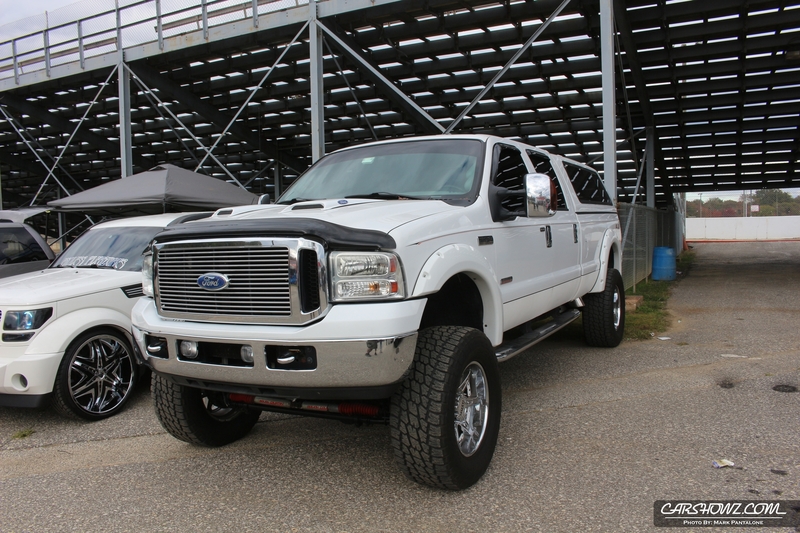 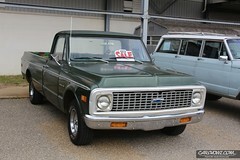 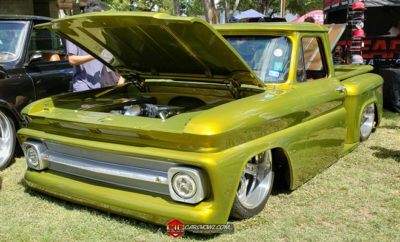 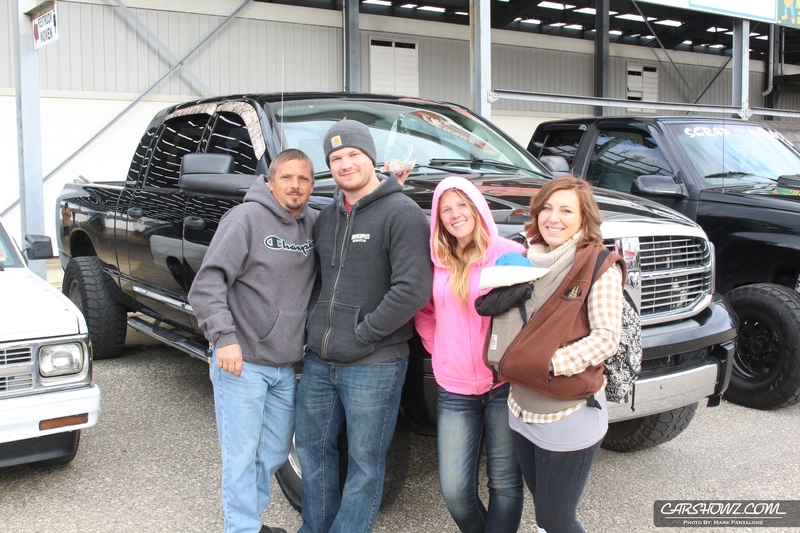 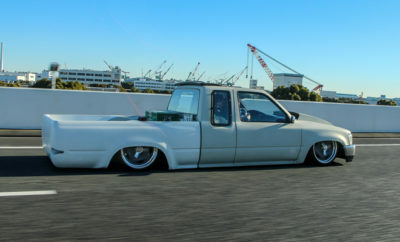 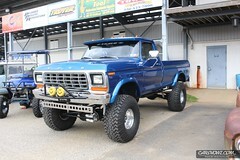 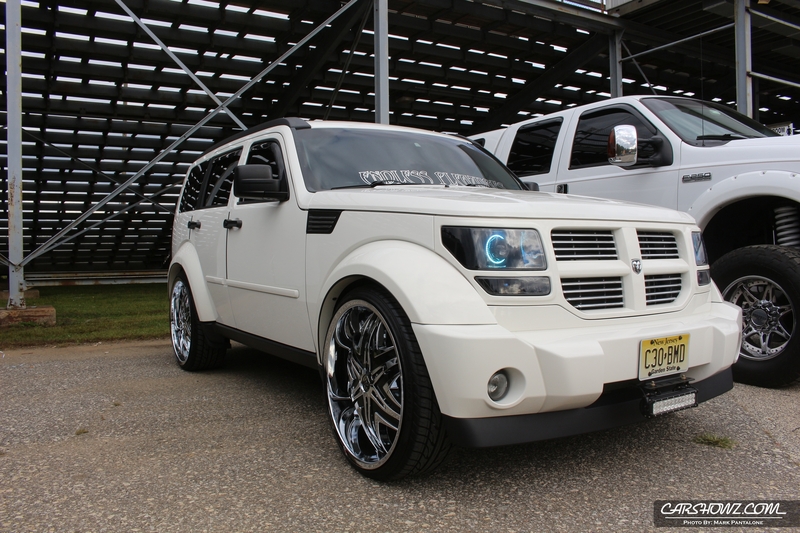 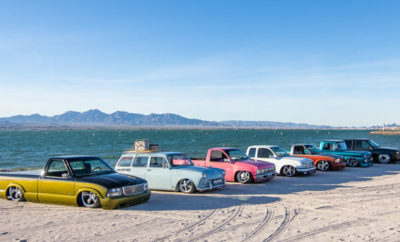 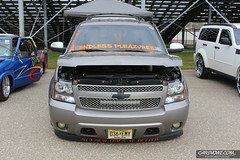 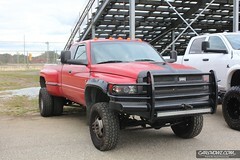 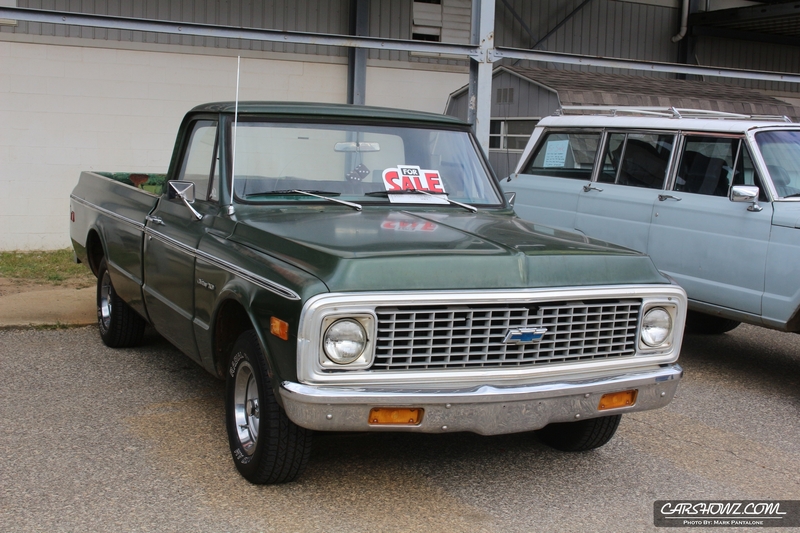 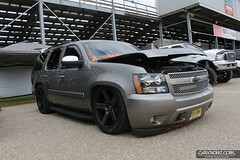 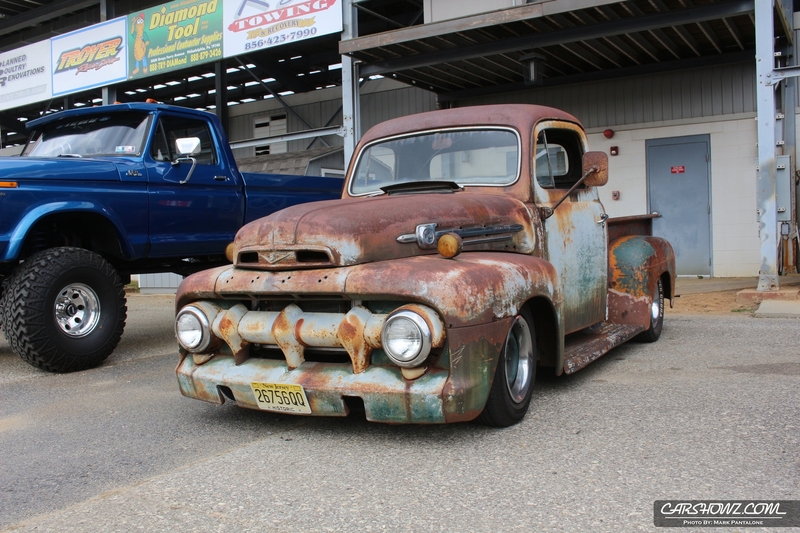 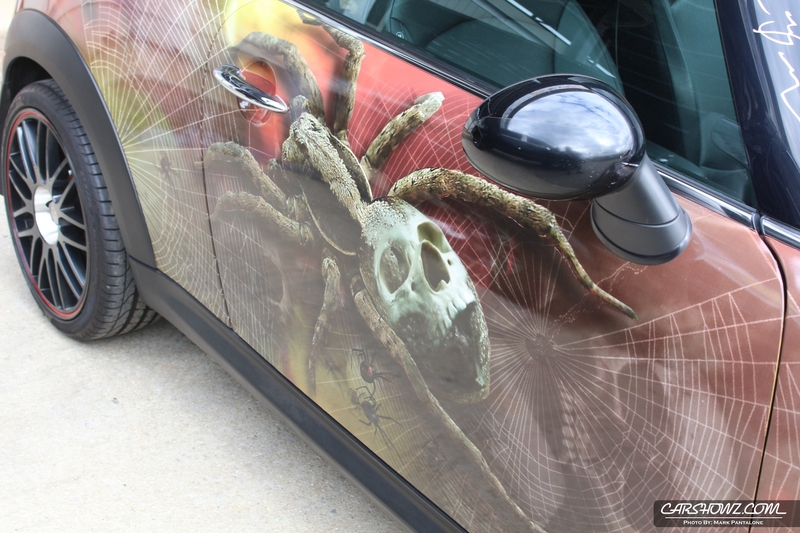 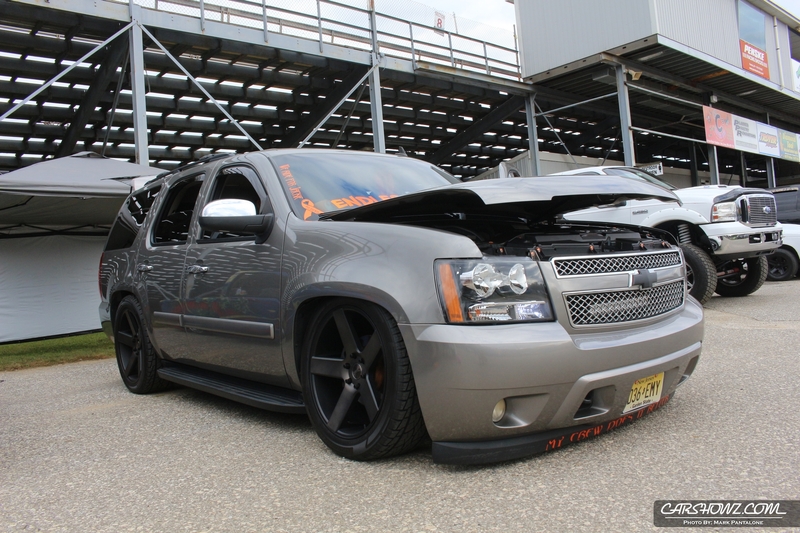 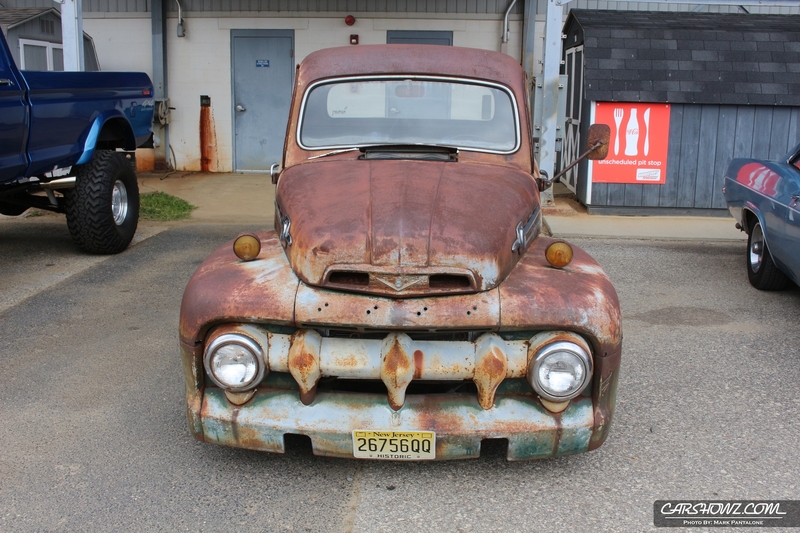 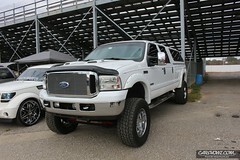 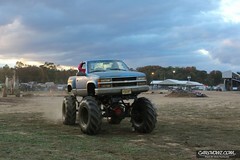 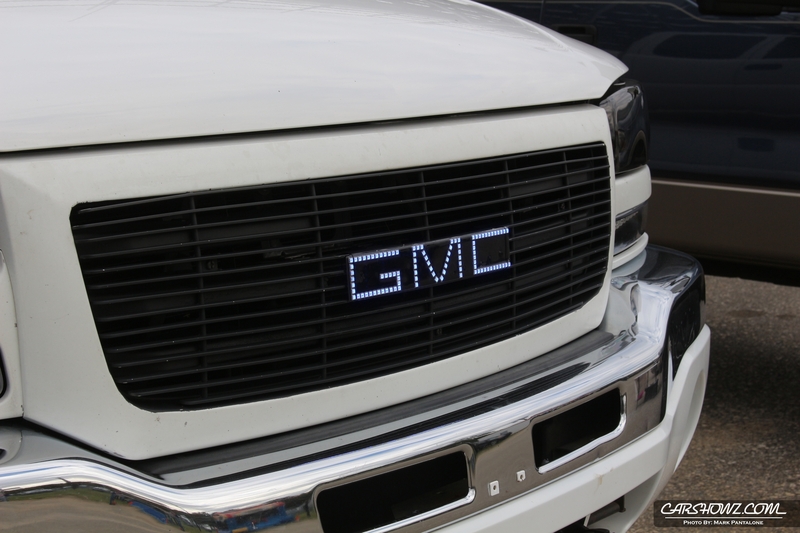 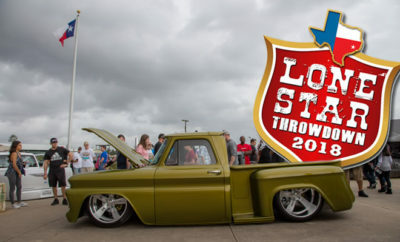 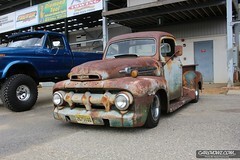 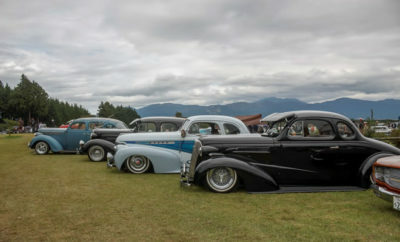 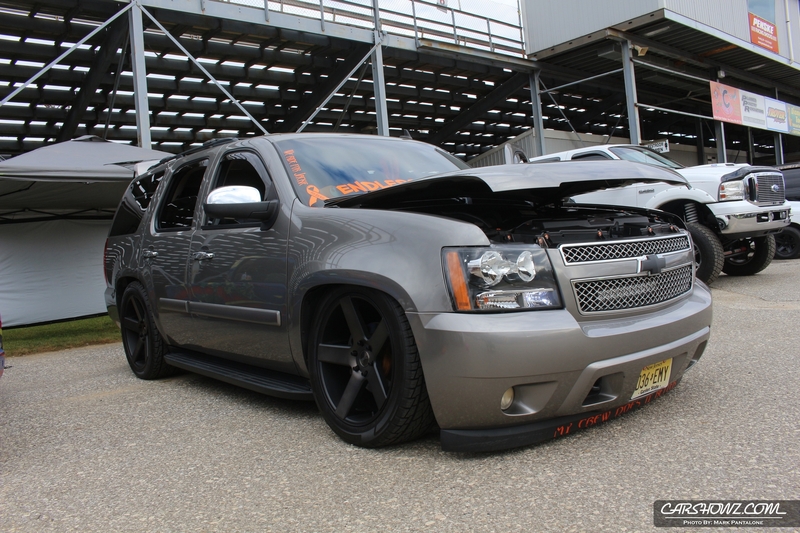 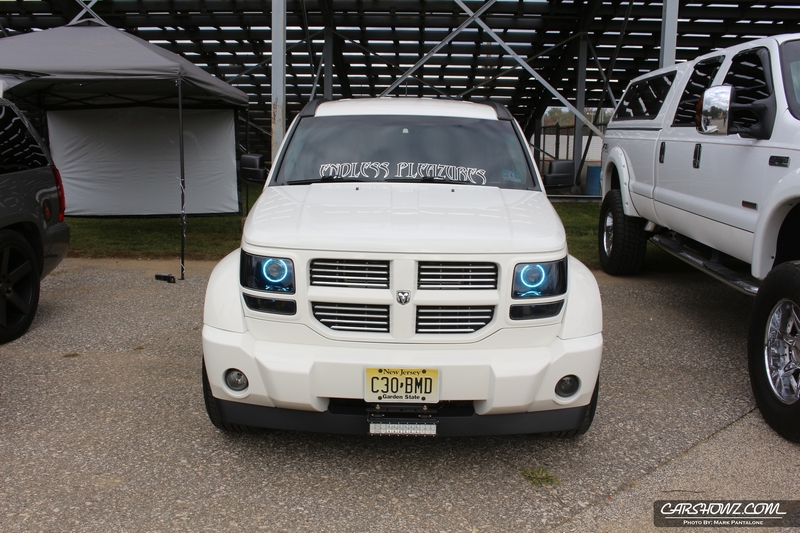 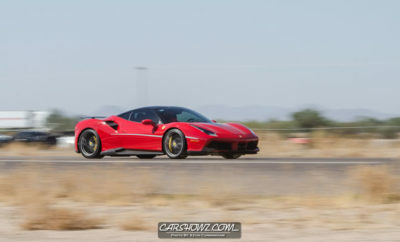 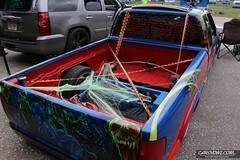 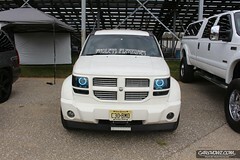 Mark Pantalone was out for CarShowz snapping photos capturing the event through his lens. 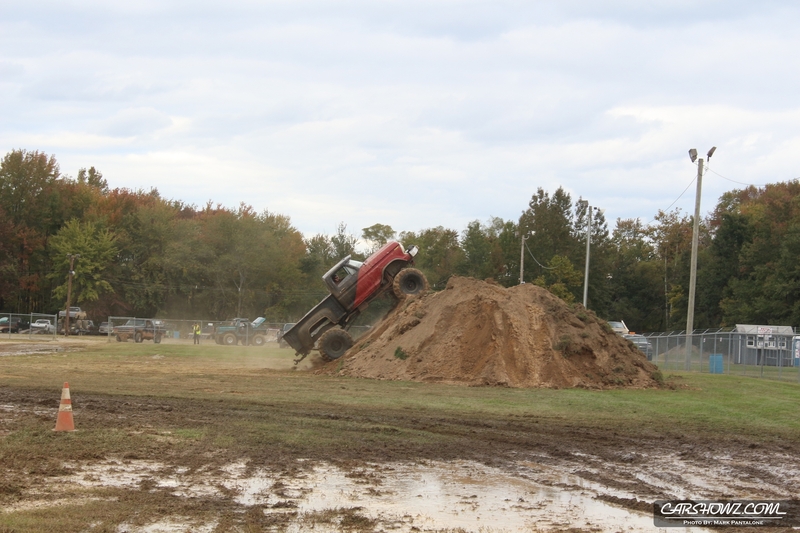 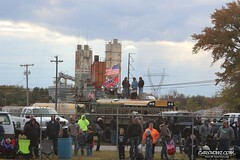 The show had a bit of everything for everyone: A moon bounce for the kids, live bands, DJ, raffles and of course the staple of the event, muddin’! 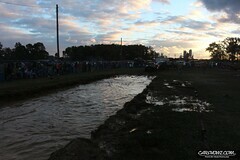 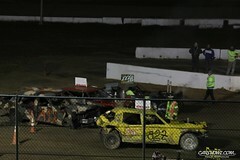 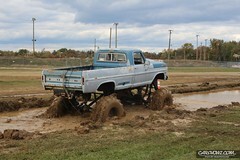 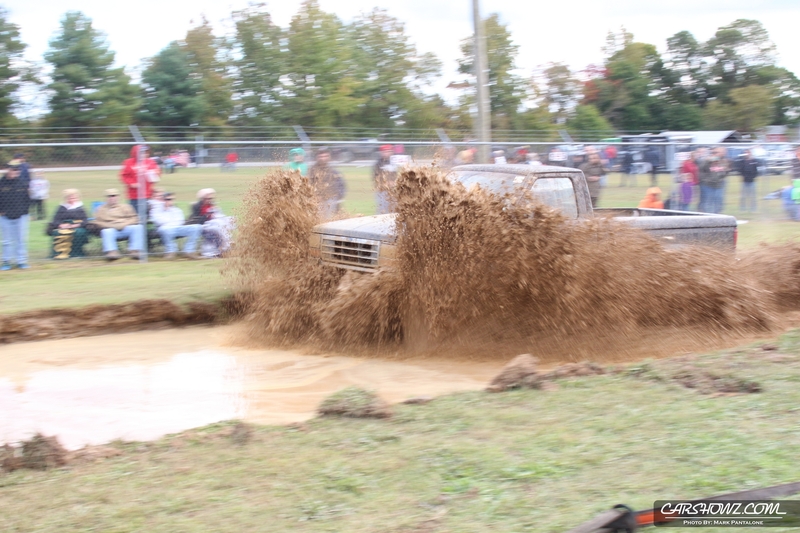 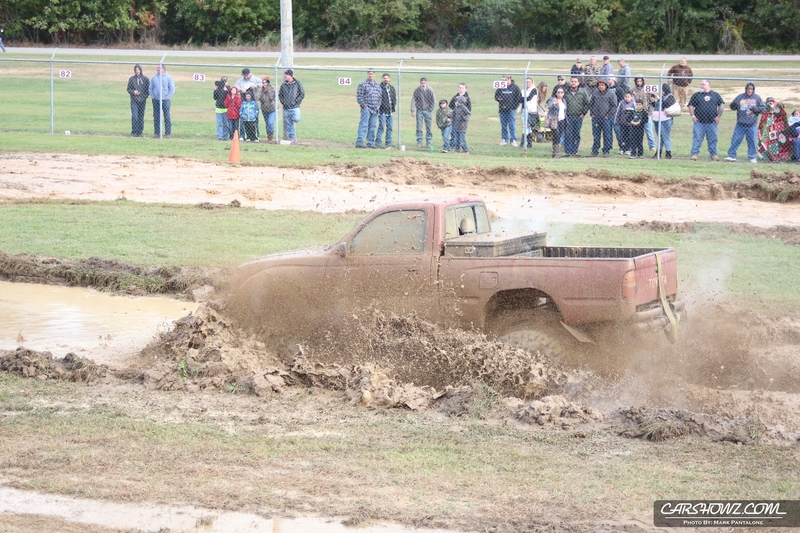 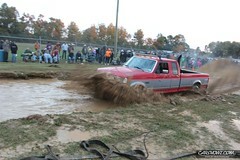 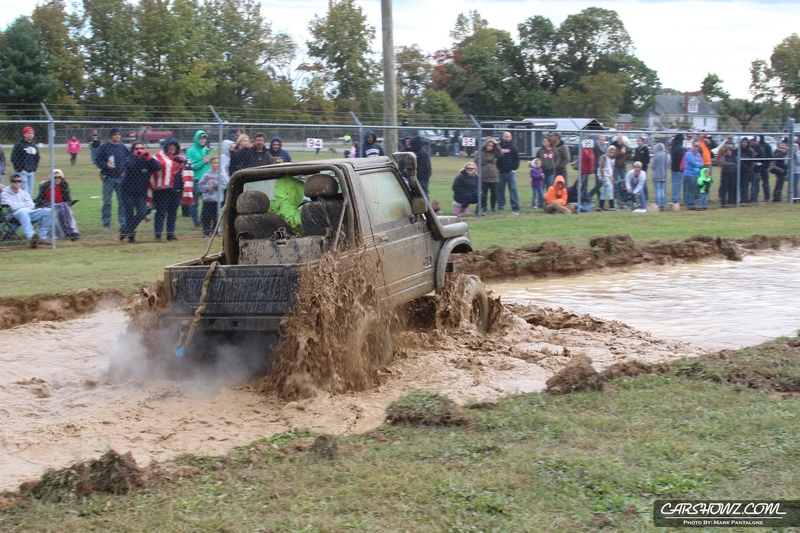 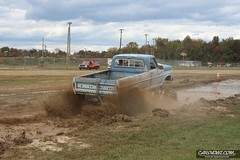 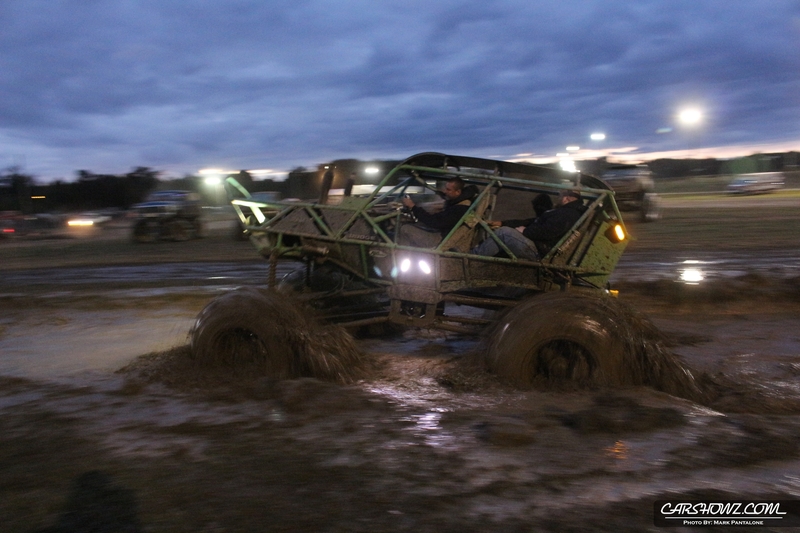 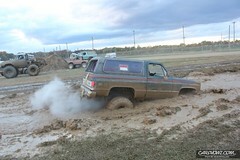 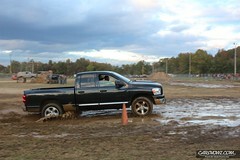 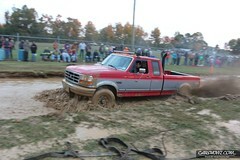 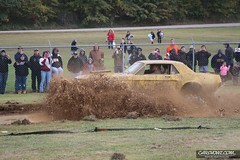 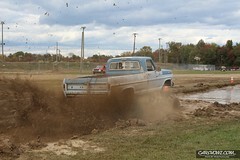 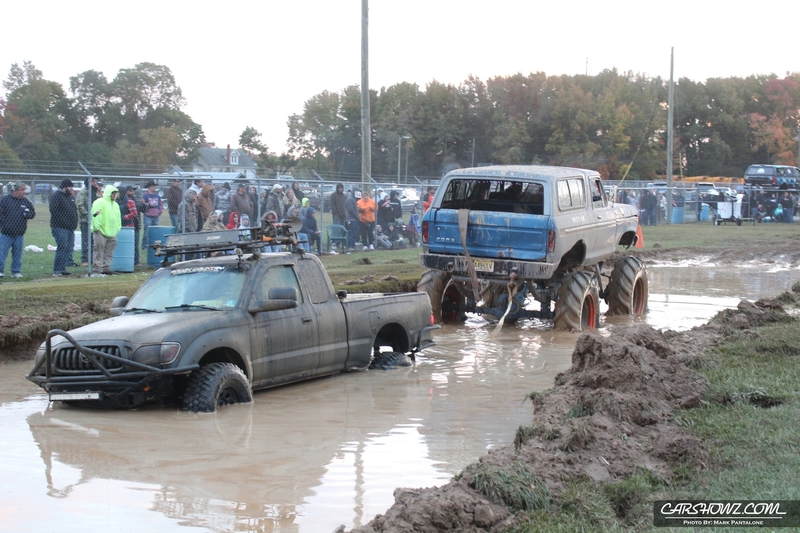 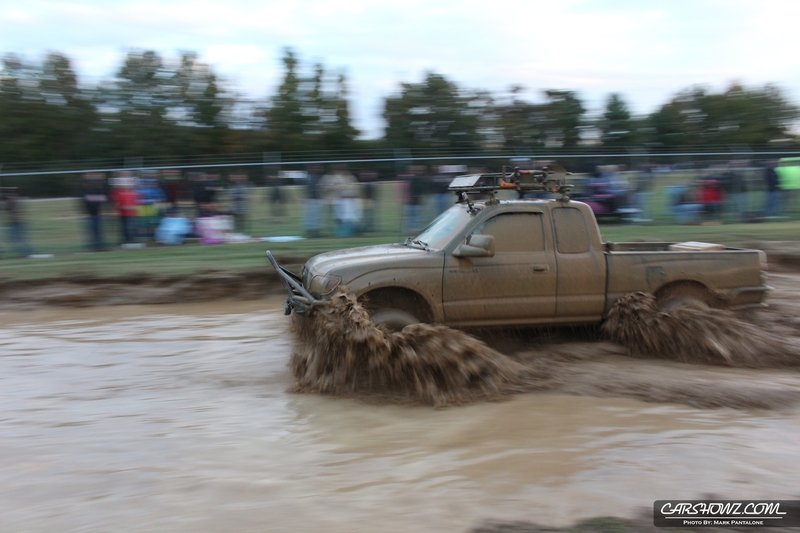 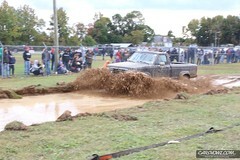 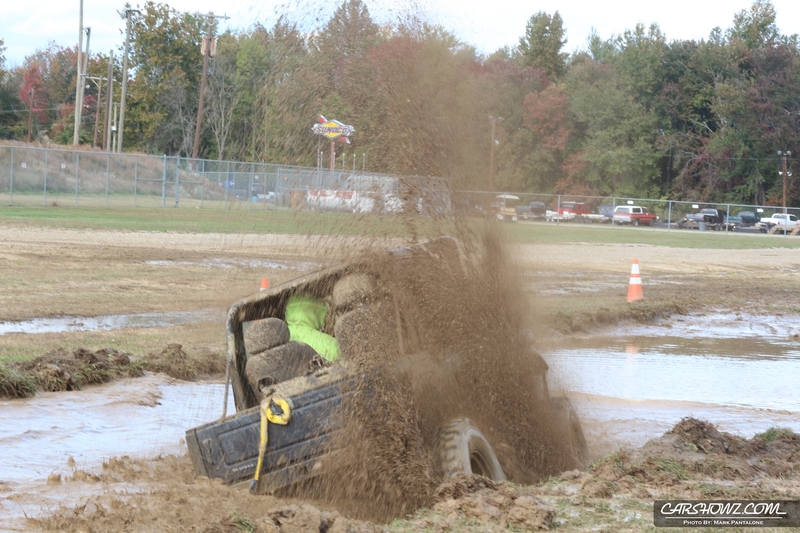 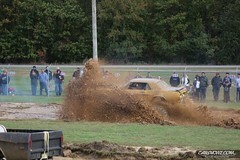 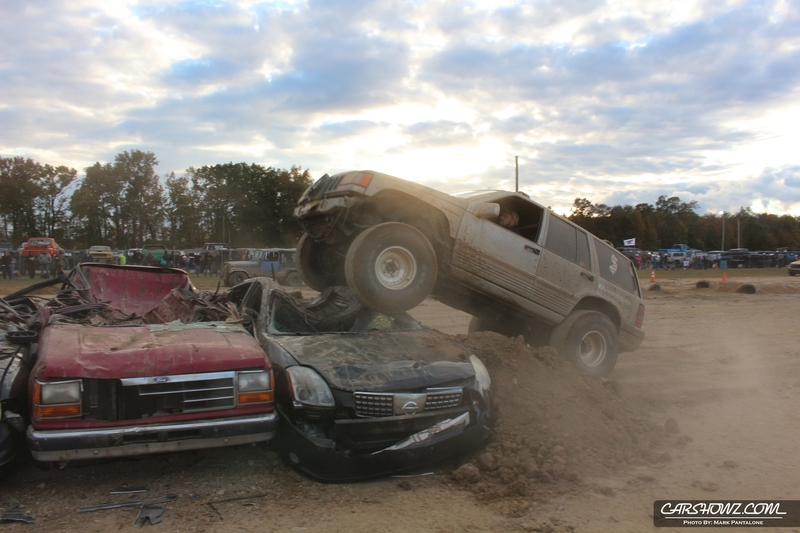 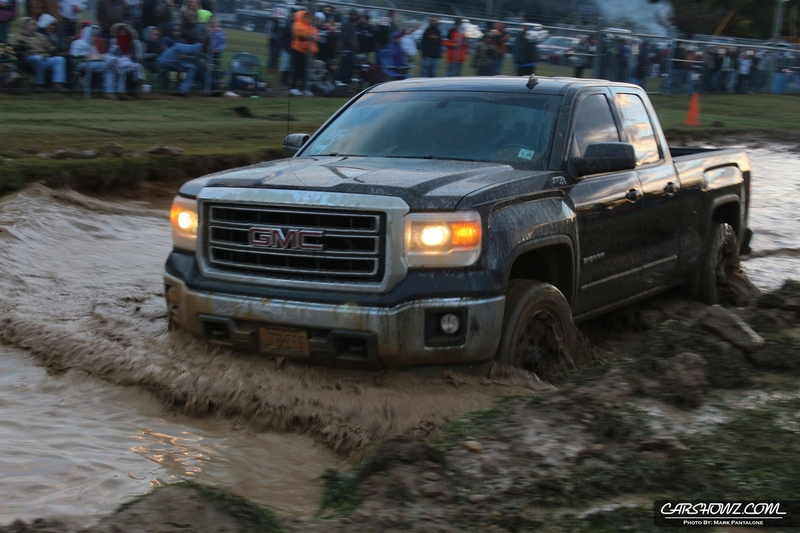 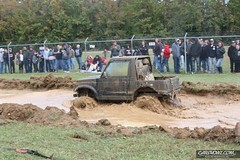 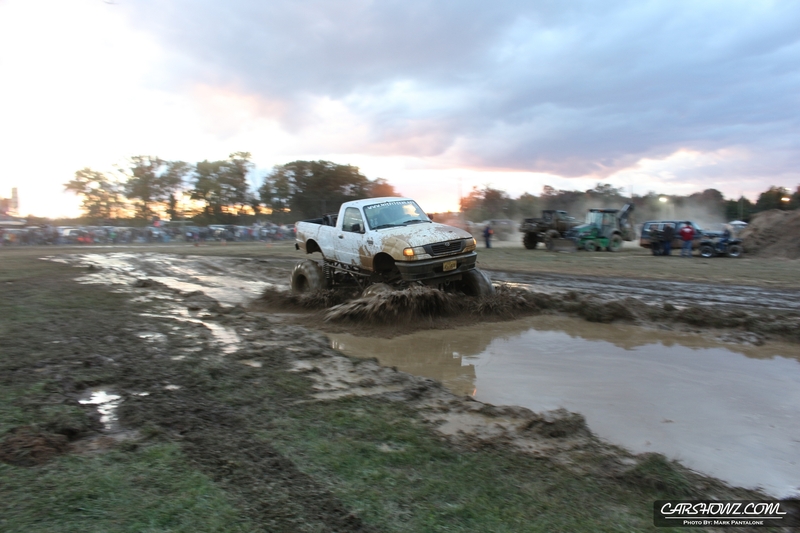 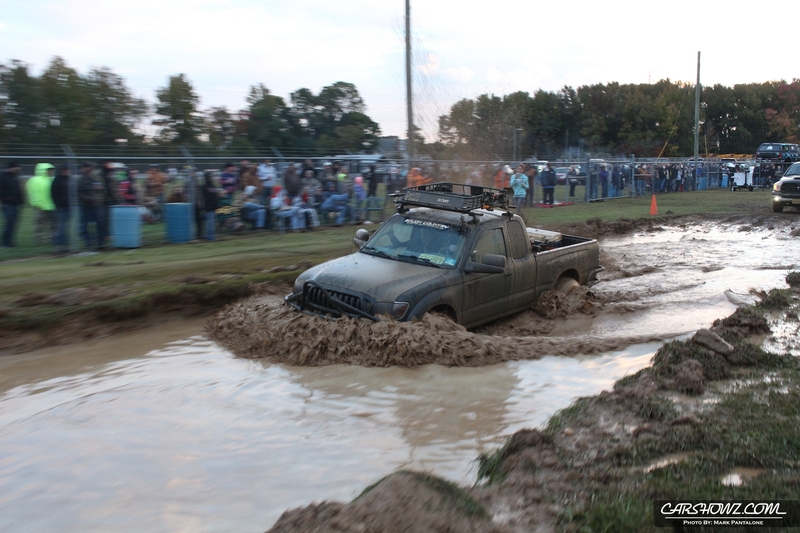 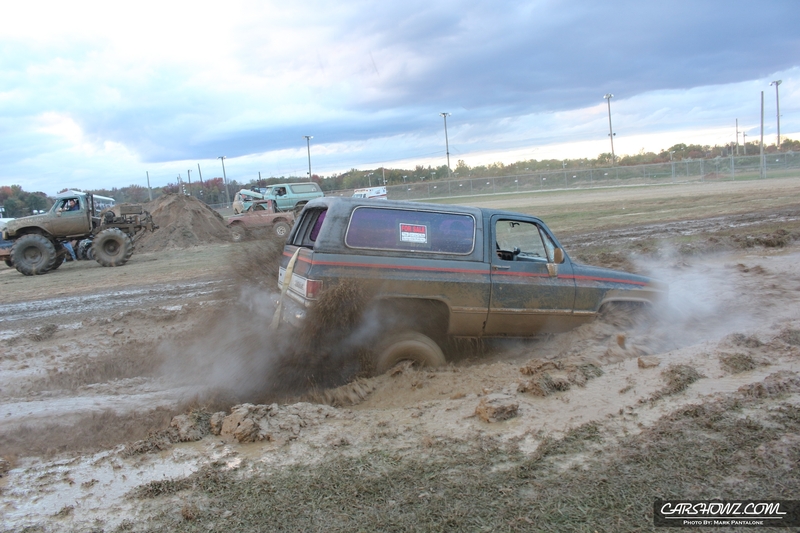 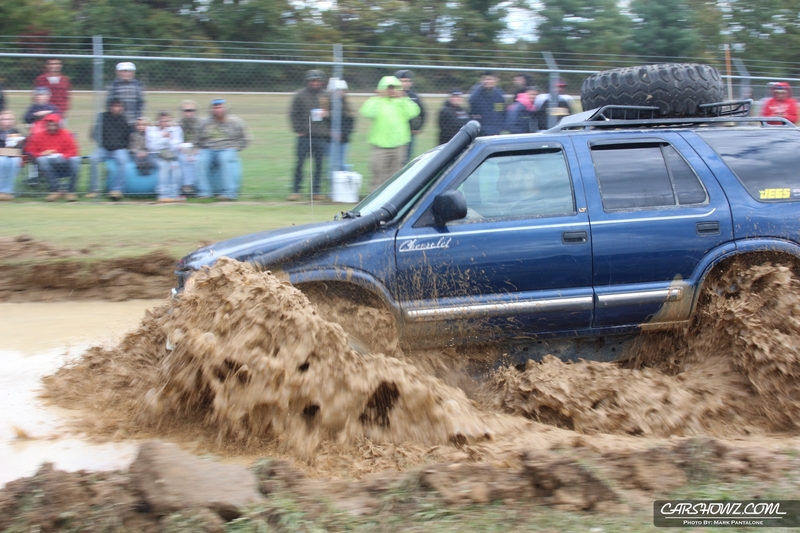 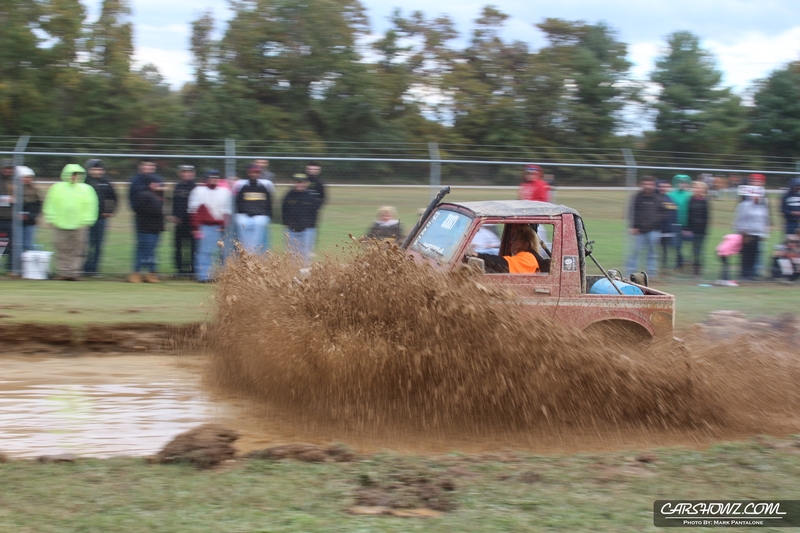 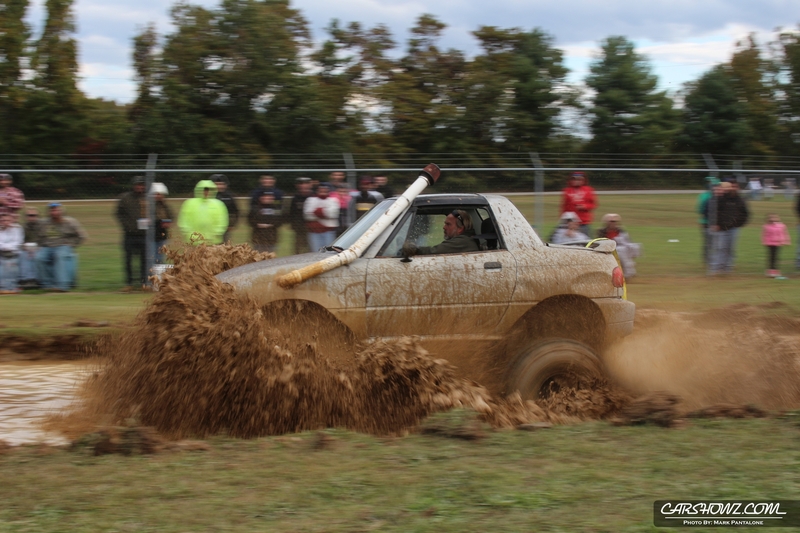 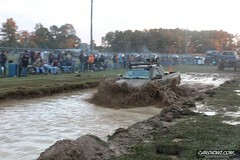 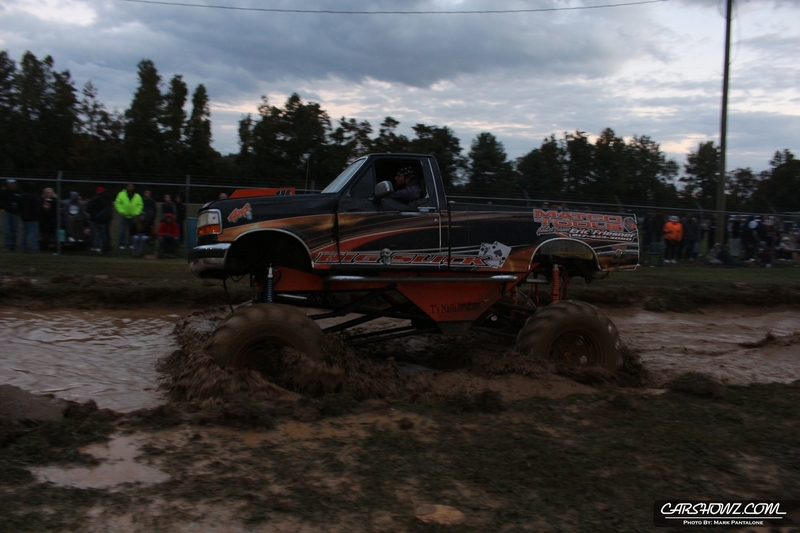 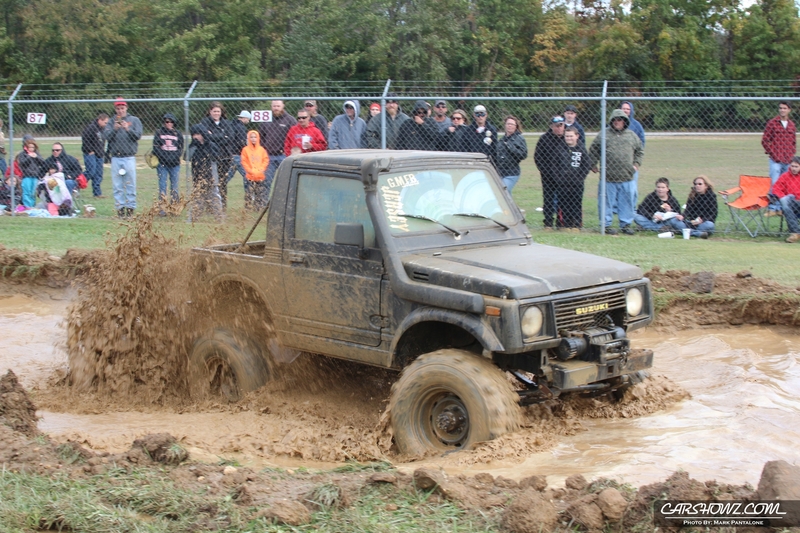 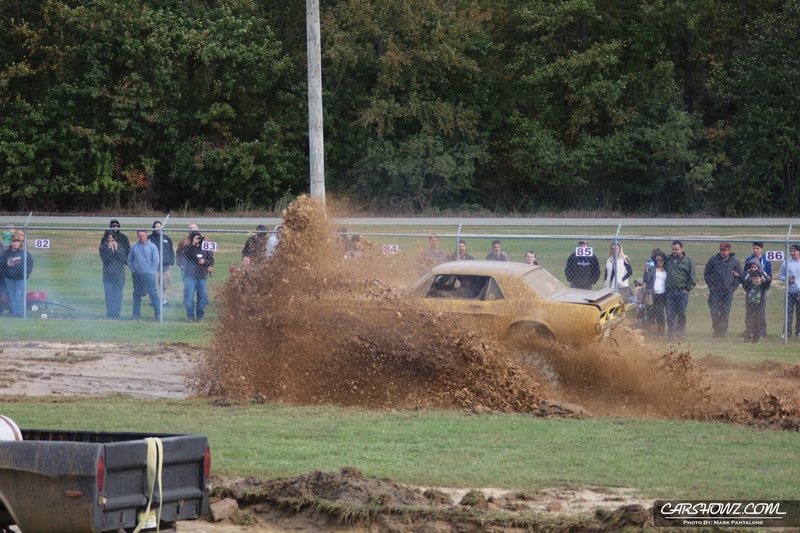 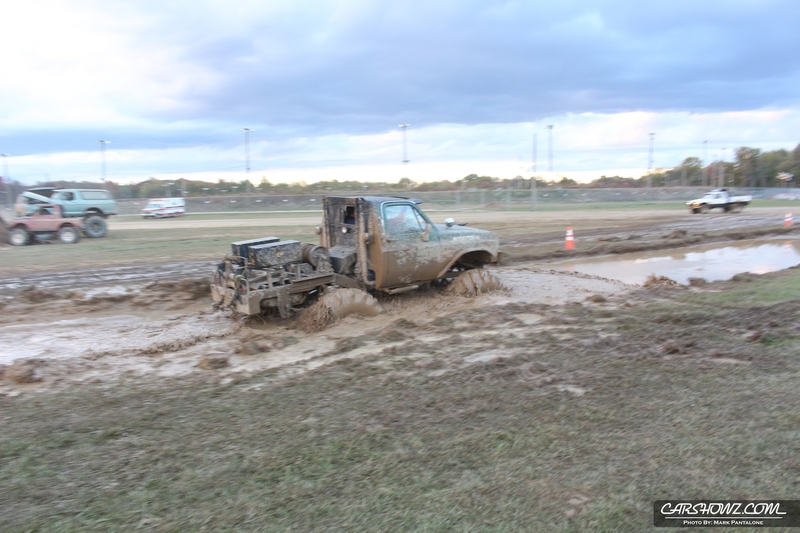 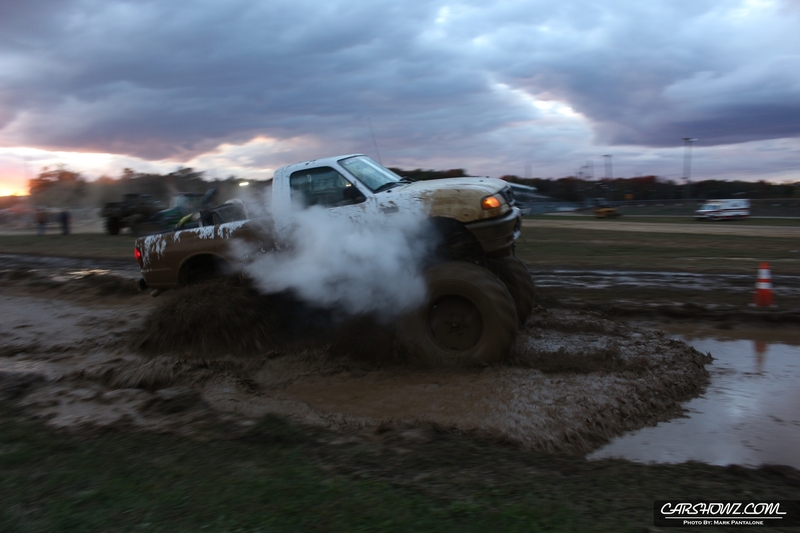 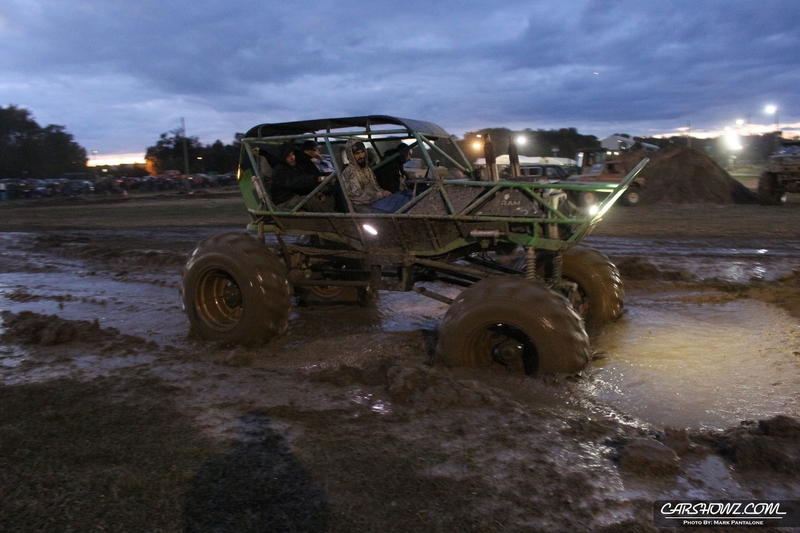 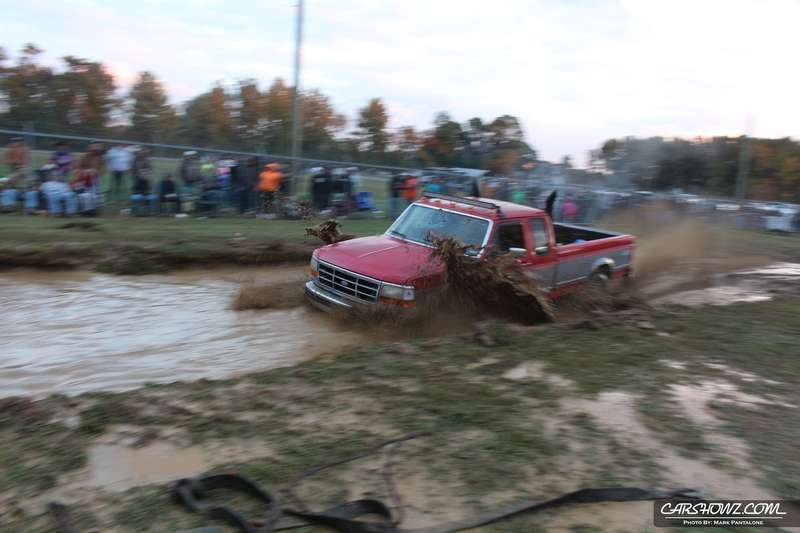 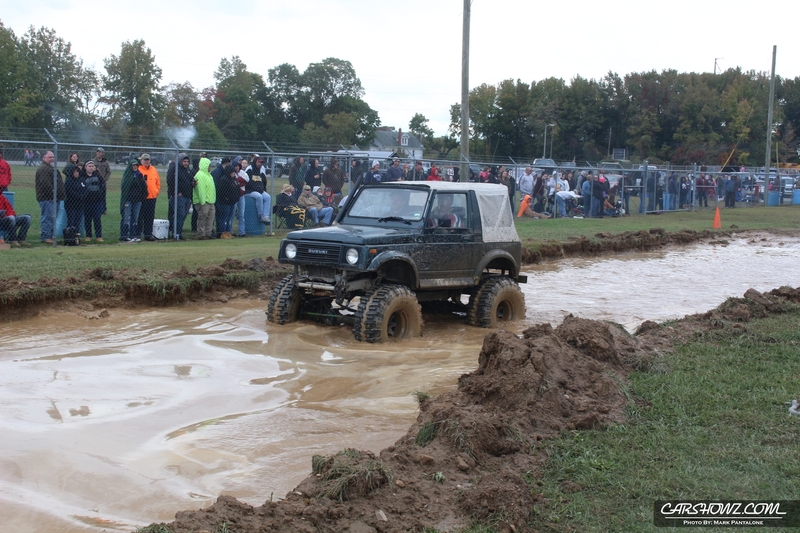 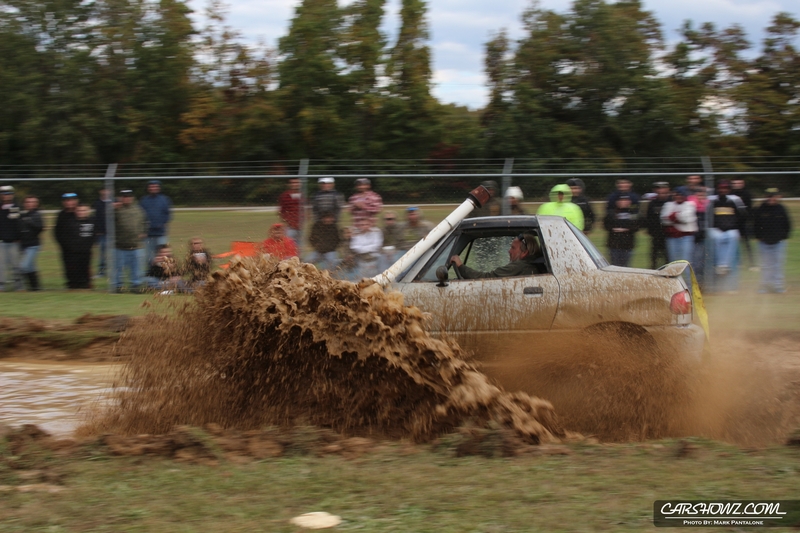 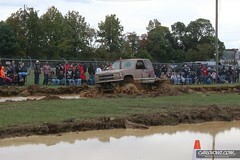 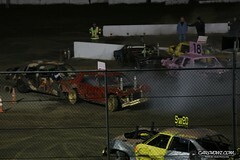 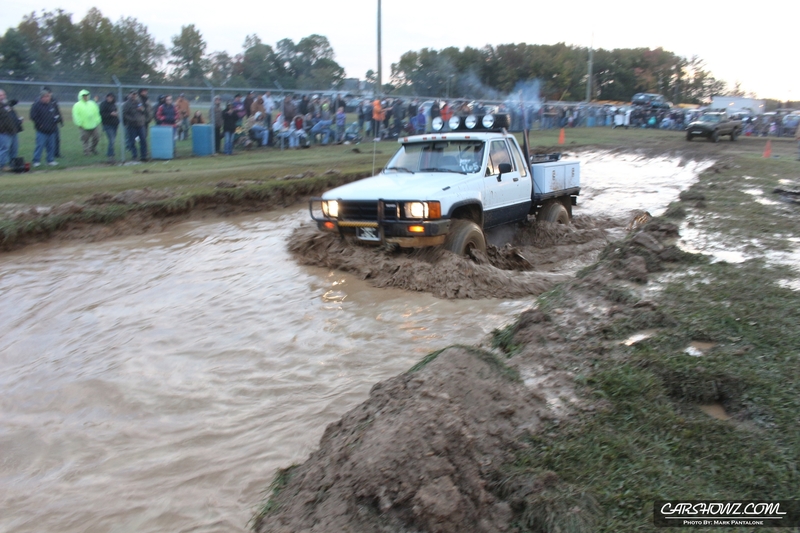 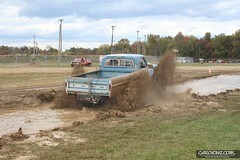 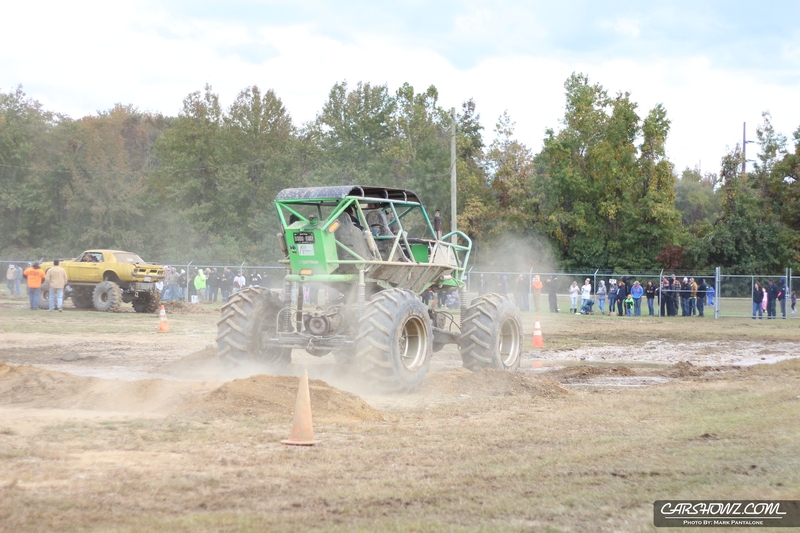 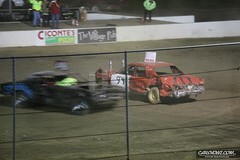 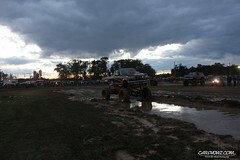 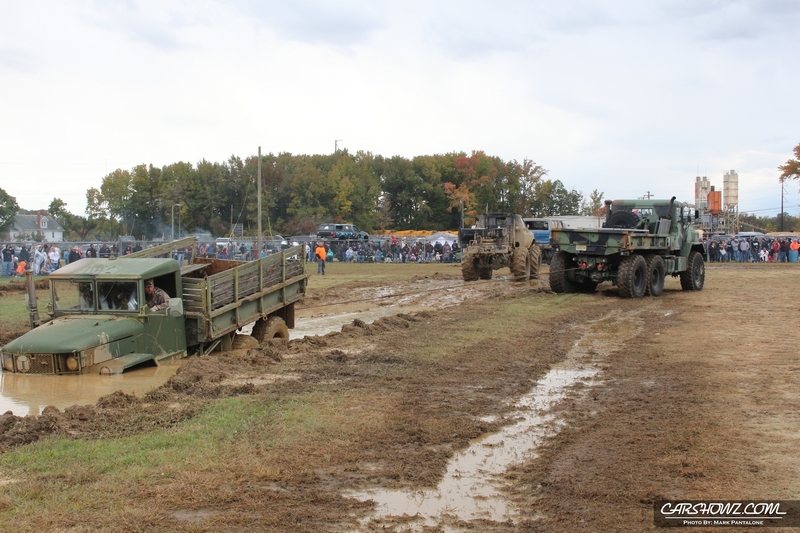 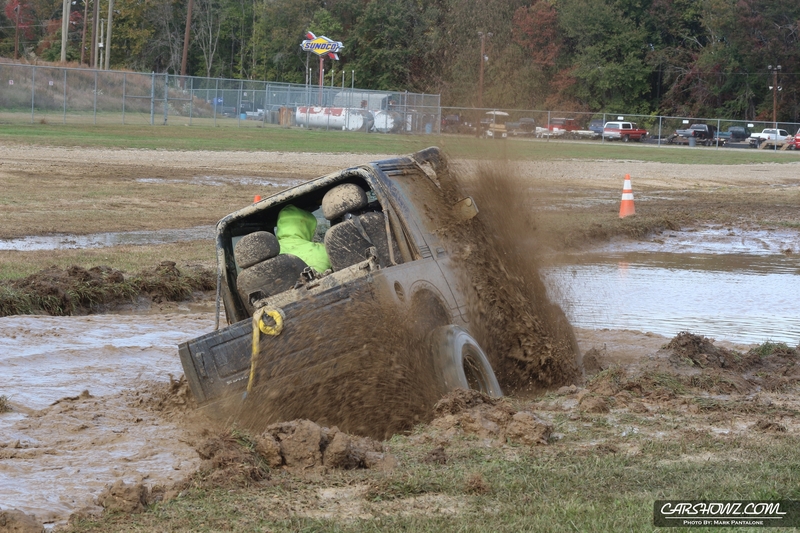 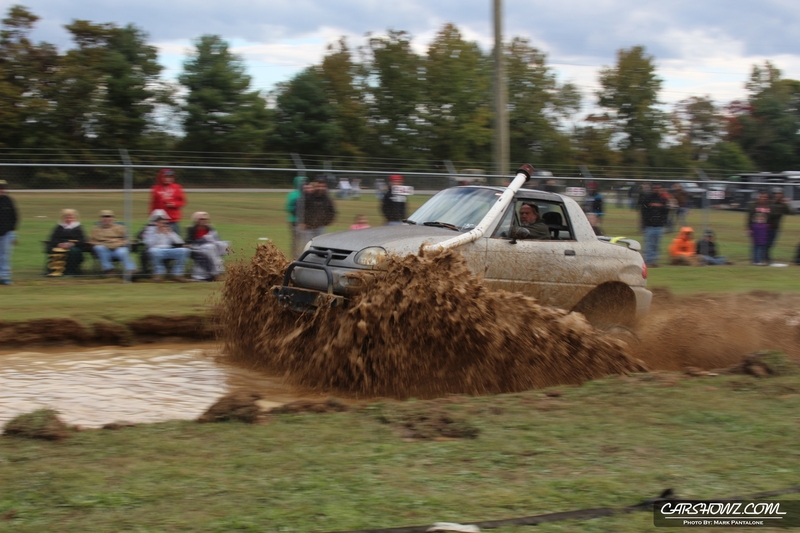 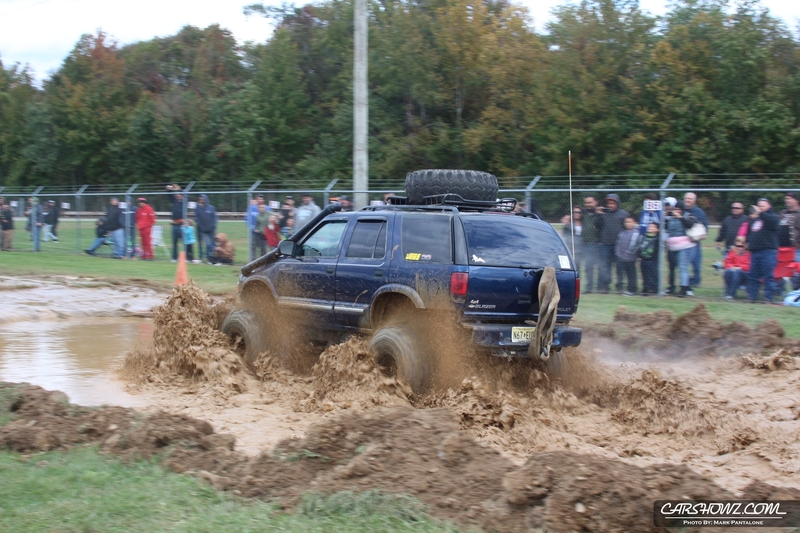 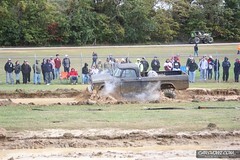 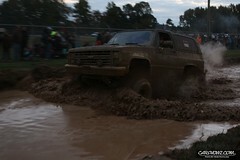 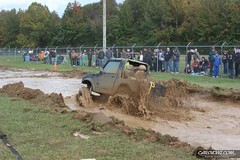 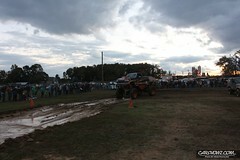 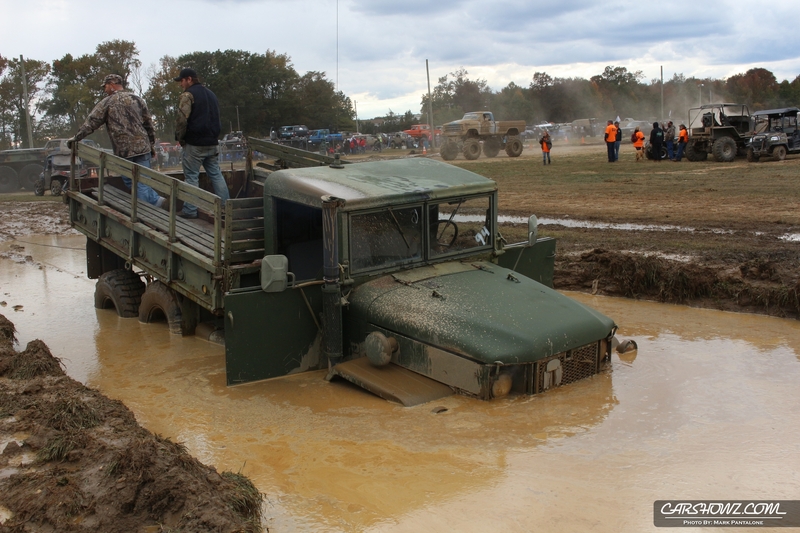 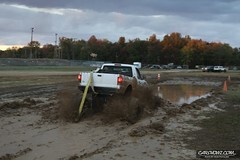 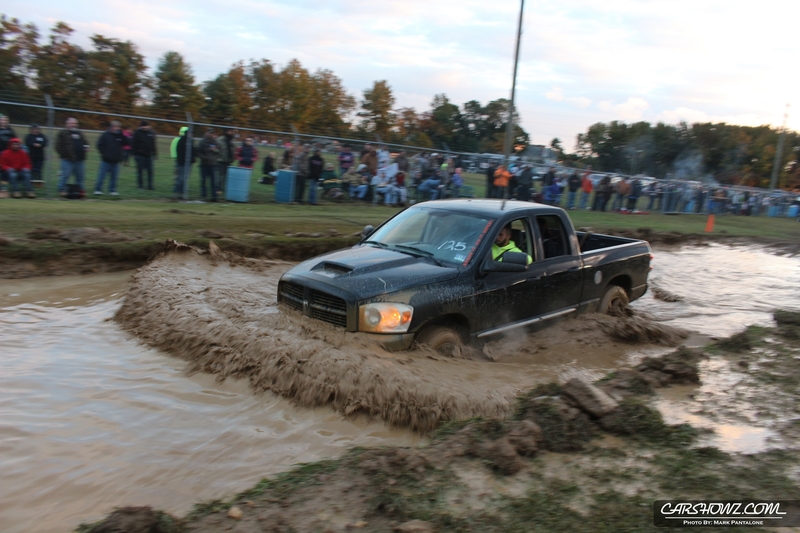 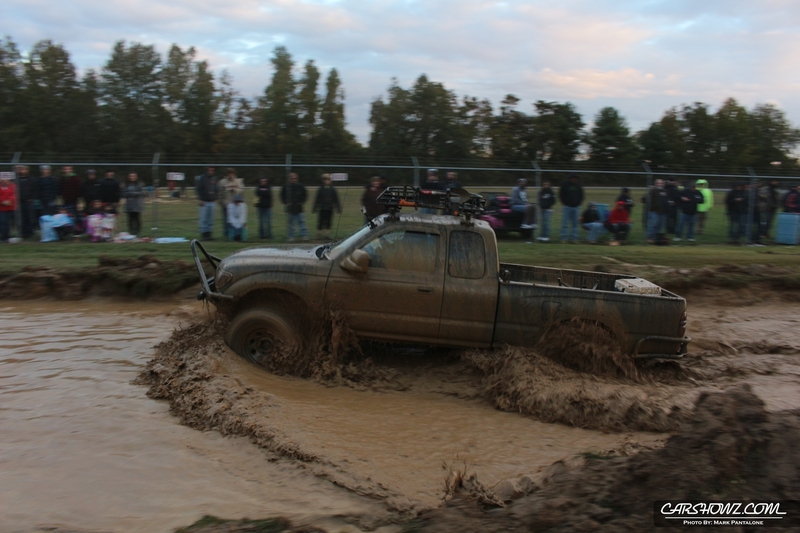 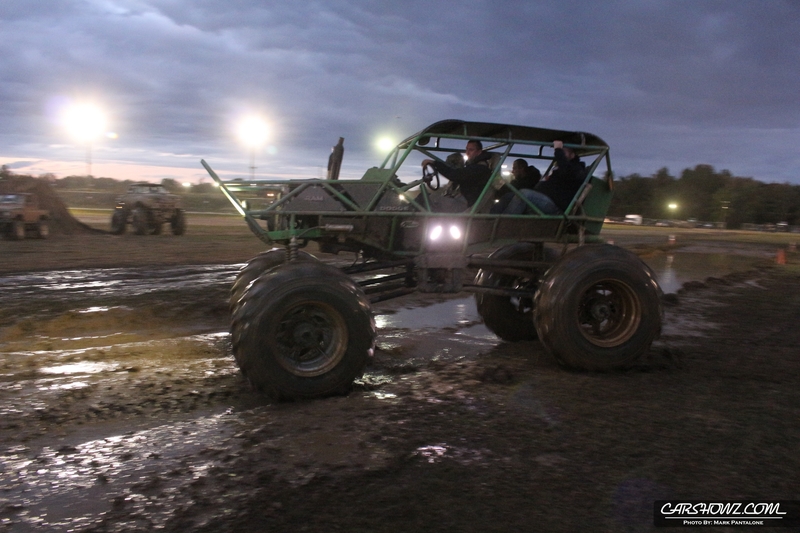 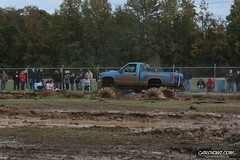 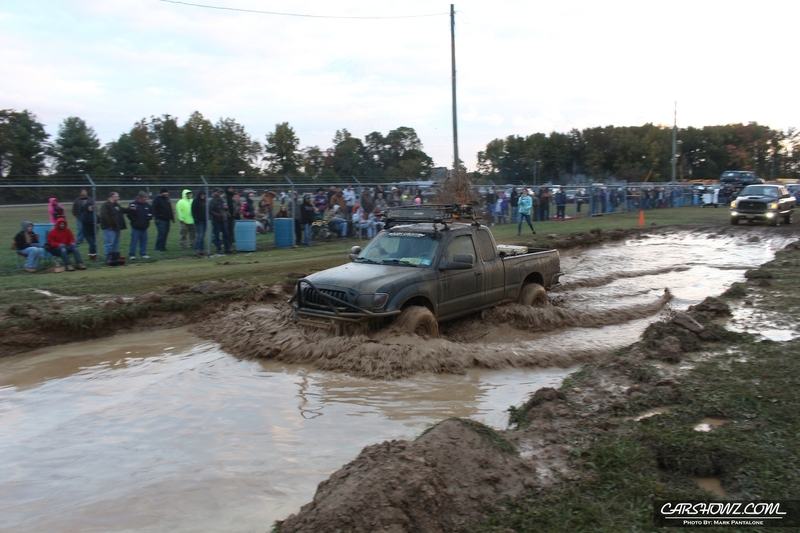 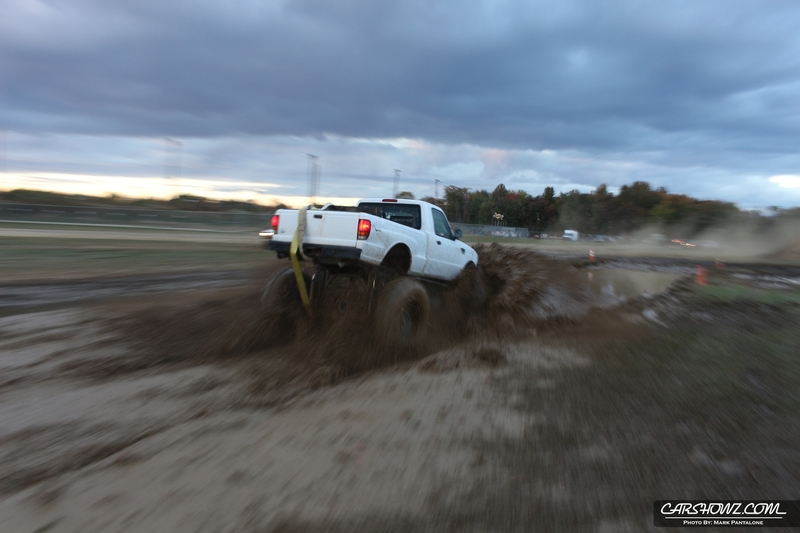 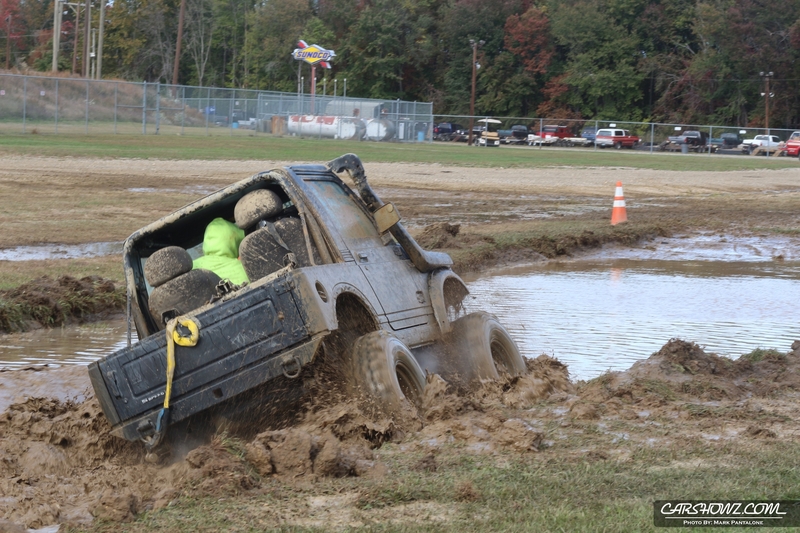 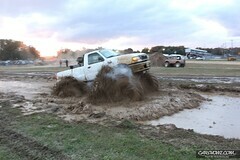 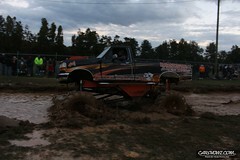 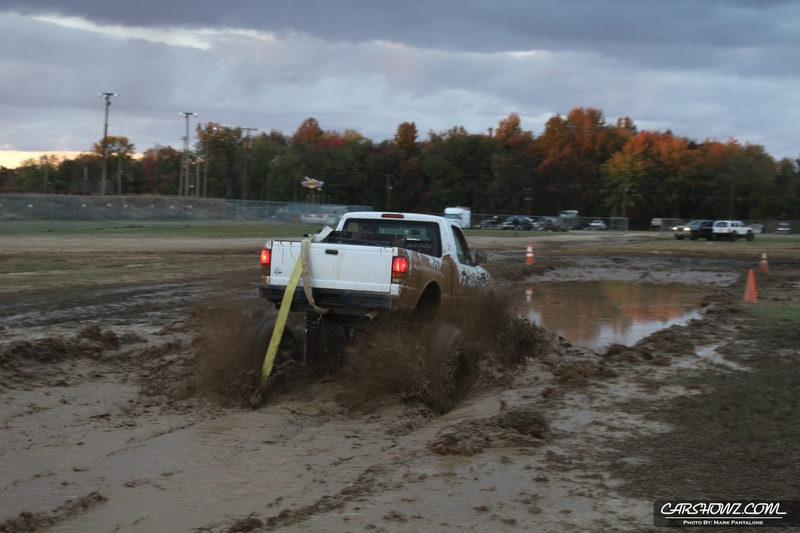 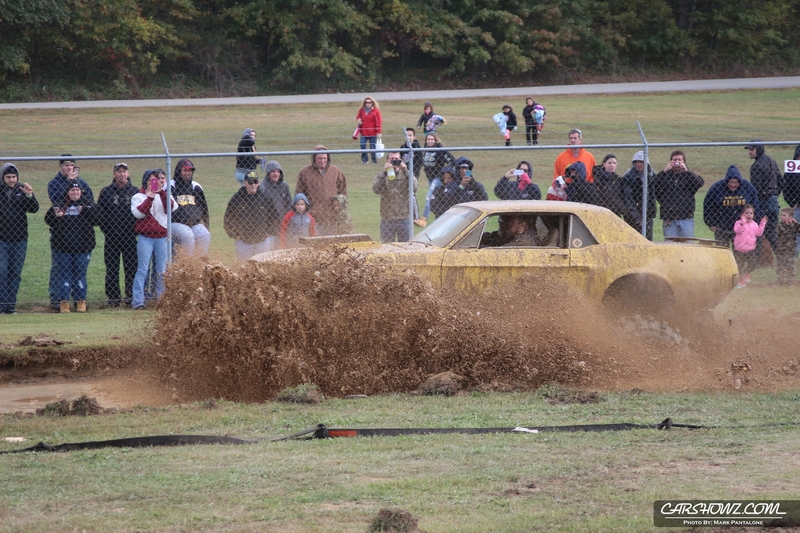 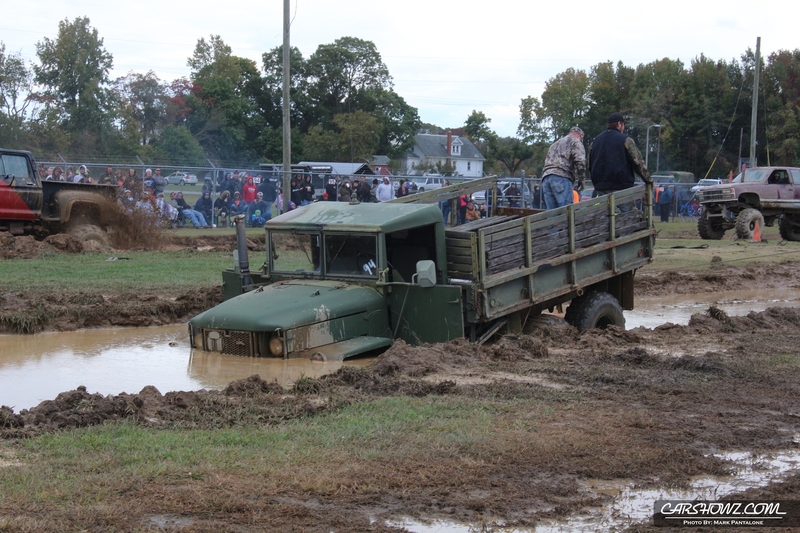 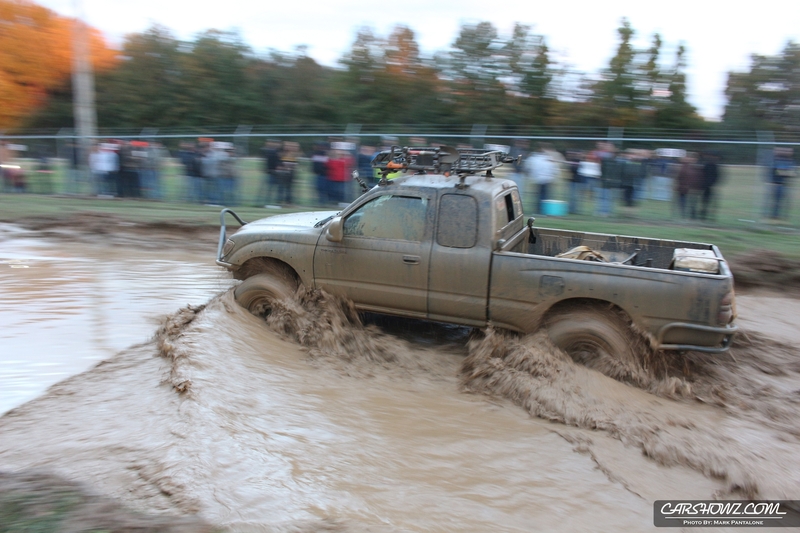 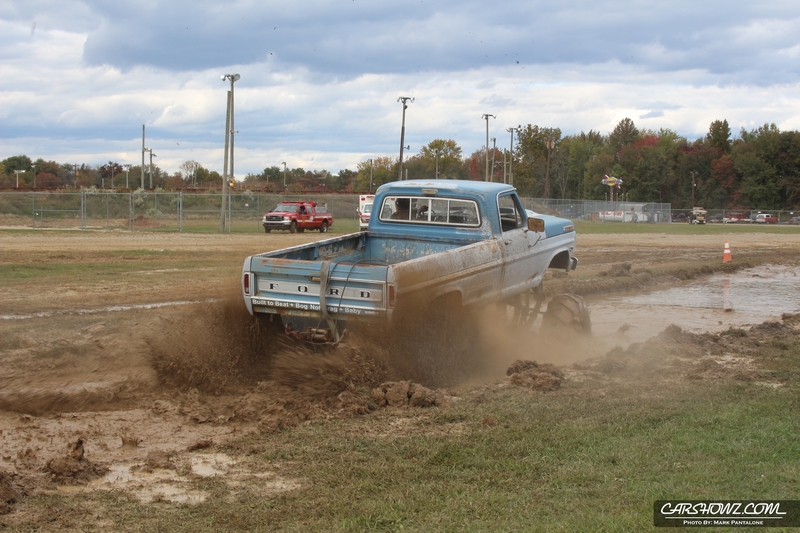 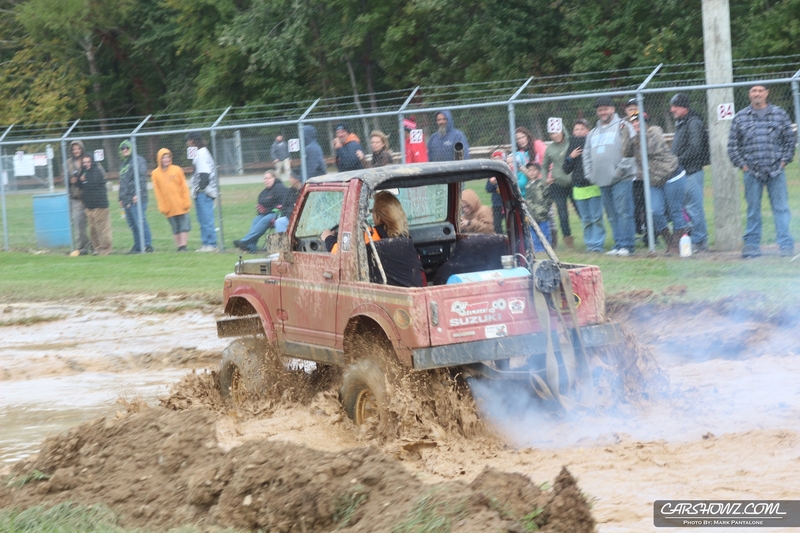 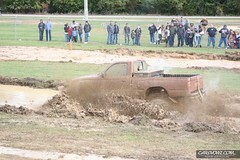 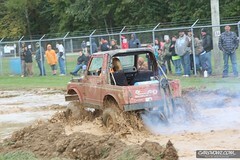 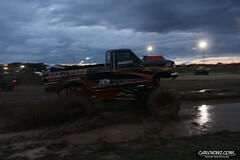 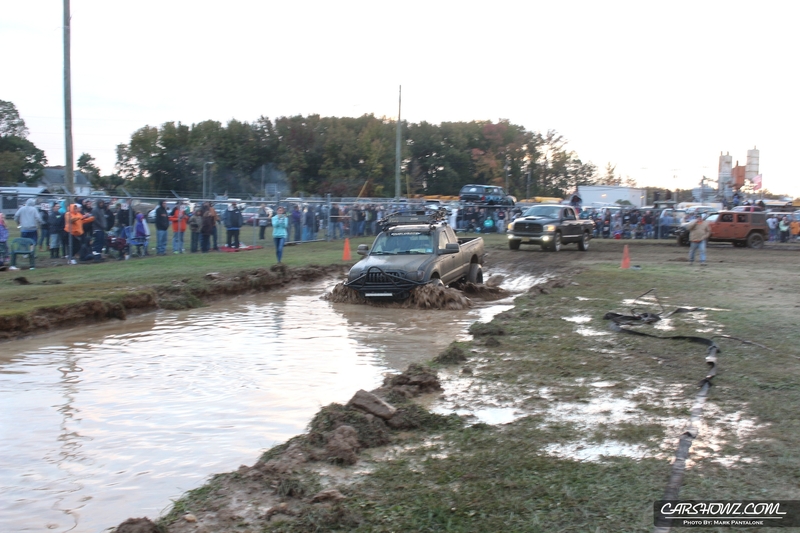 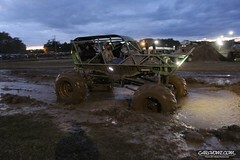 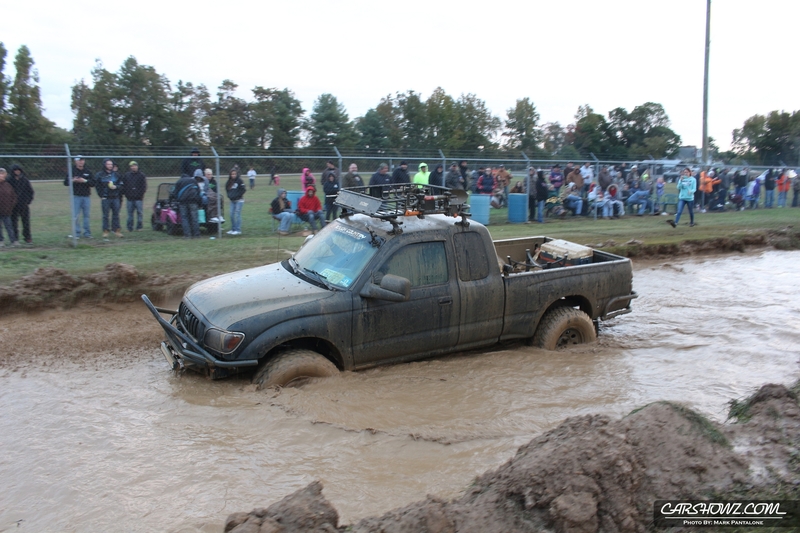 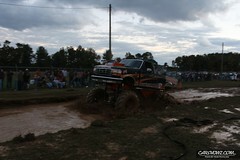 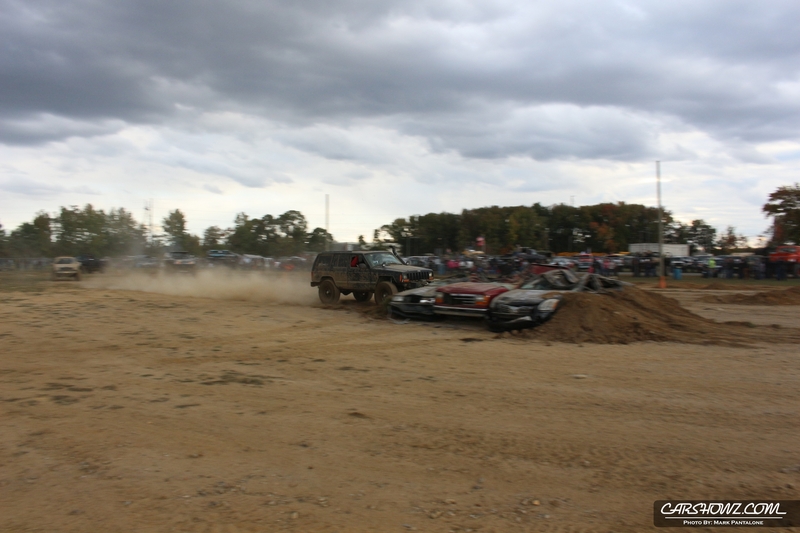 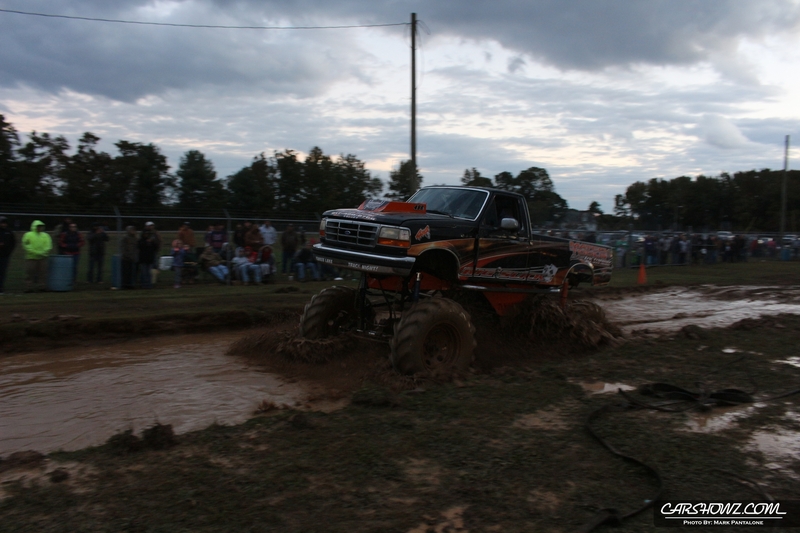 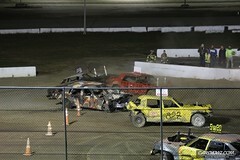 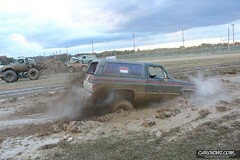 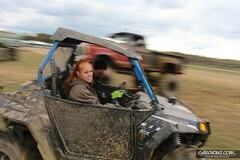 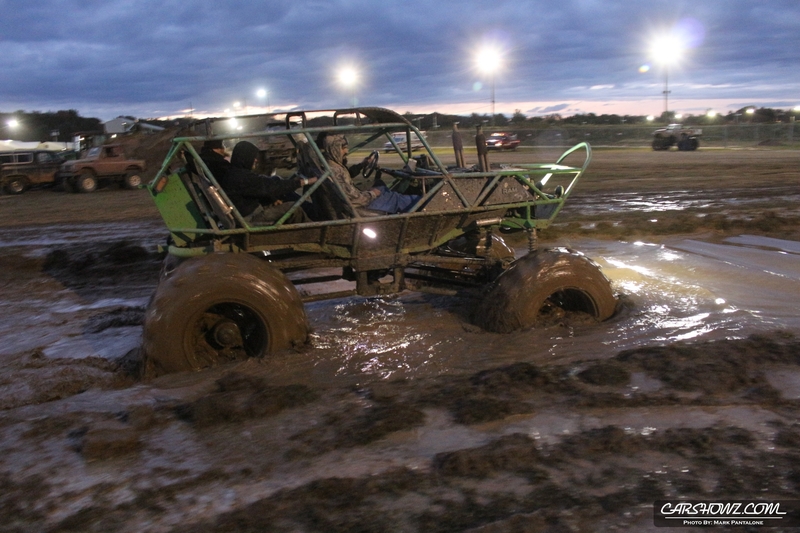 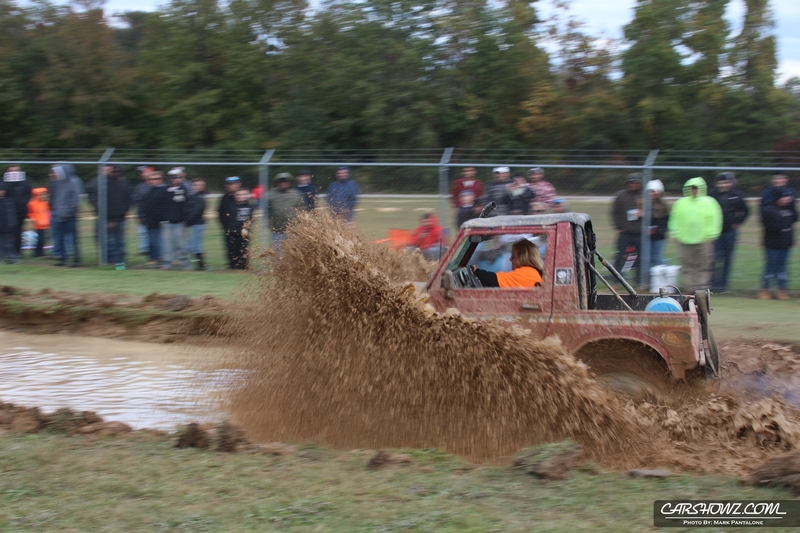 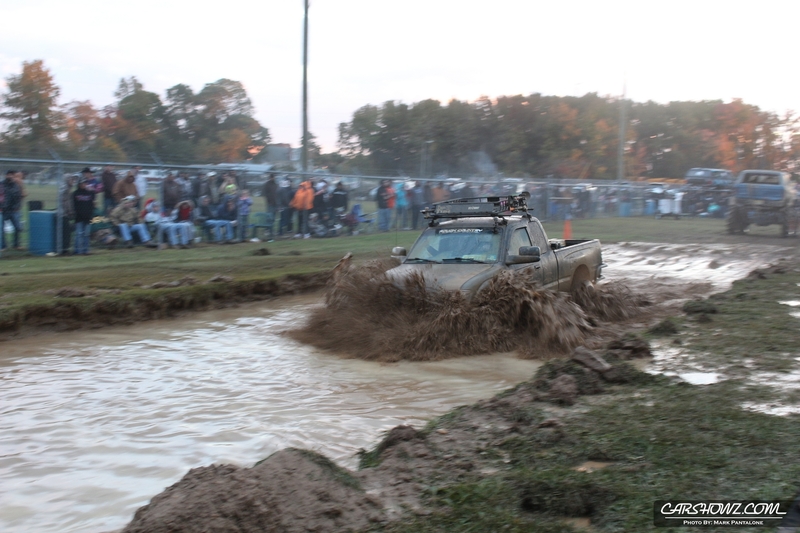 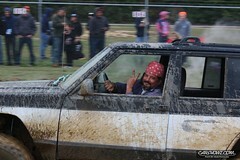 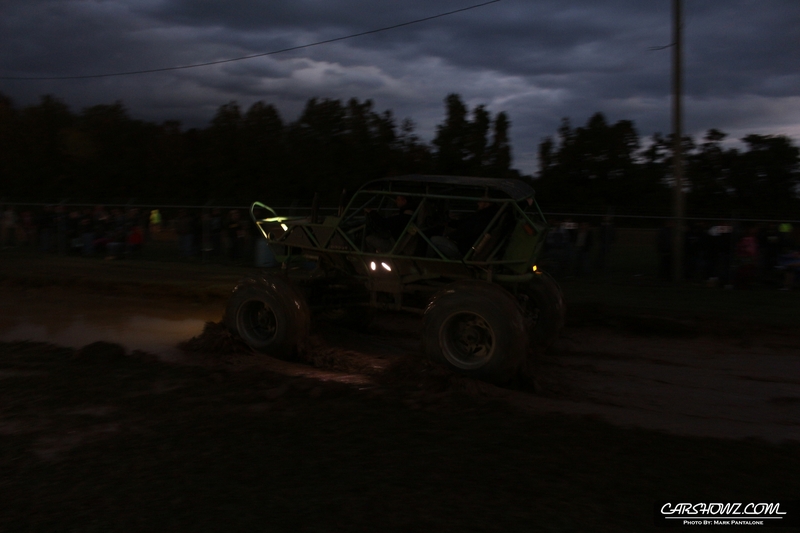 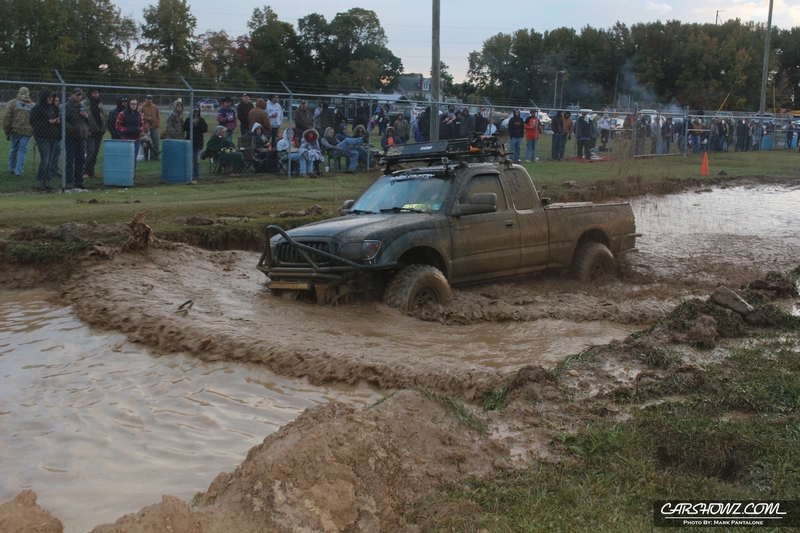 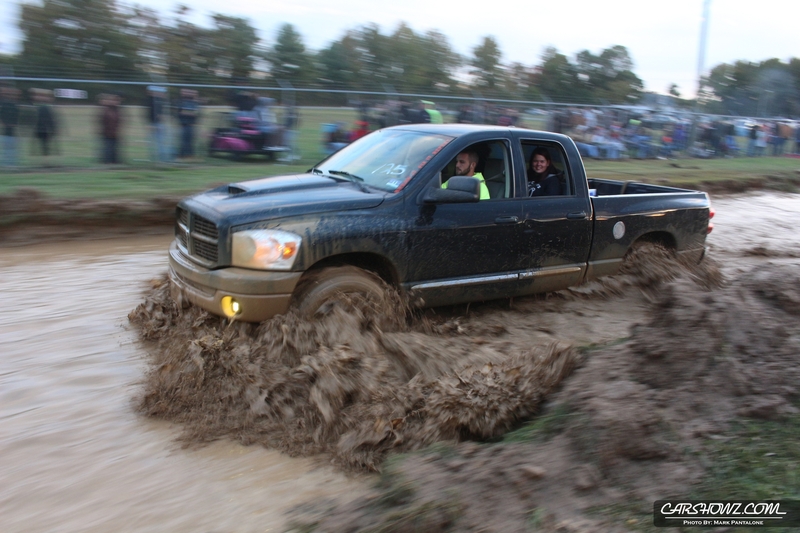 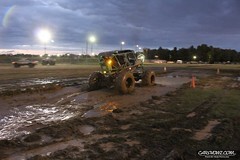 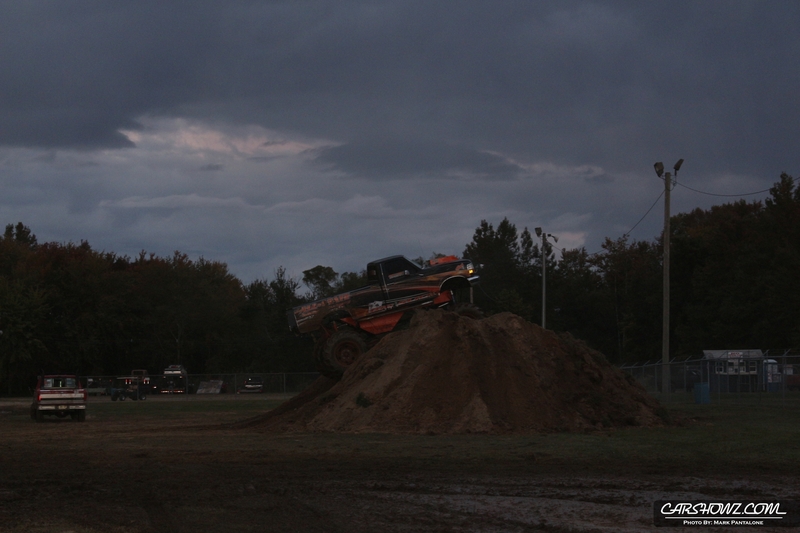 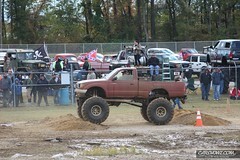 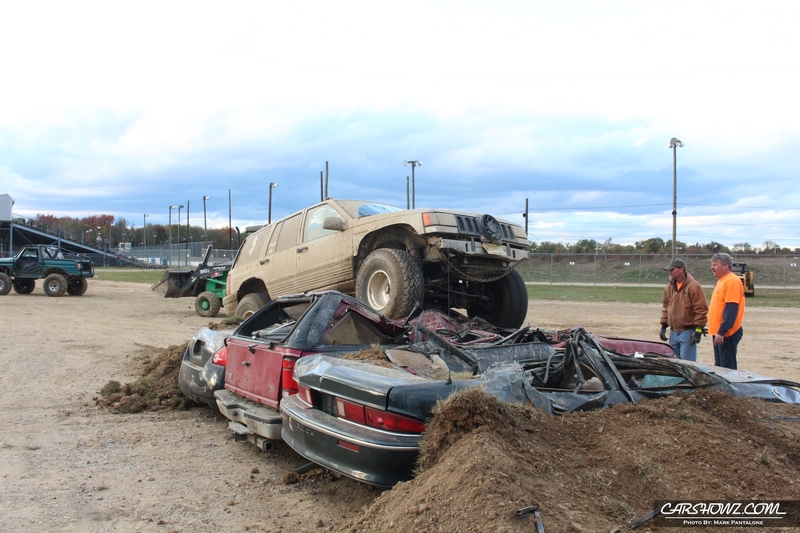 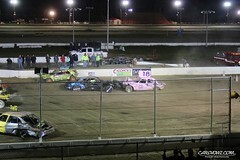 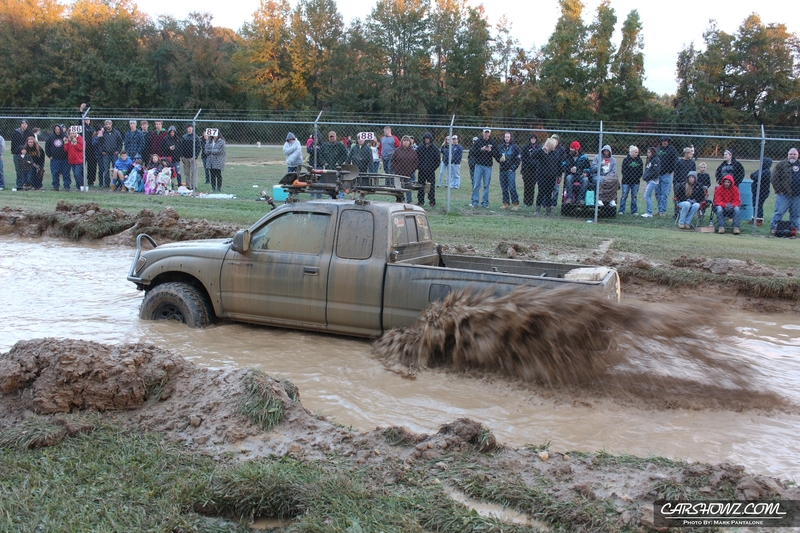 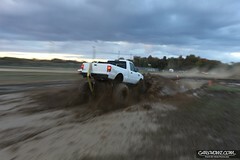 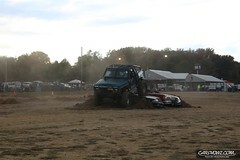 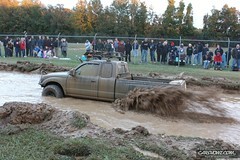 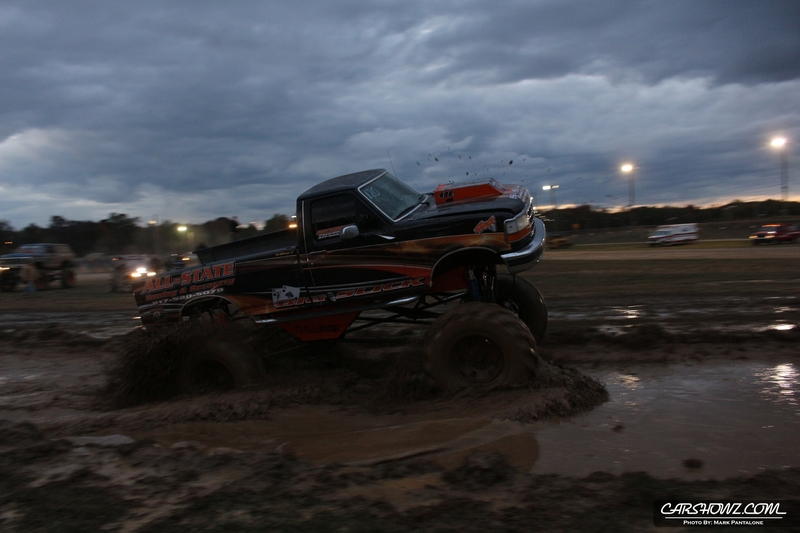 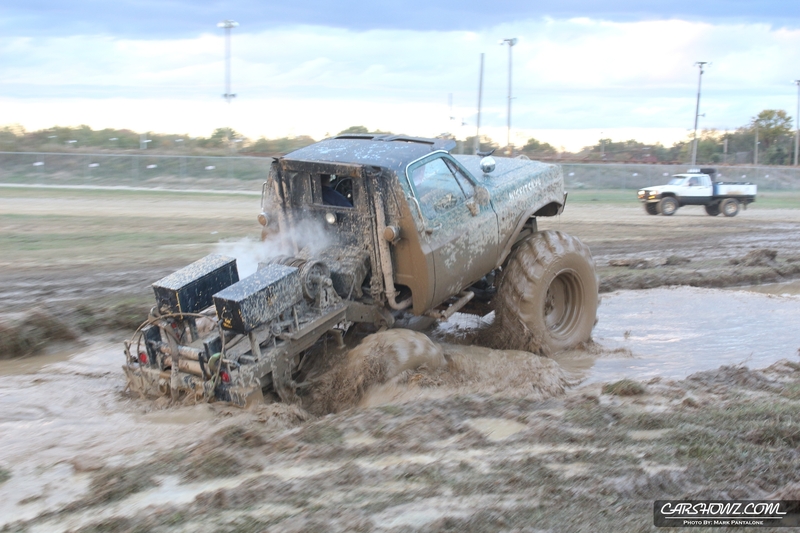 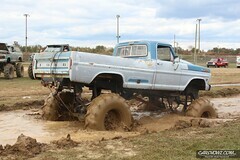 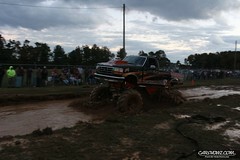 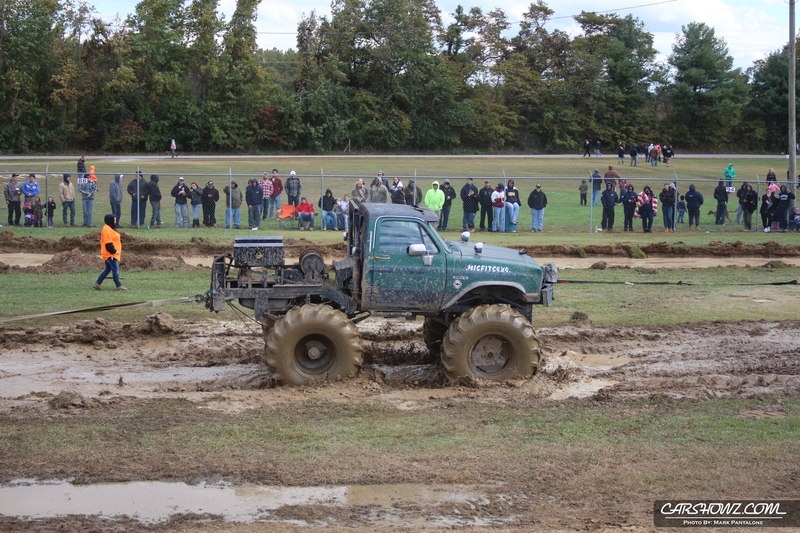 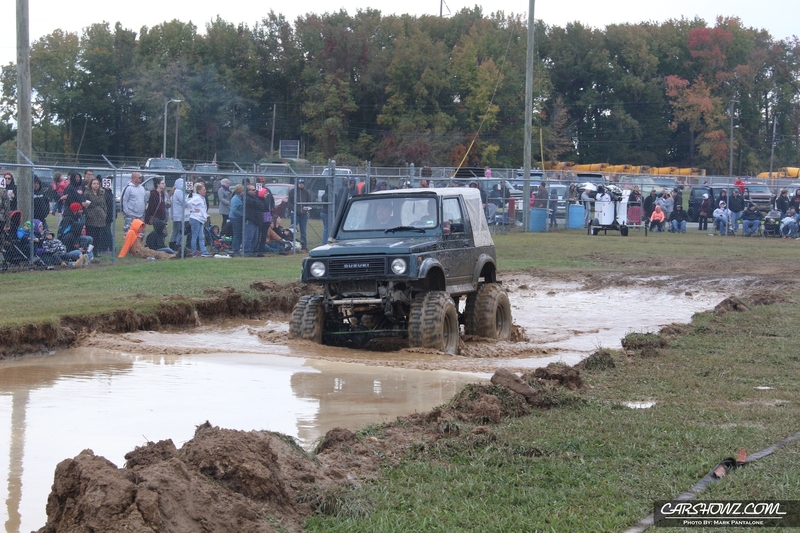 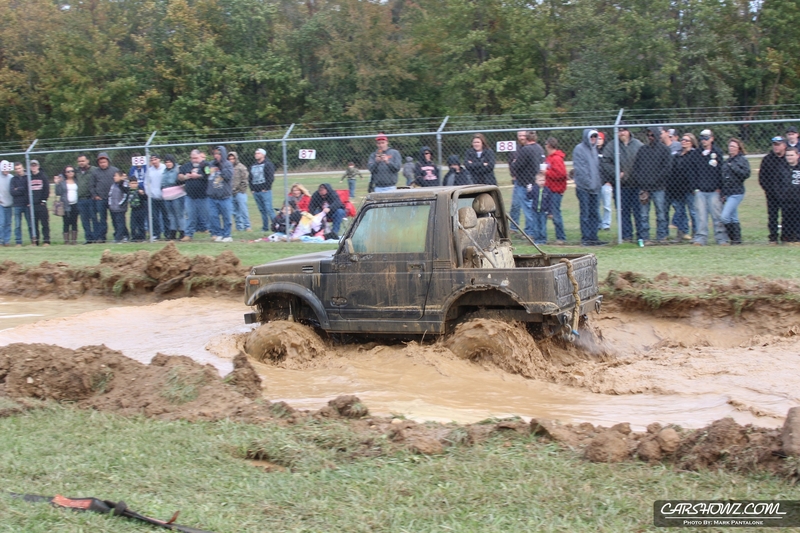 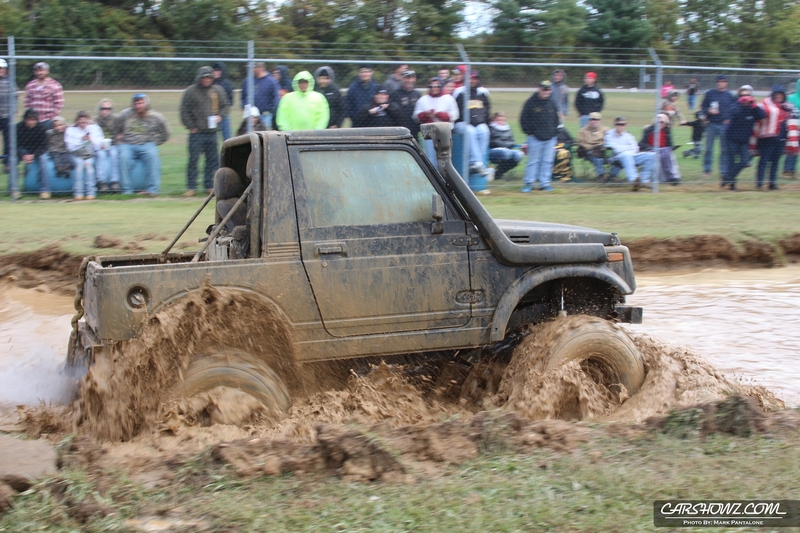 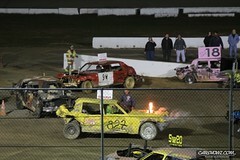 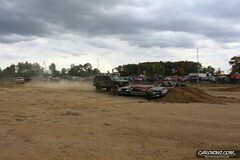 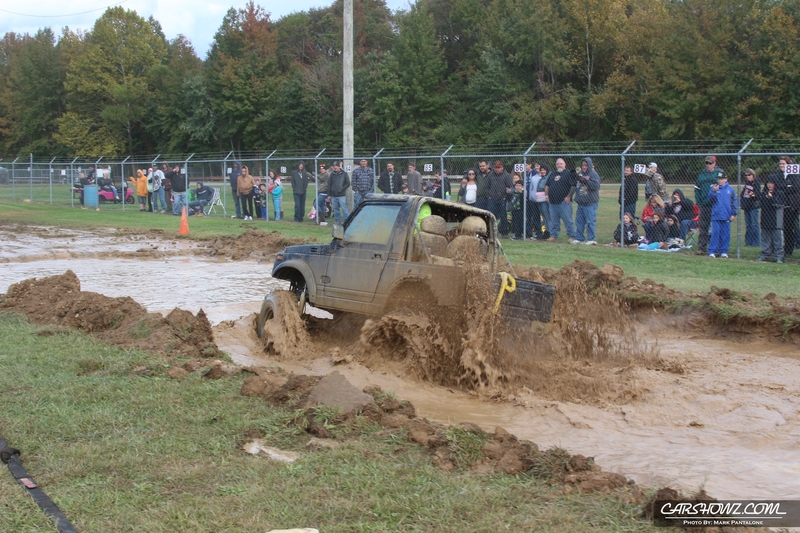 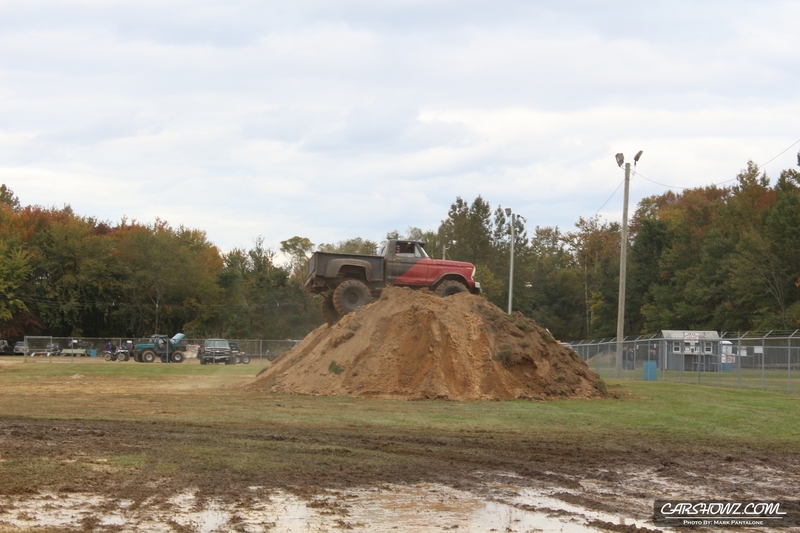 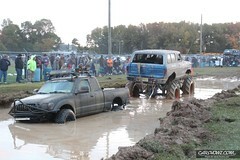 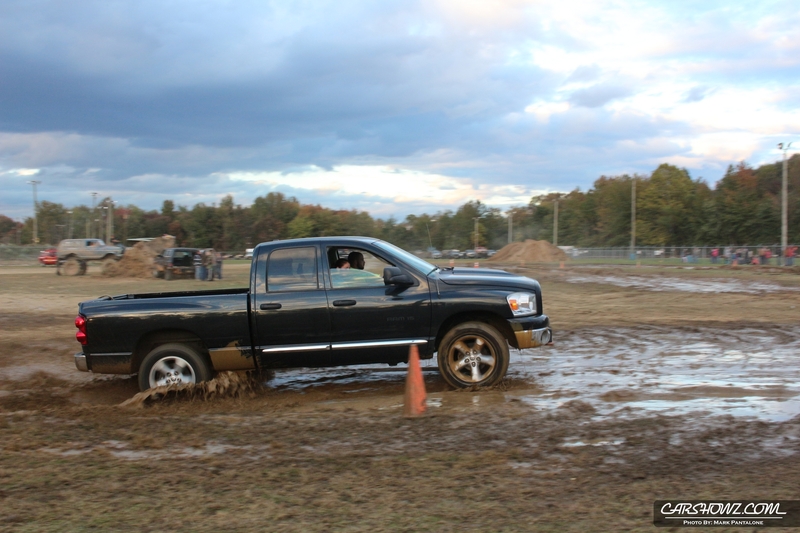 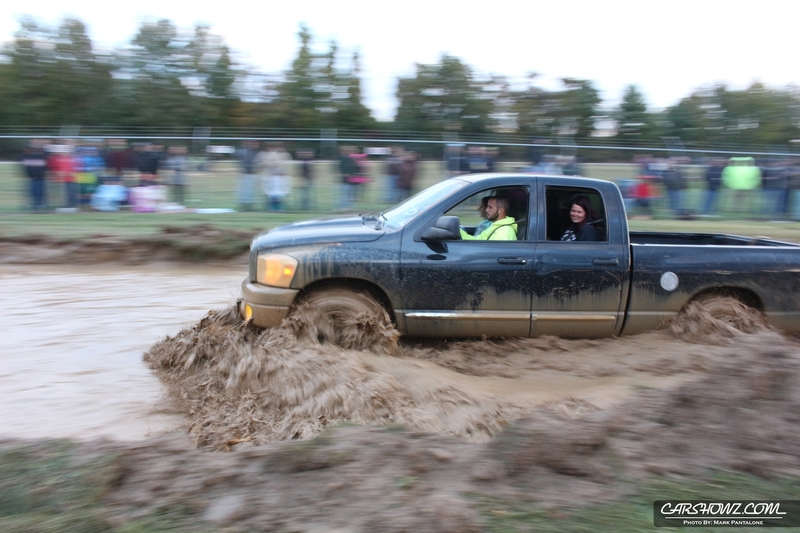 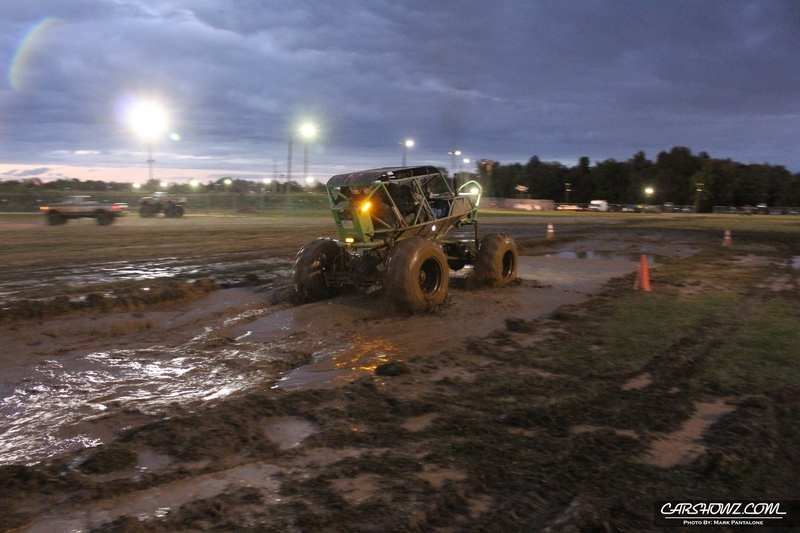 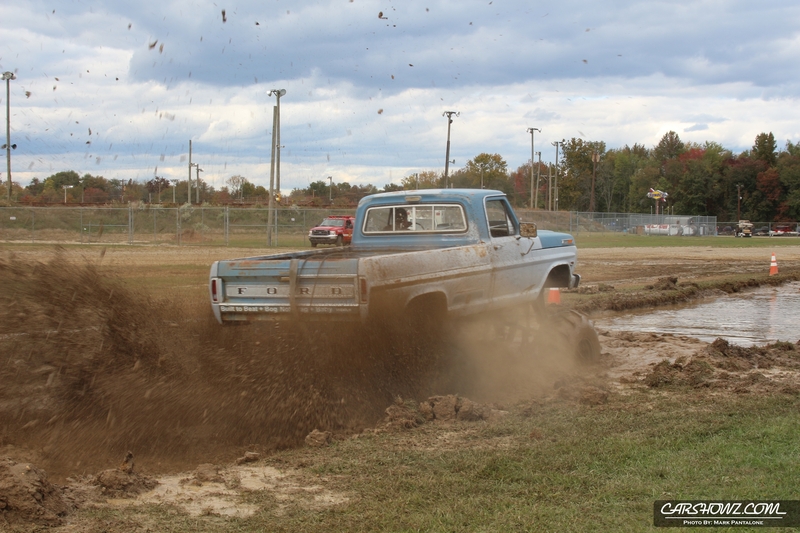 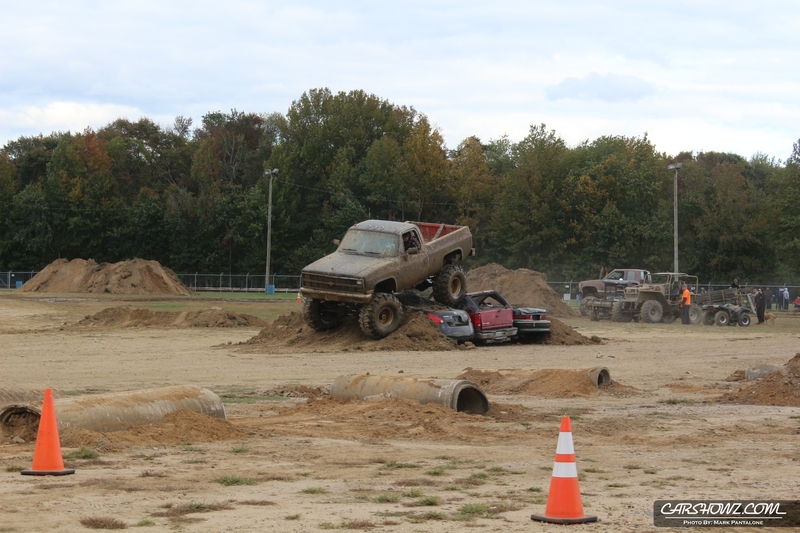 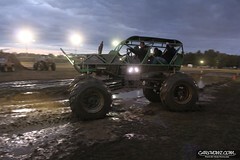 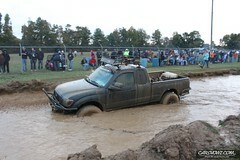 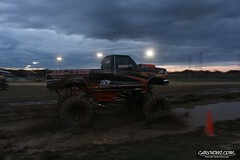 A mud wide mud pit filled with black mud, a mild obstacle course, as well as a wild course, a car crush, a RTI ramp, and lets not forget the demolition derby. 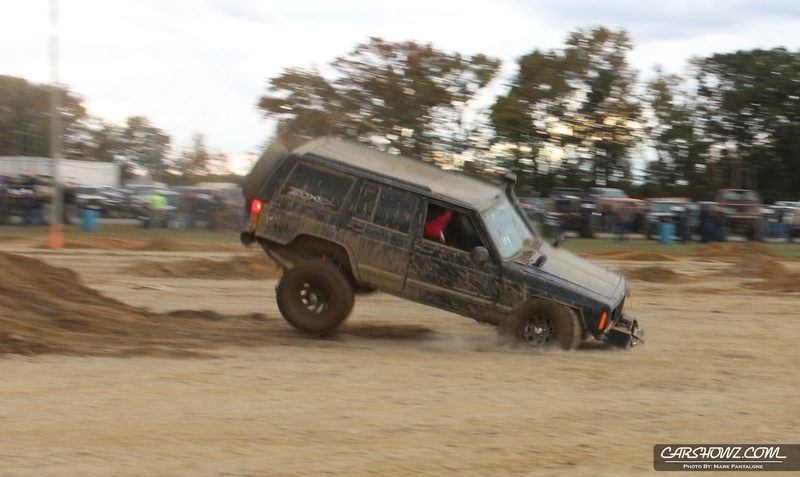 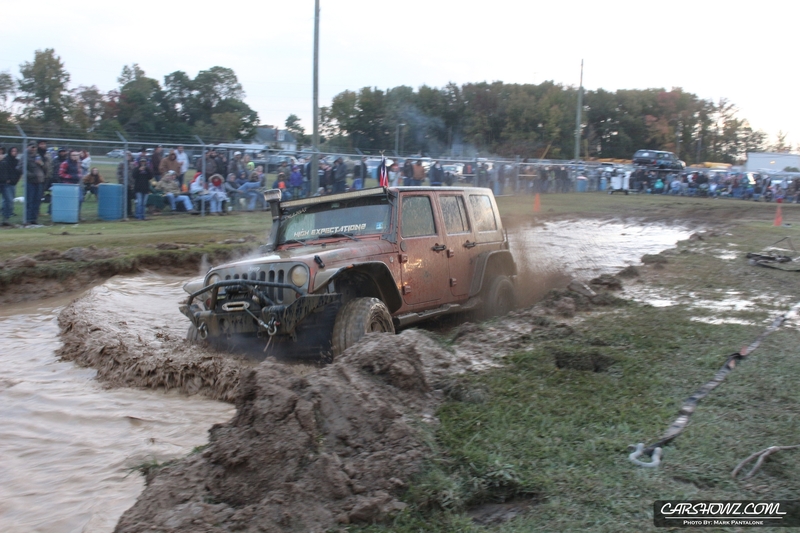 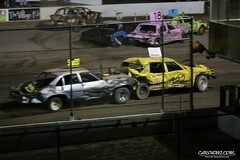 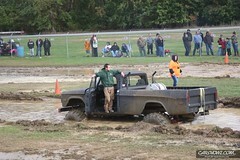 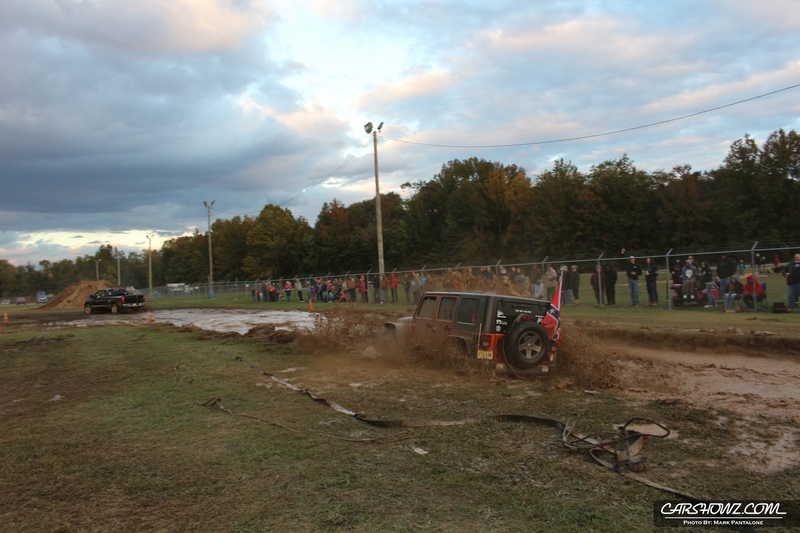 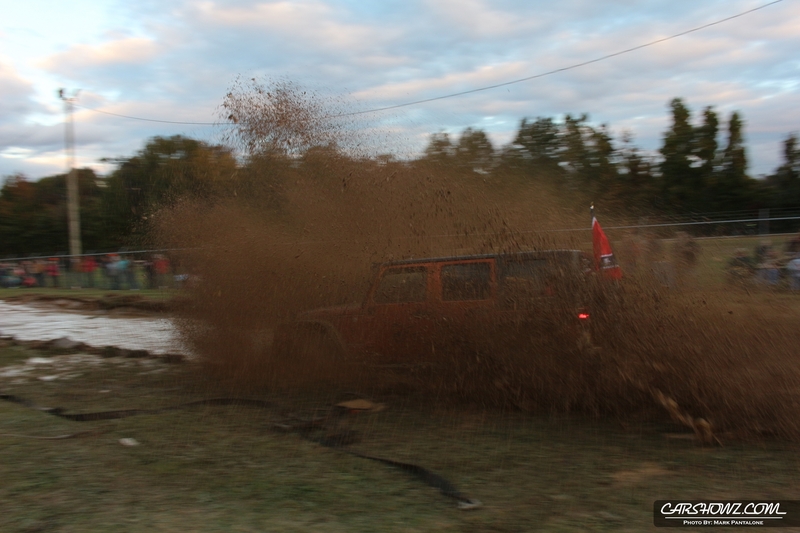 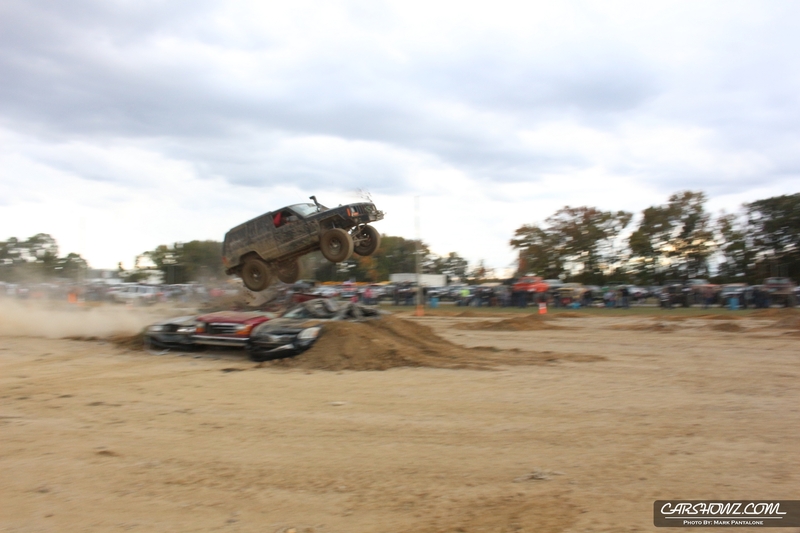 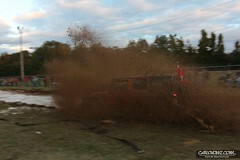 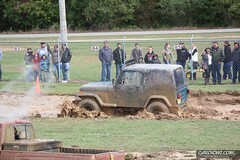 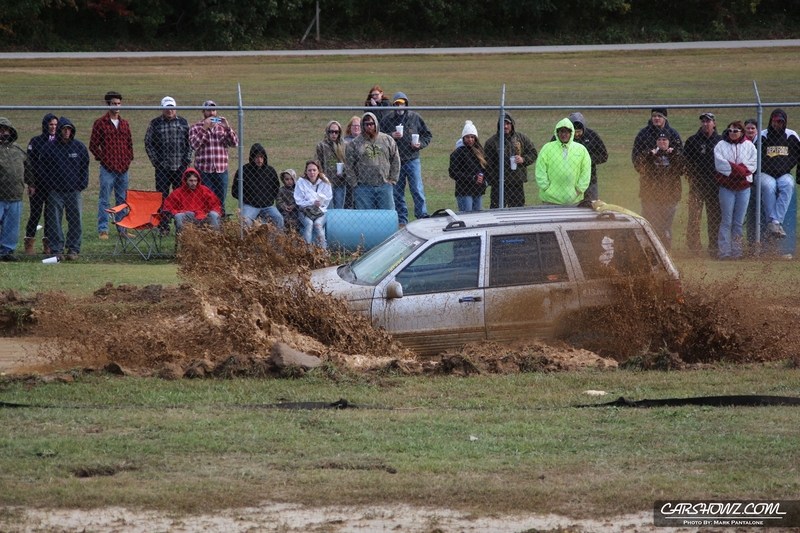 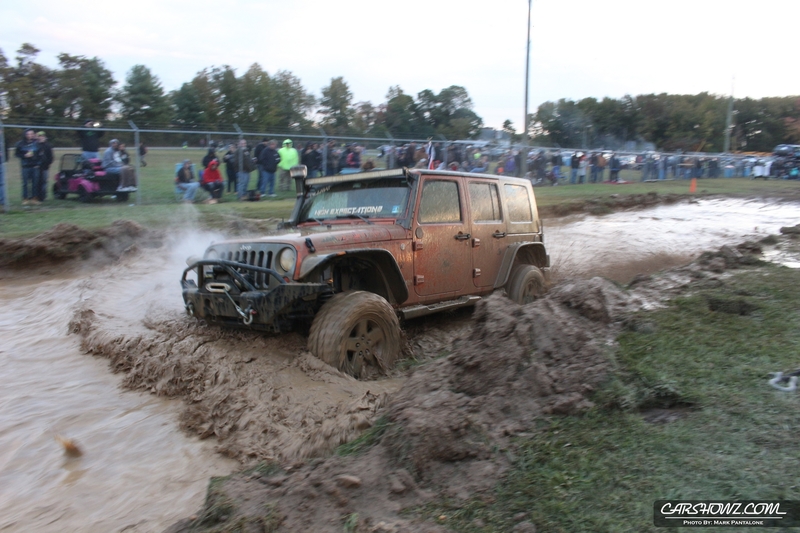 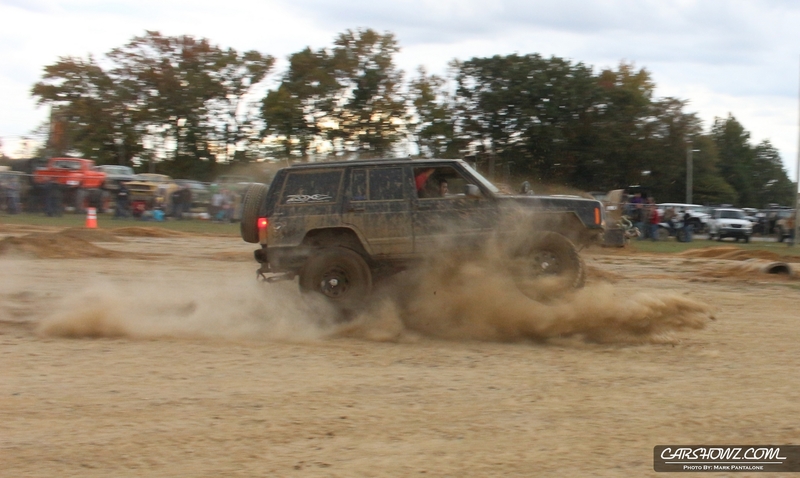 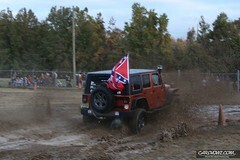 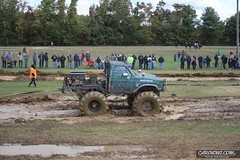 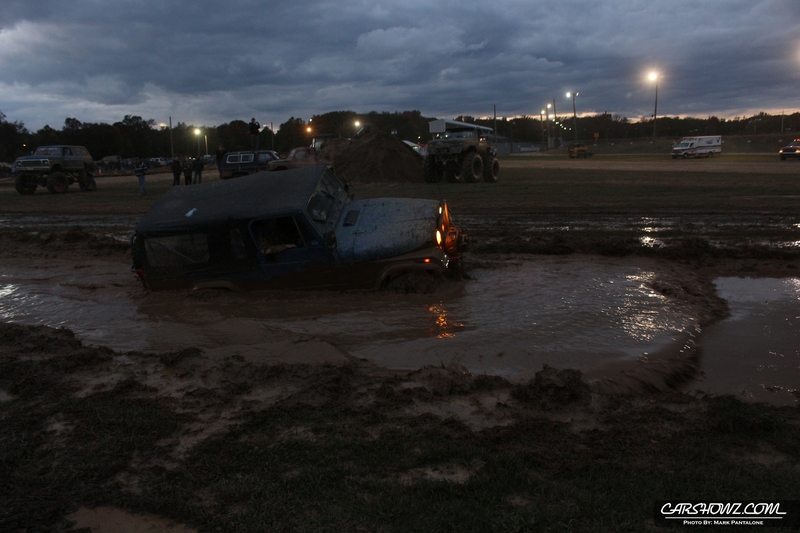 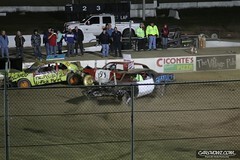 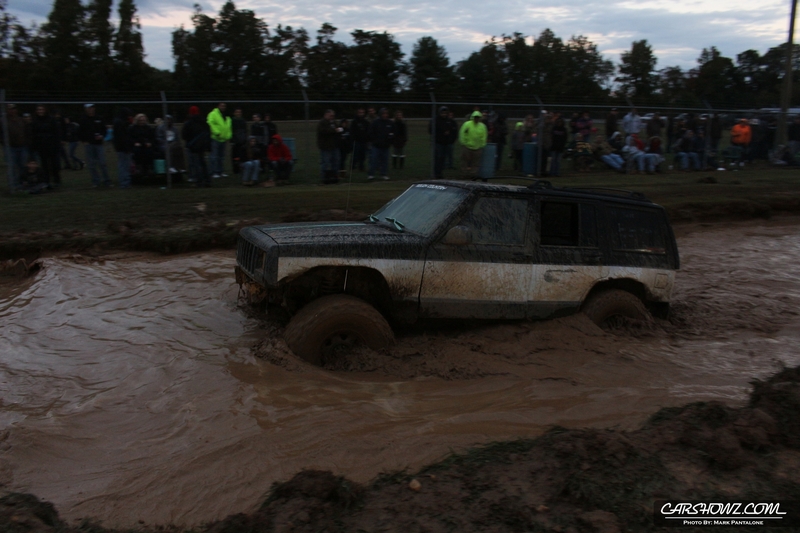 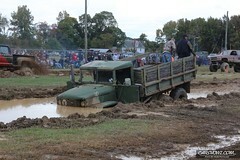 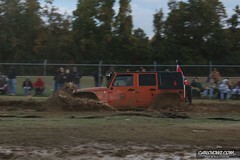 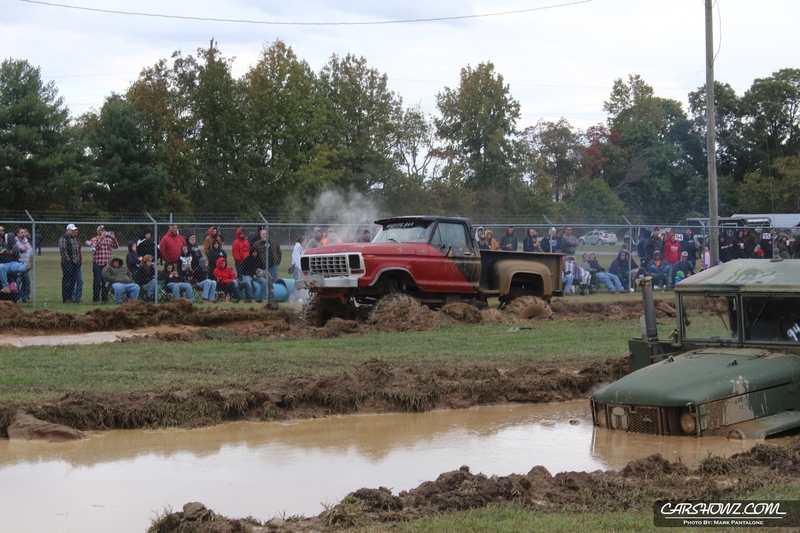 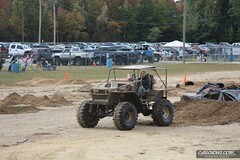 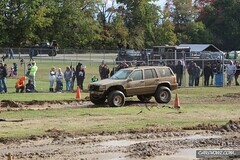 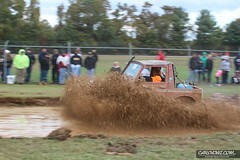 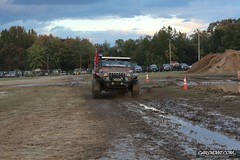 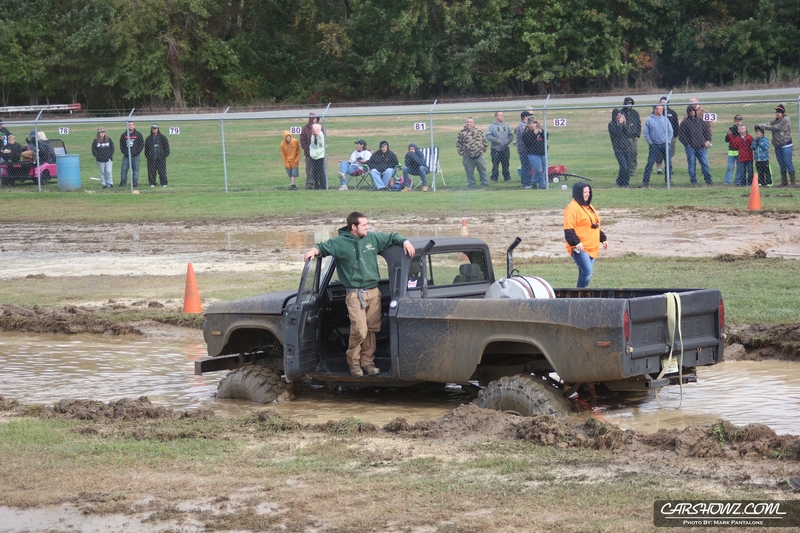 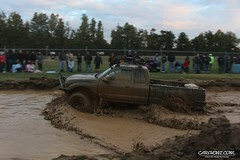 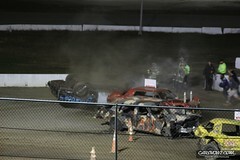 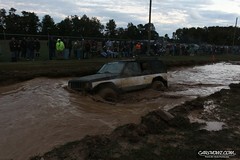 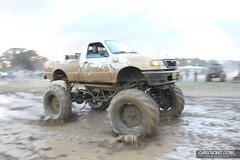 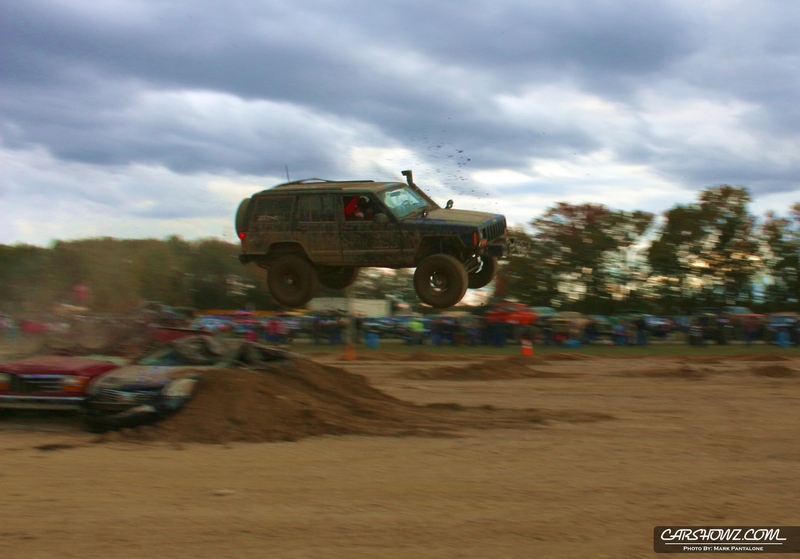 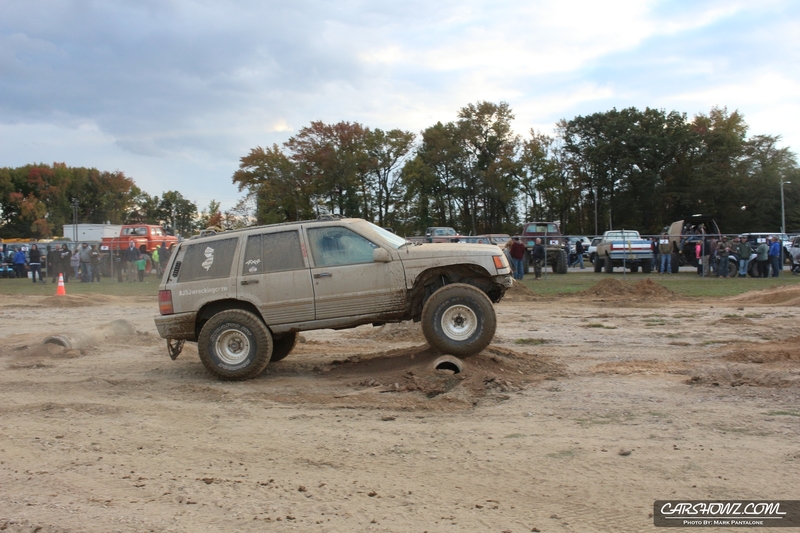 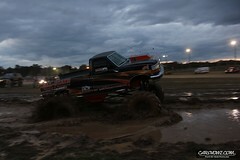 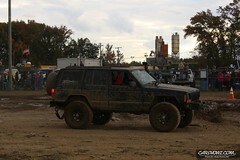 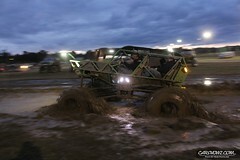 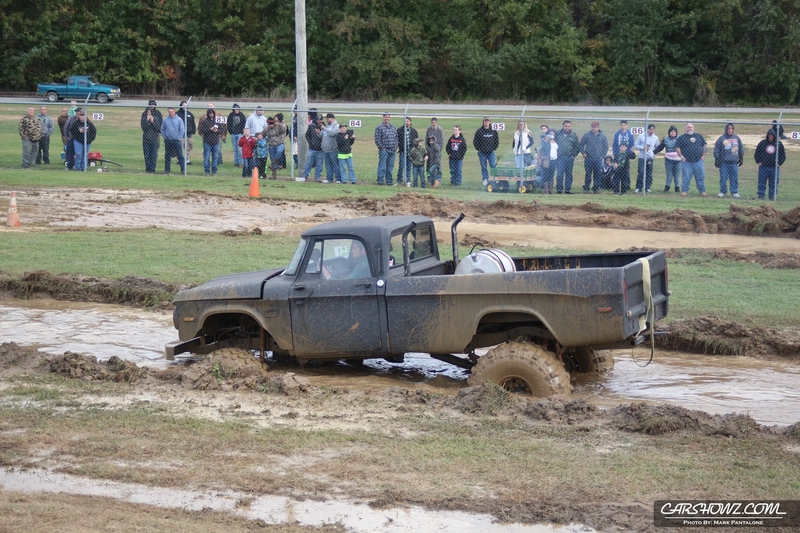 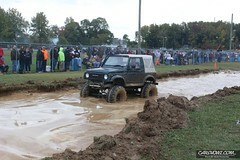 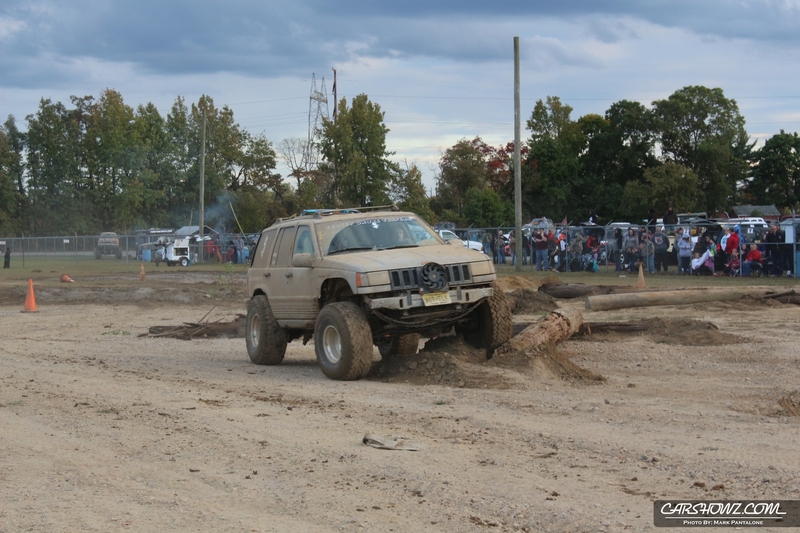 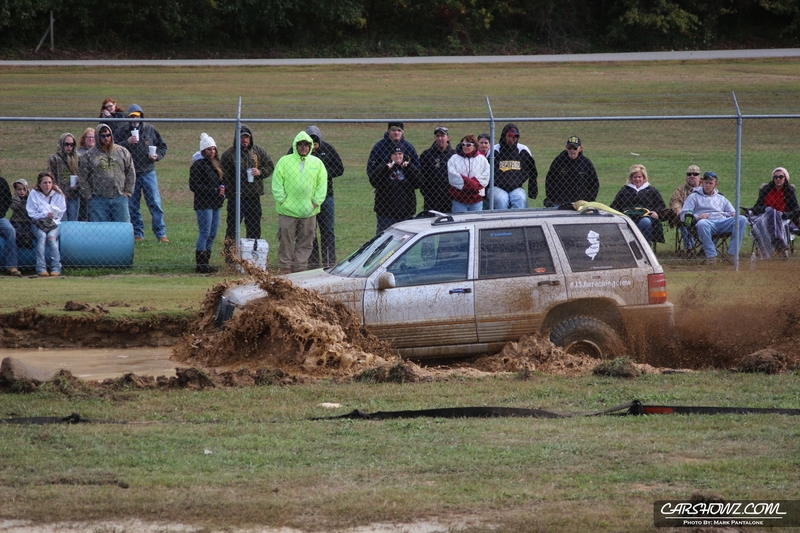 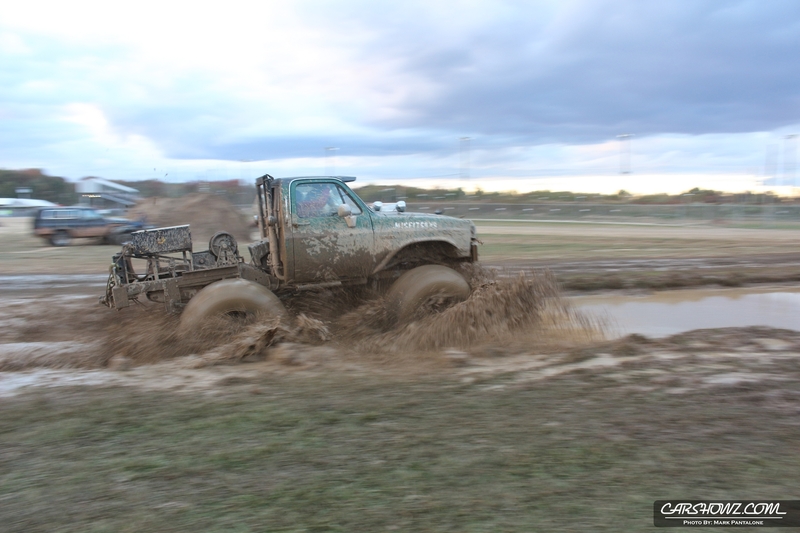 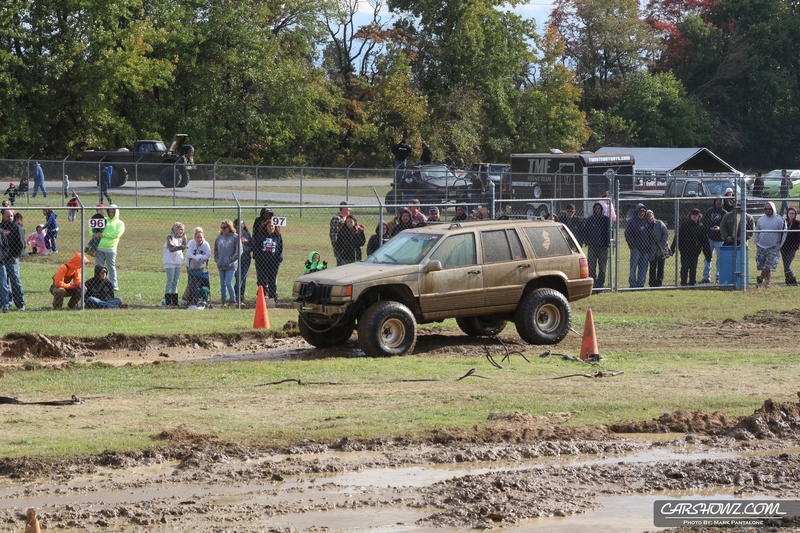 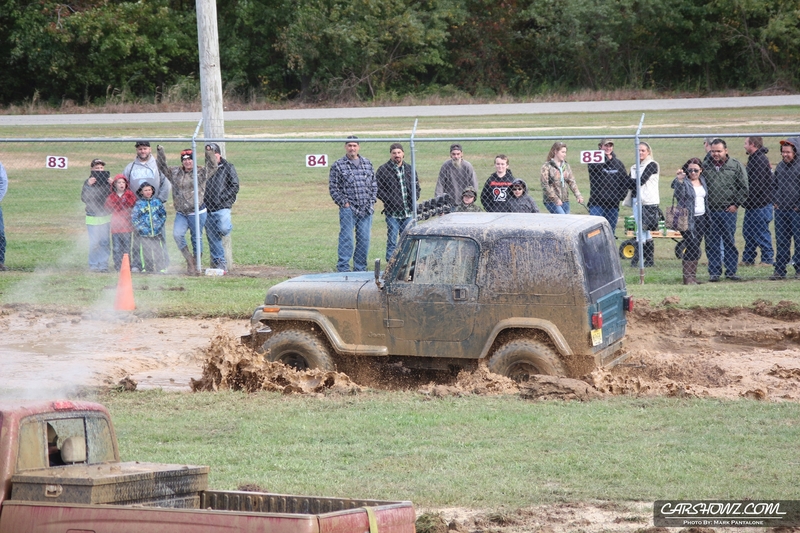 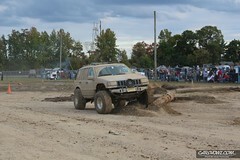 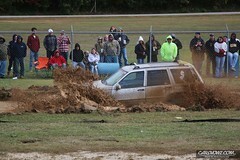 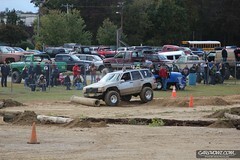 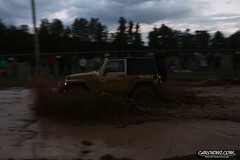 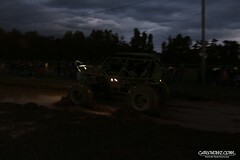 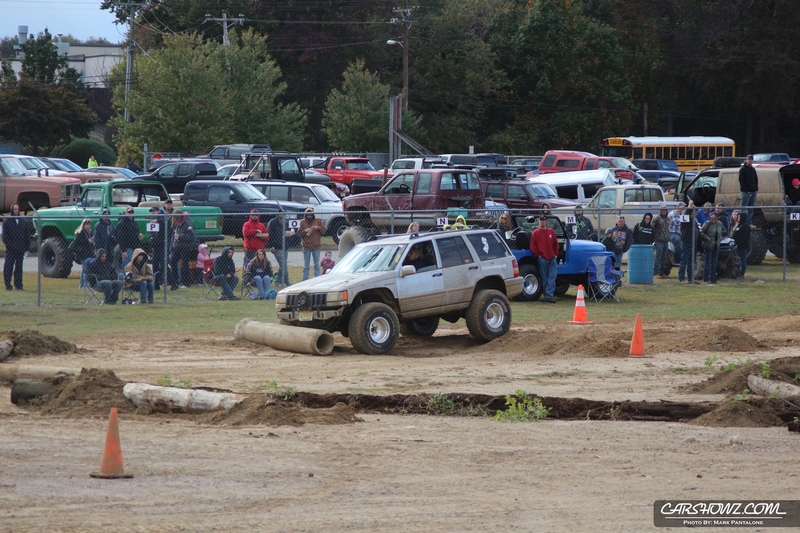 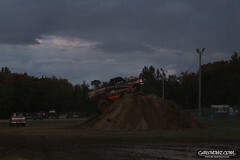 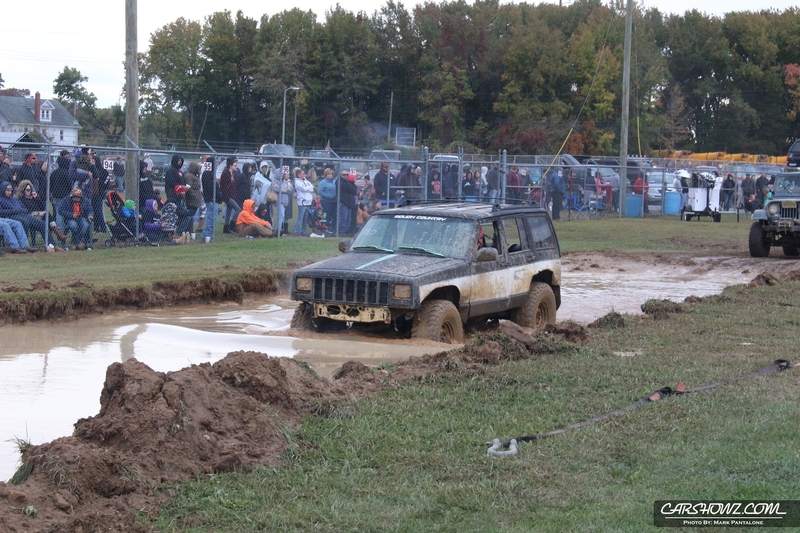 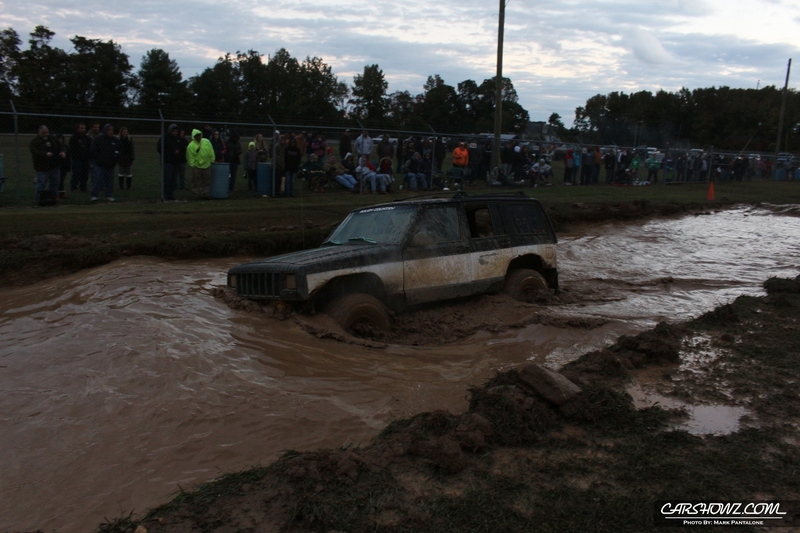 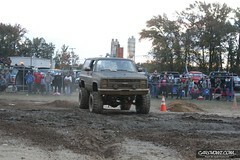 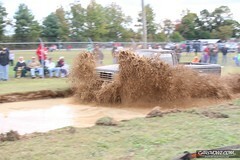 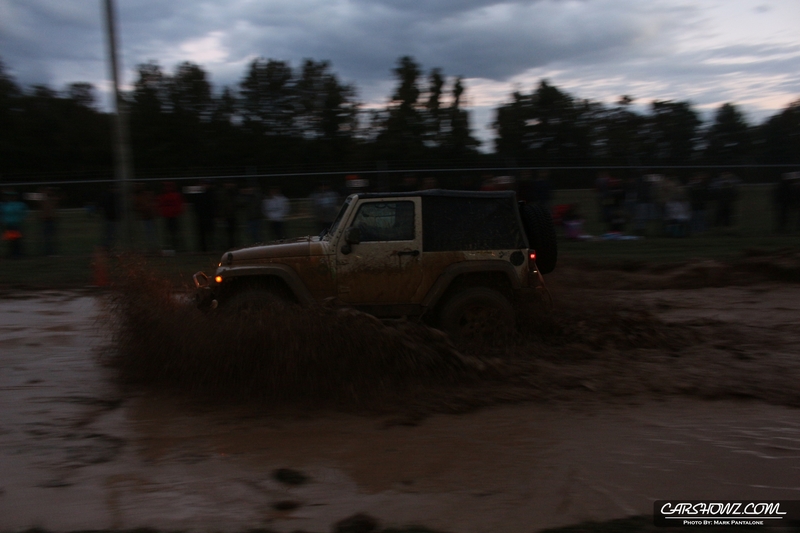 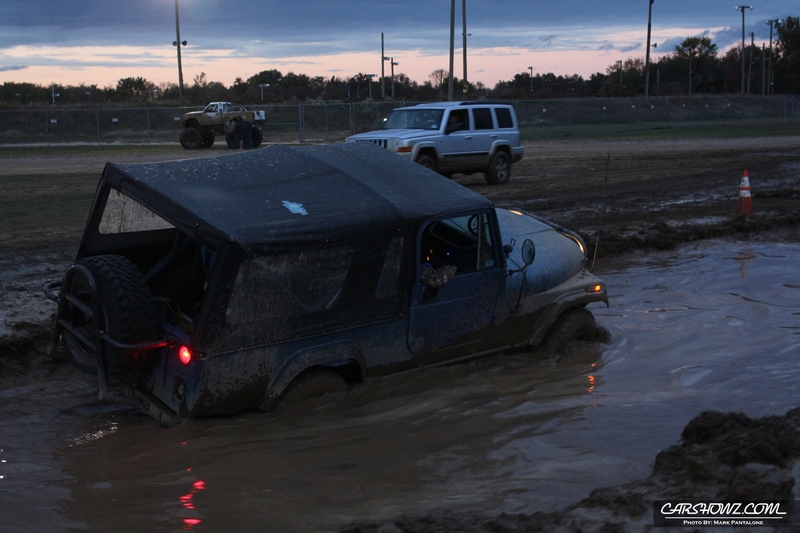 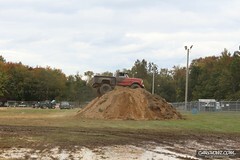 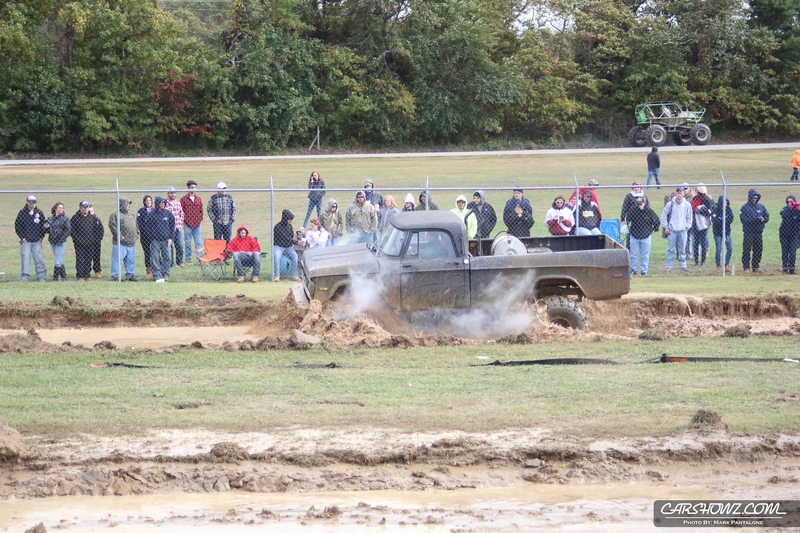 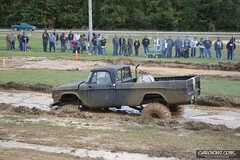 The highlight of the event was when Anthony M. with passenger EP Mike launched his Jeep over the car crush. 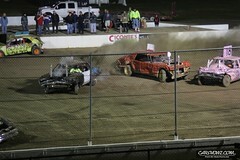 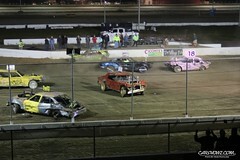 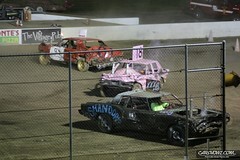 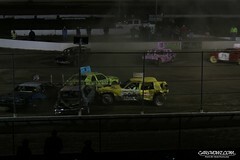 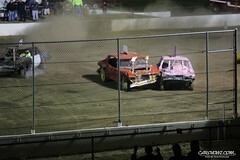 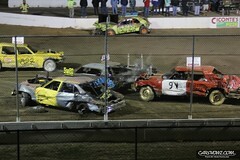 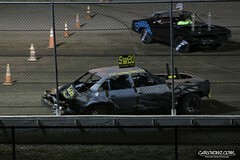 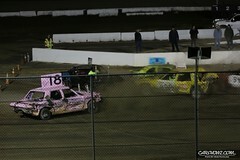 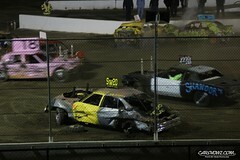 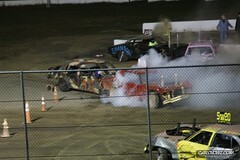 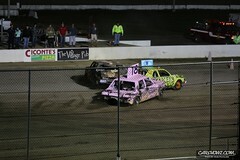 We are glad EP Mike is doing OK as he had to be taken away by ambulance. 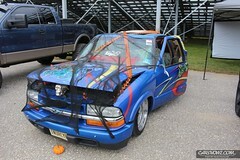 We wish you a speedy recovery!